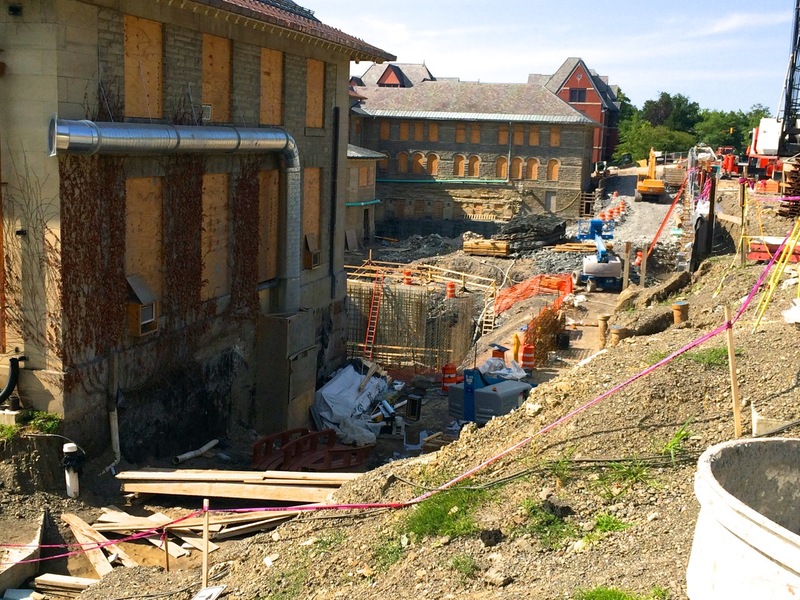 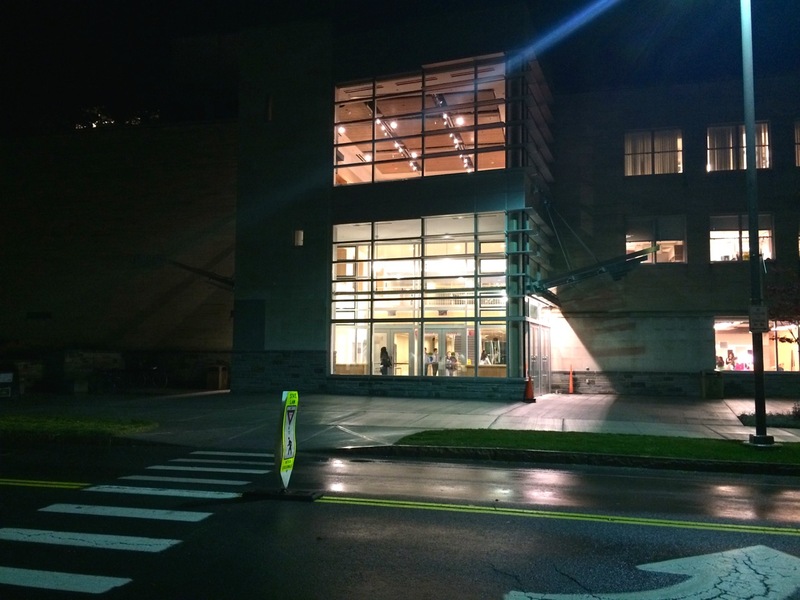 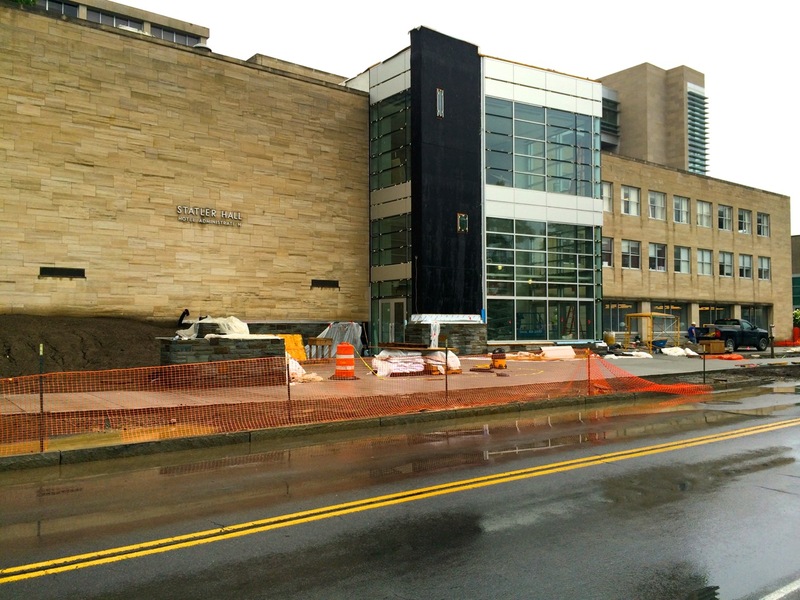 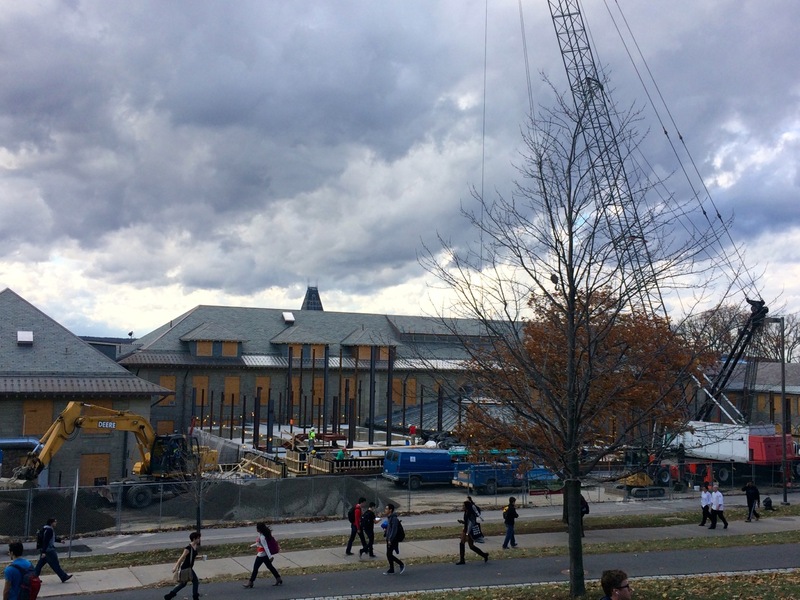 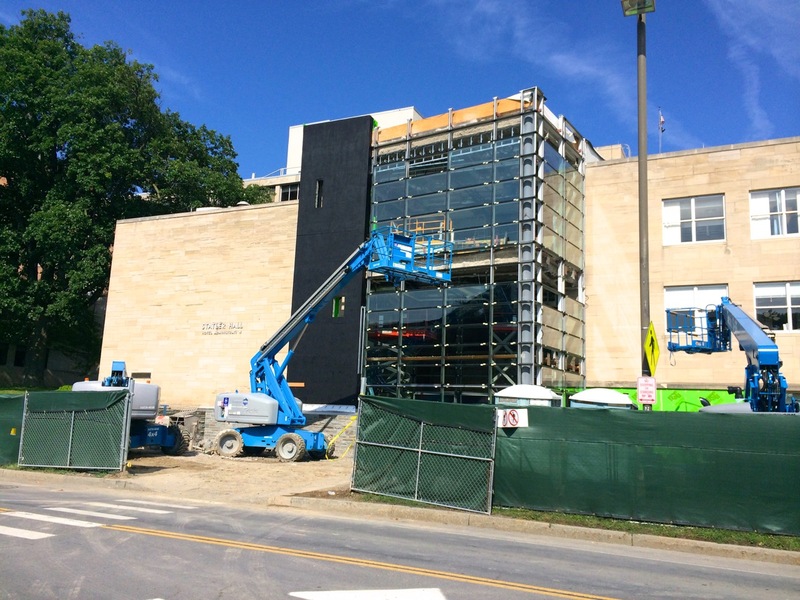 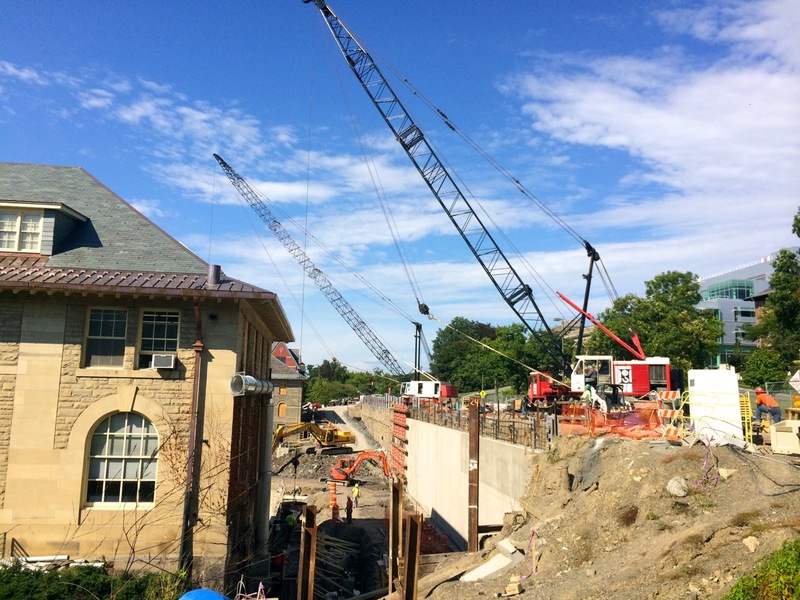 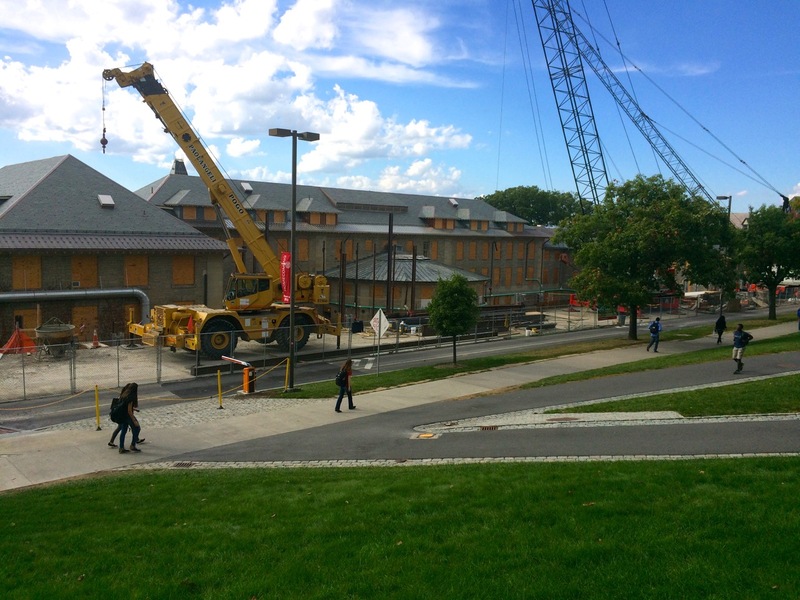 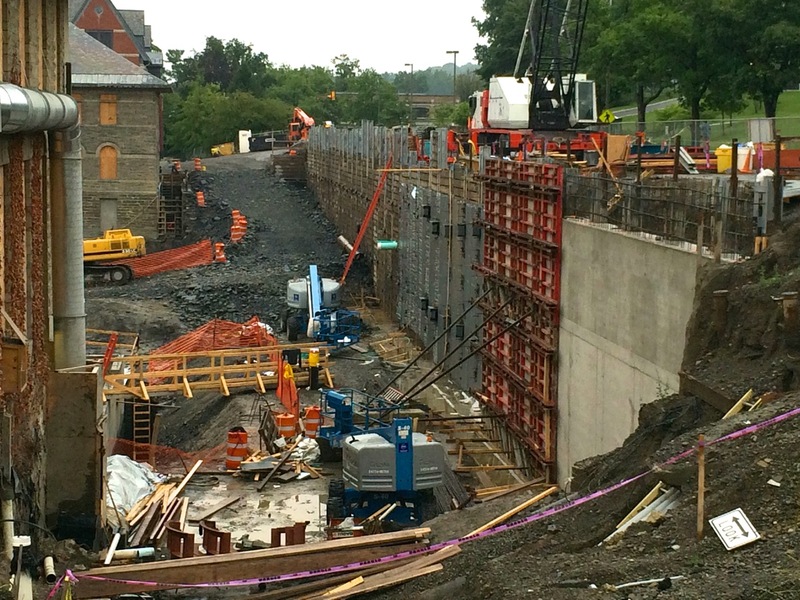 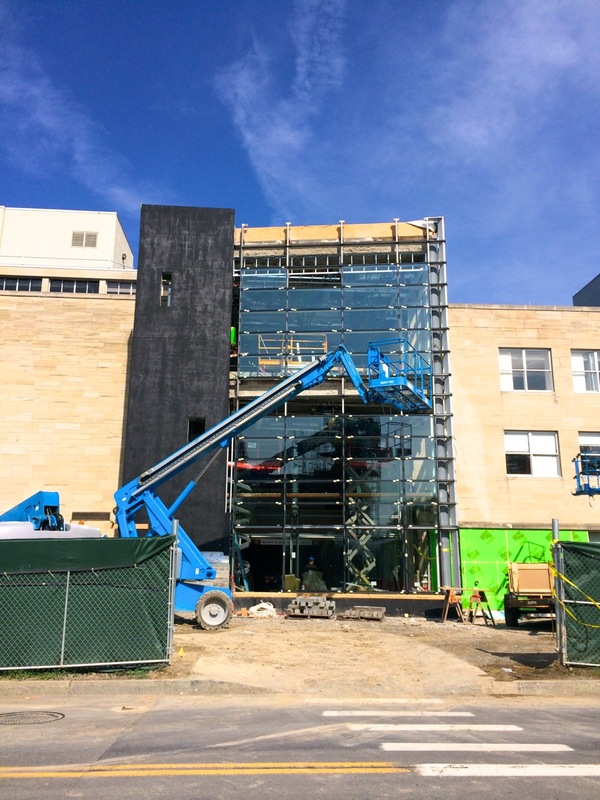 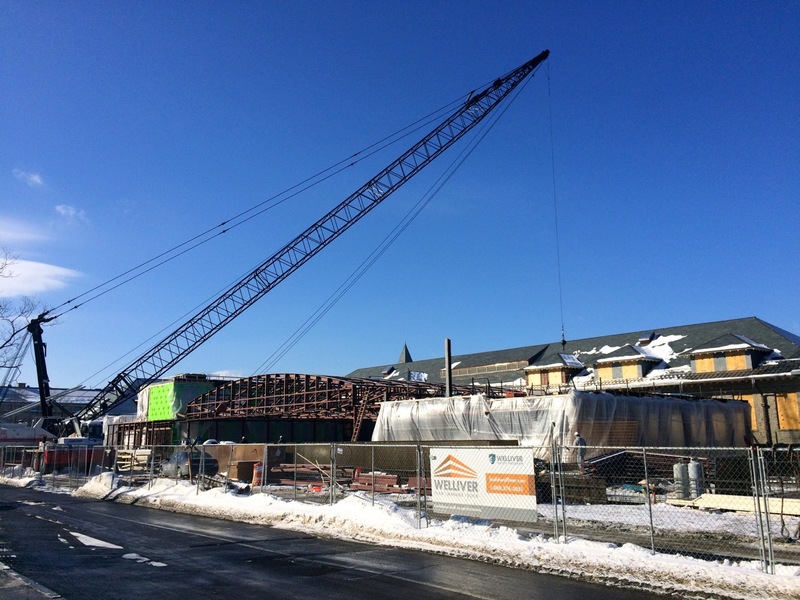 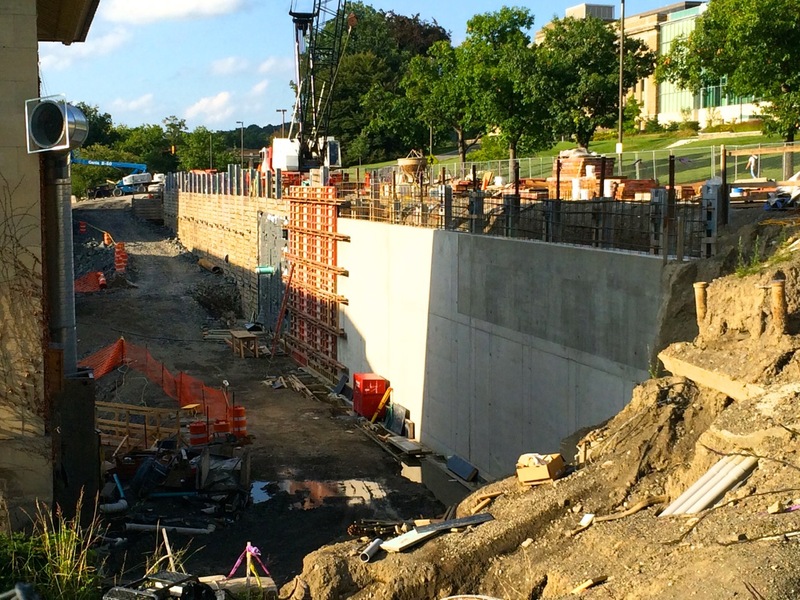 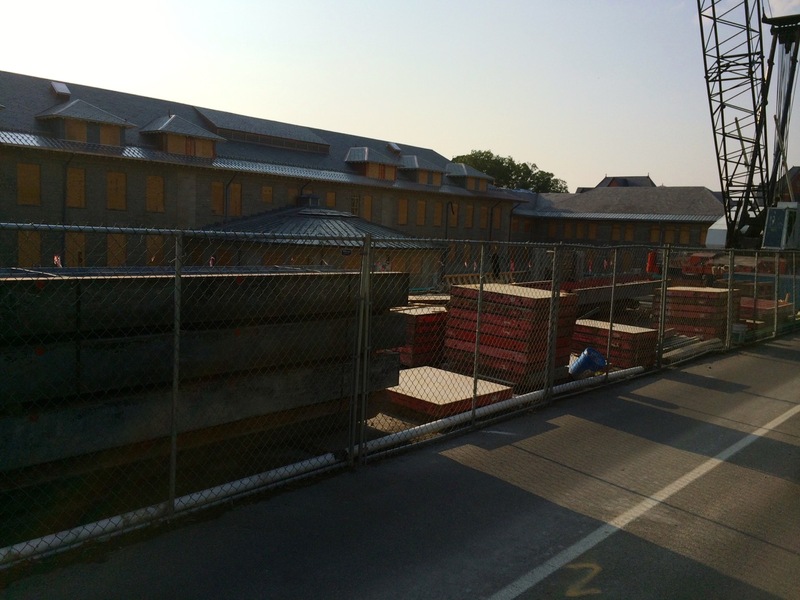 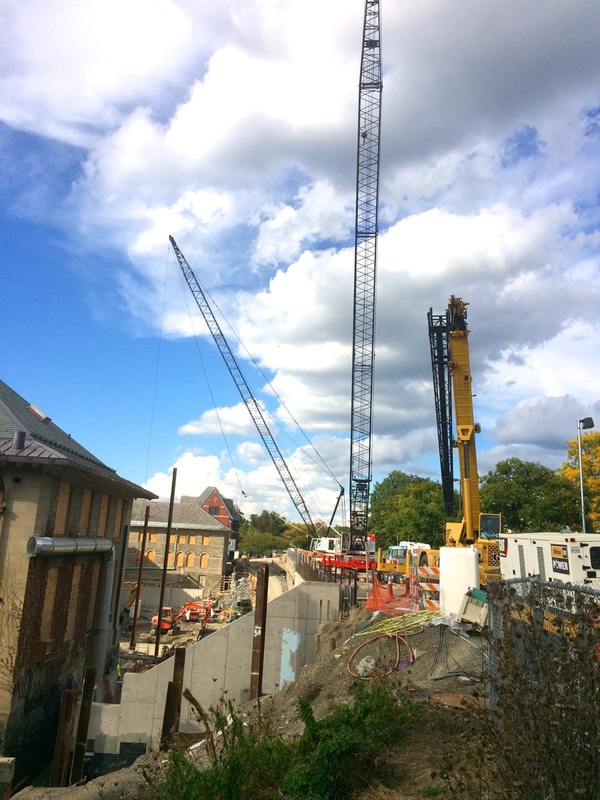 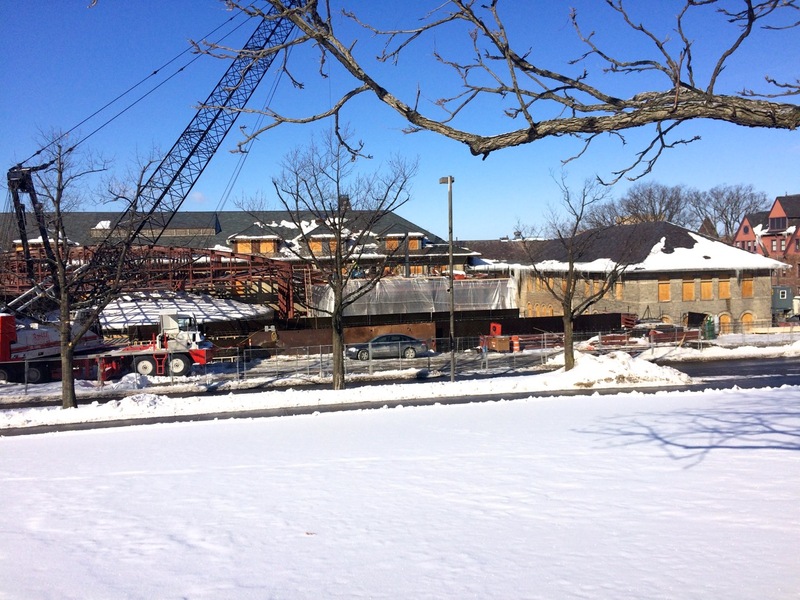 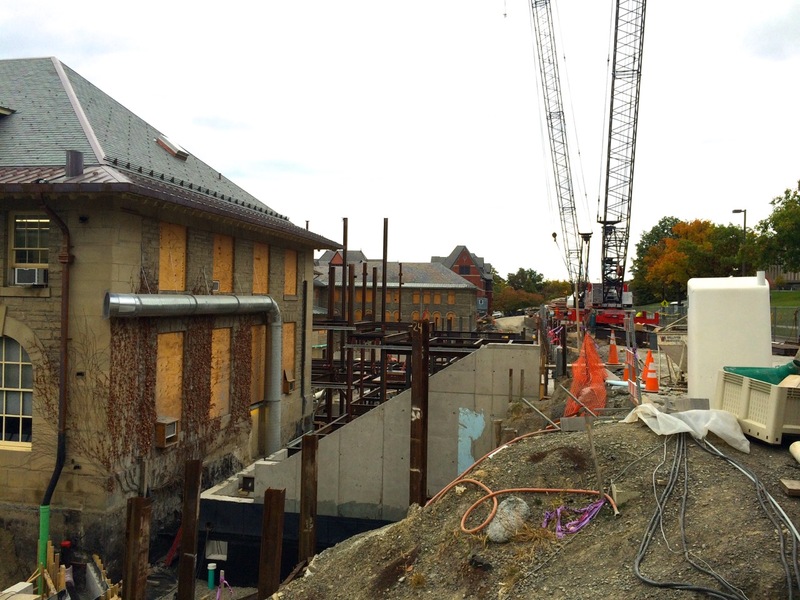 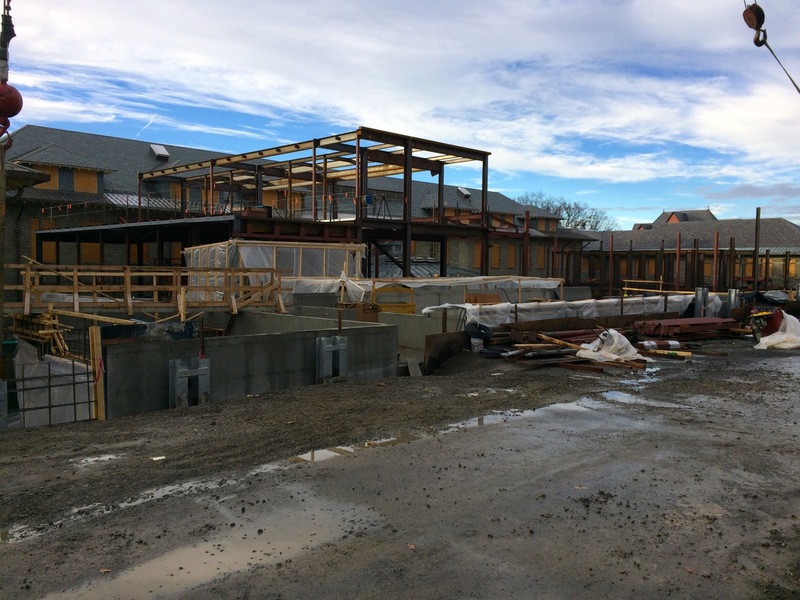 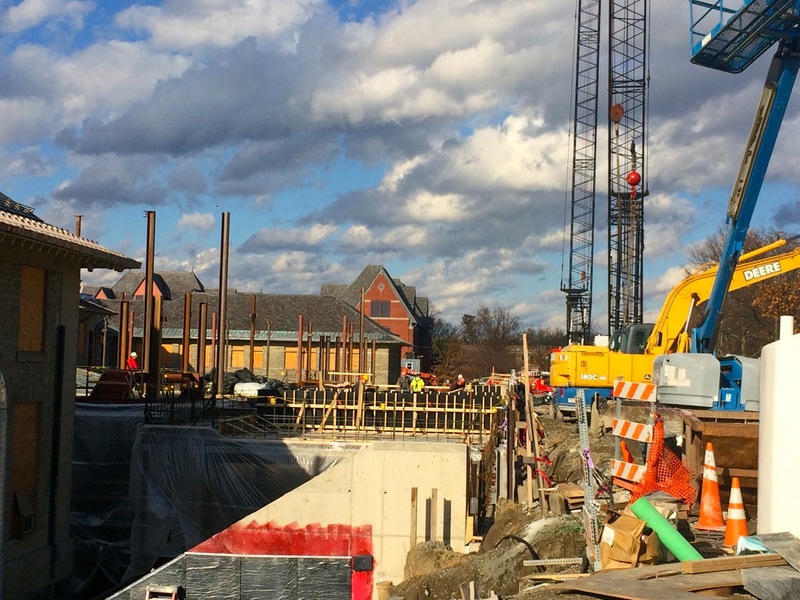 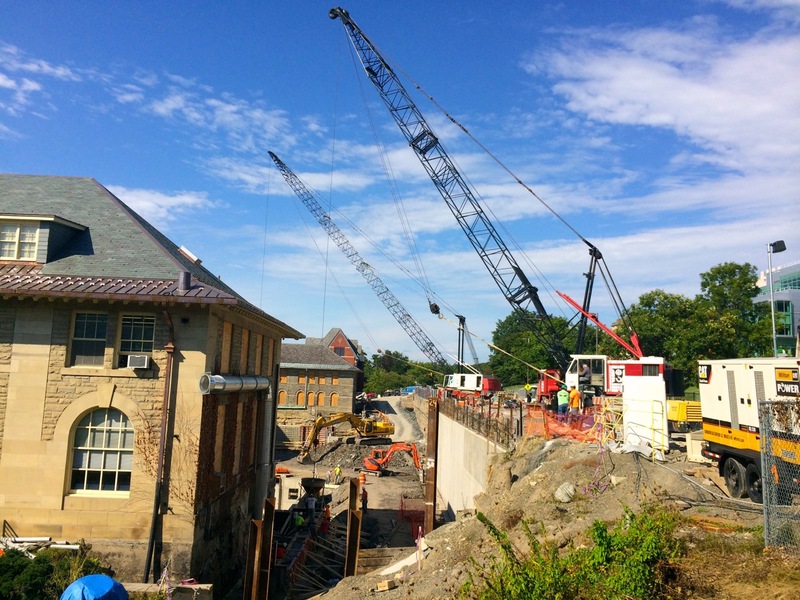 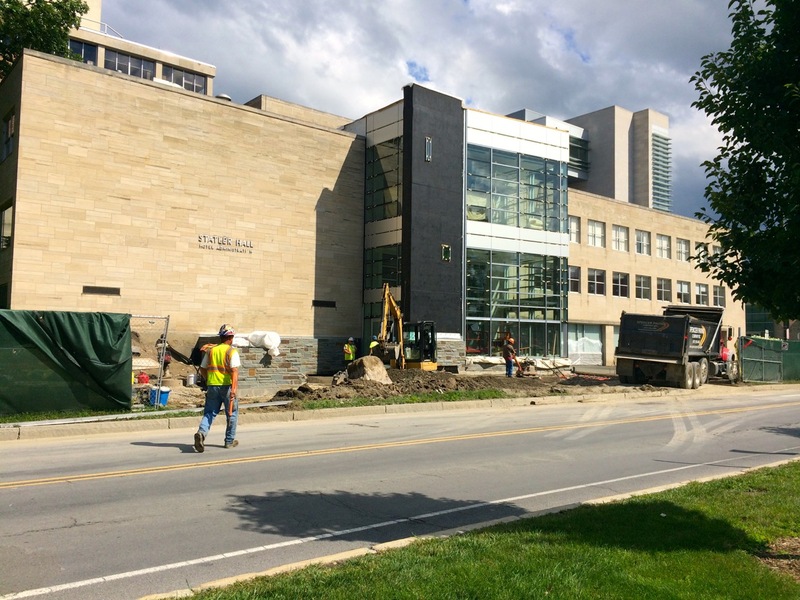 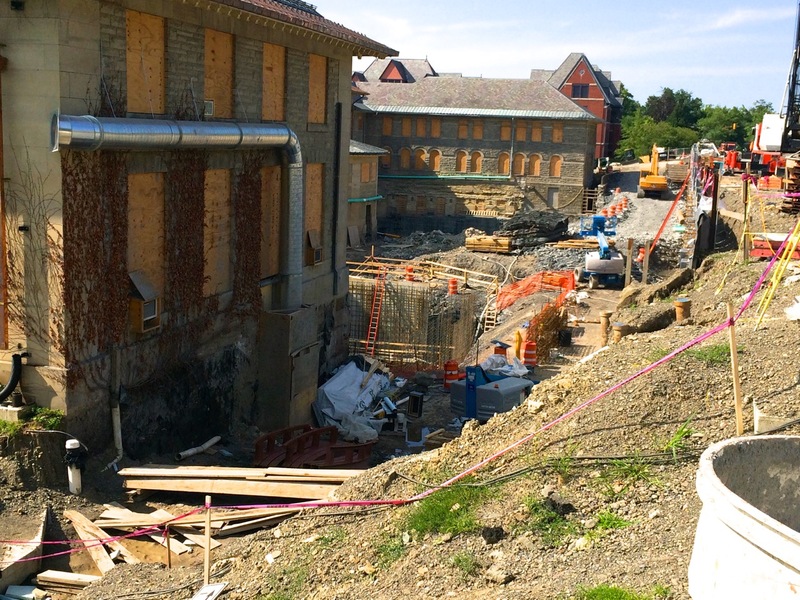 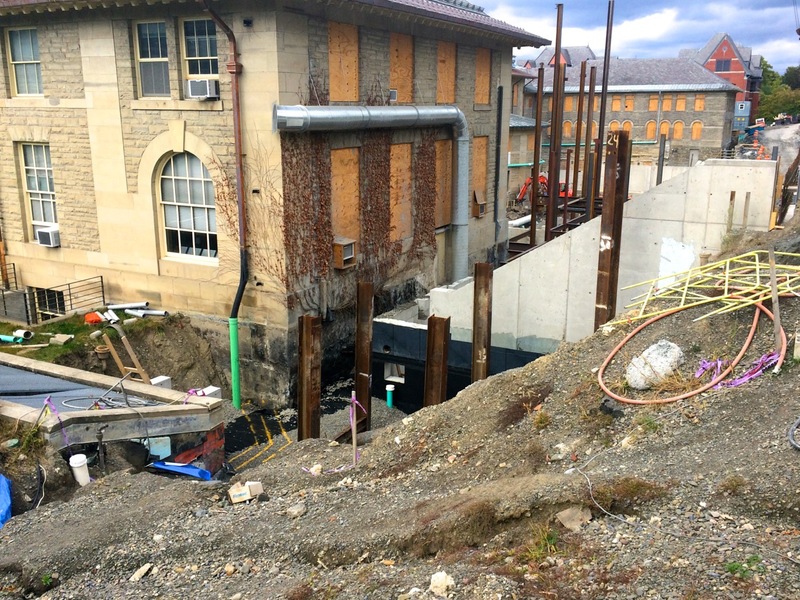 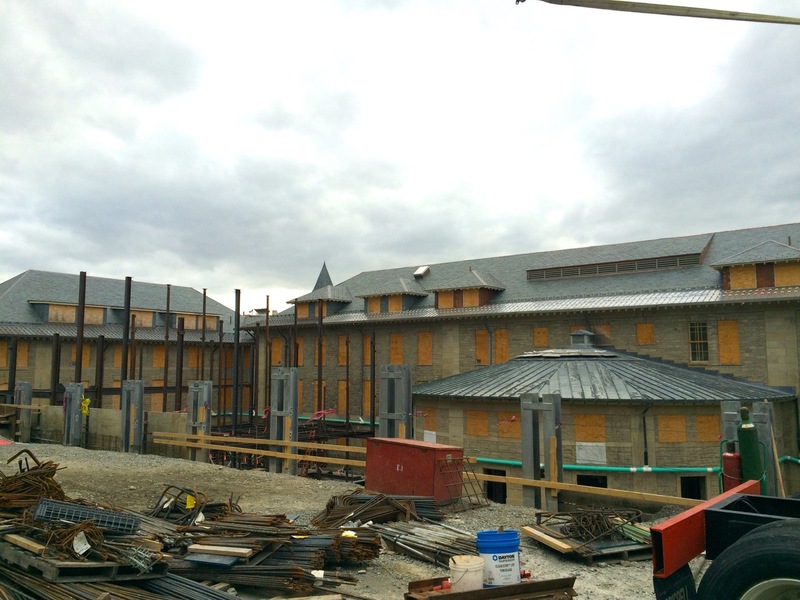 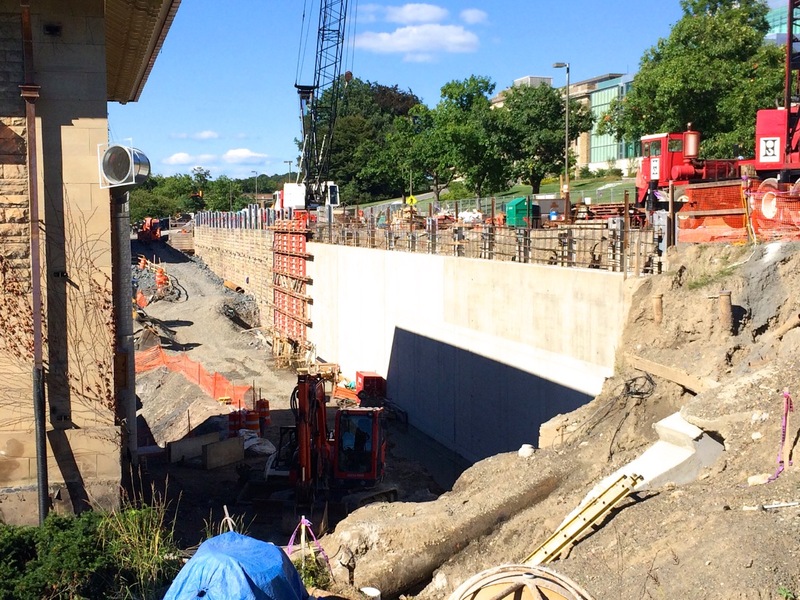 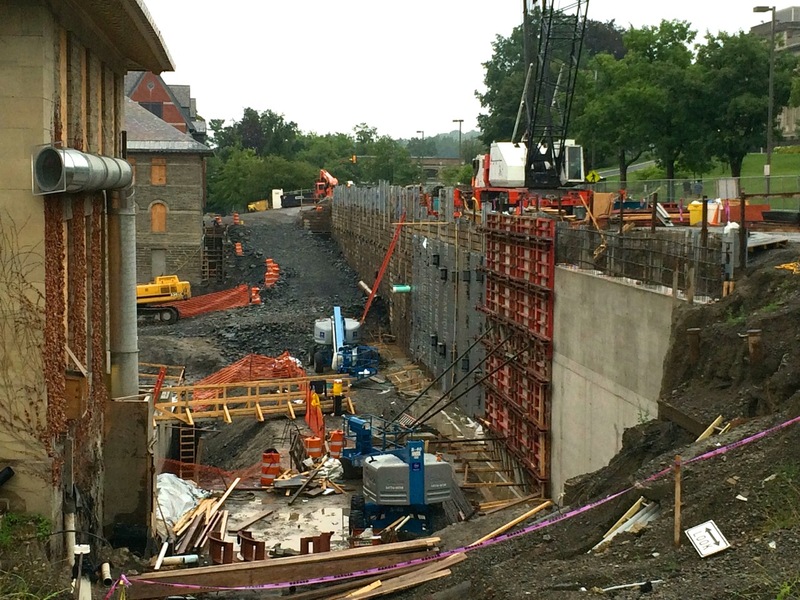 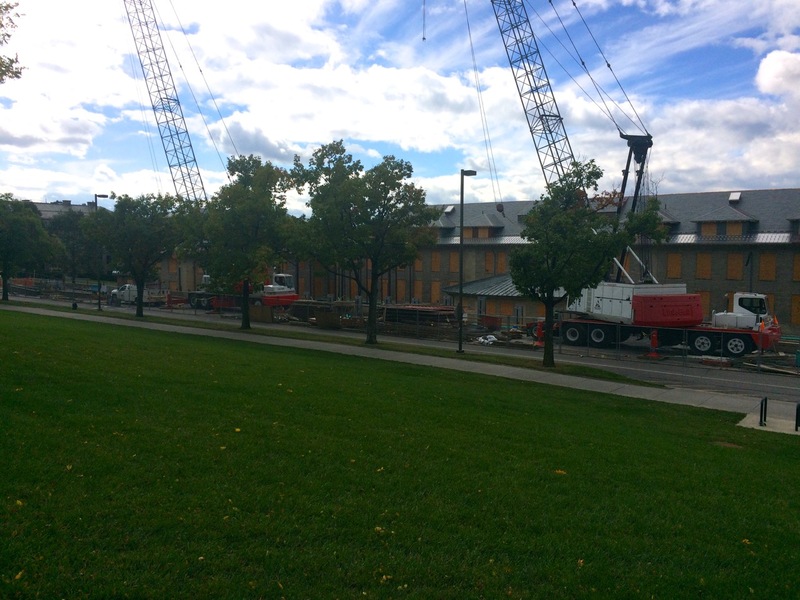 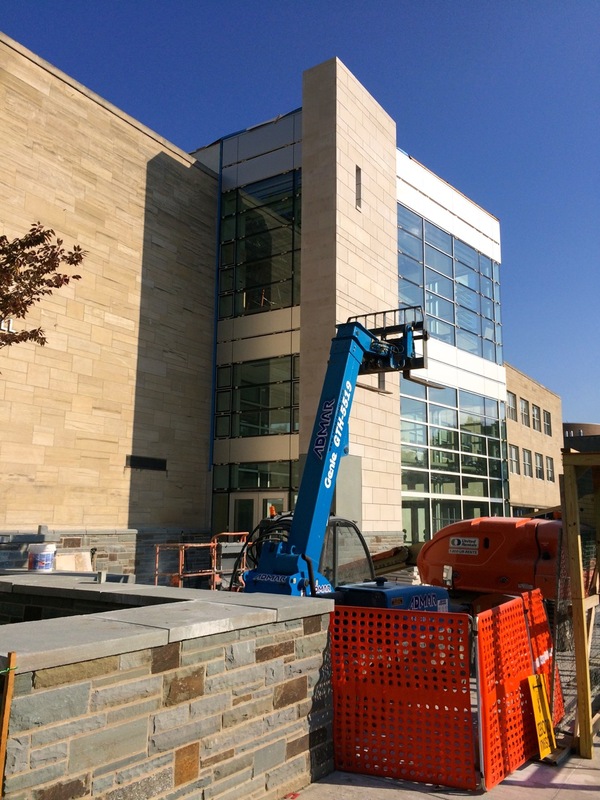 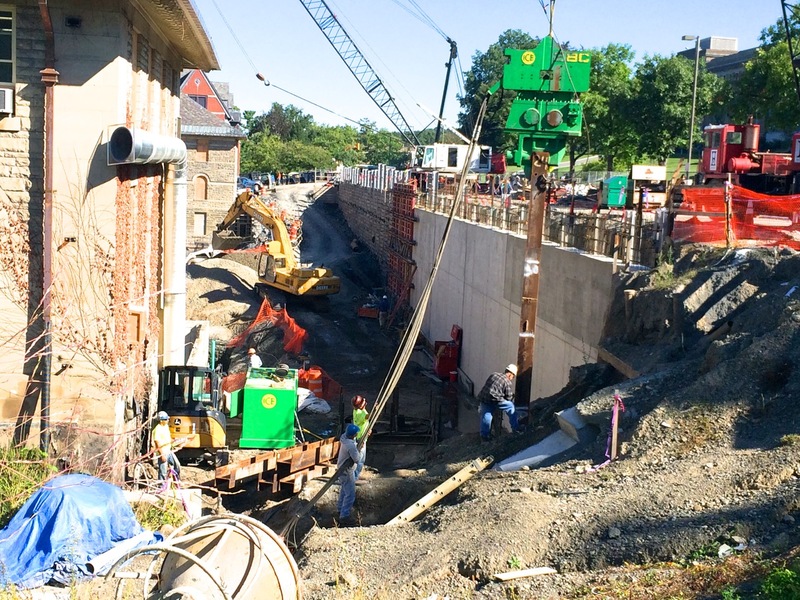 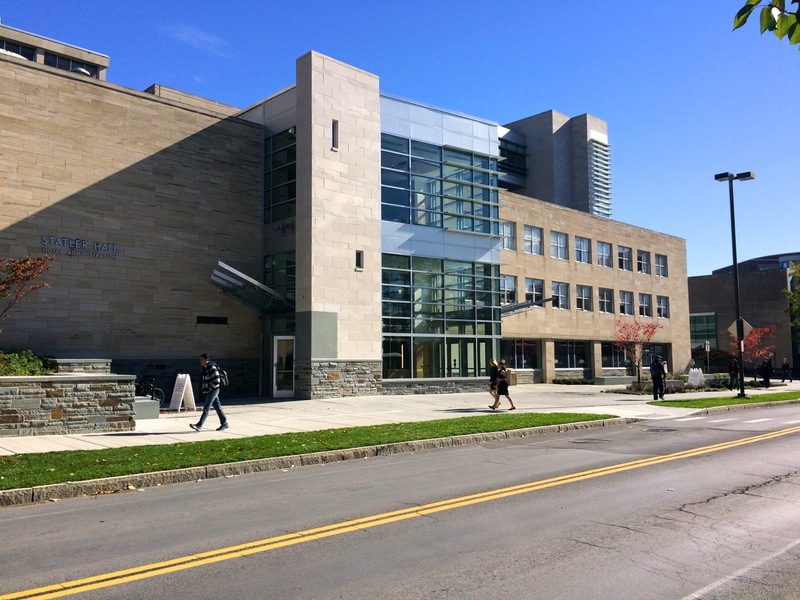 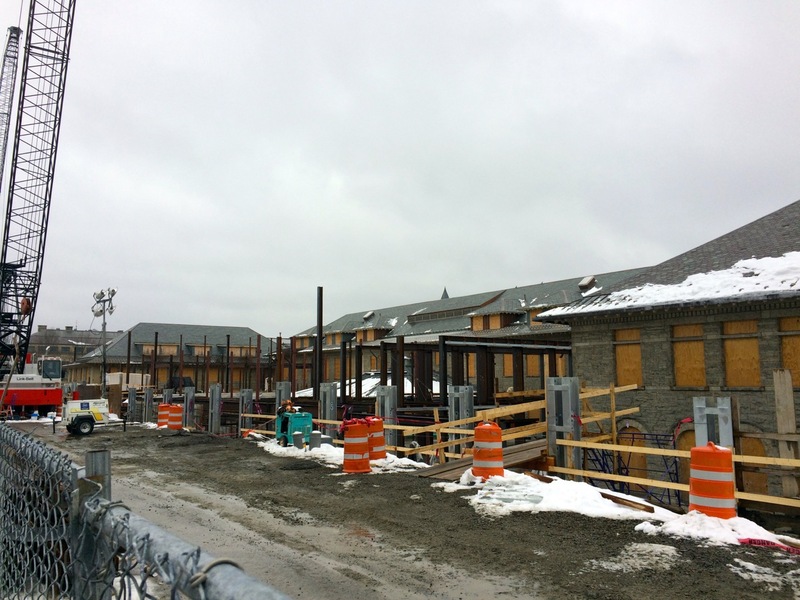 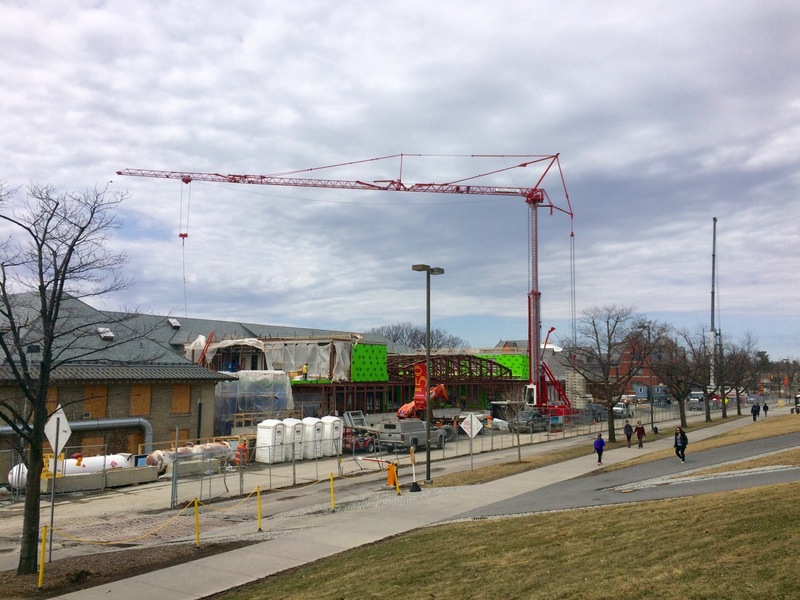 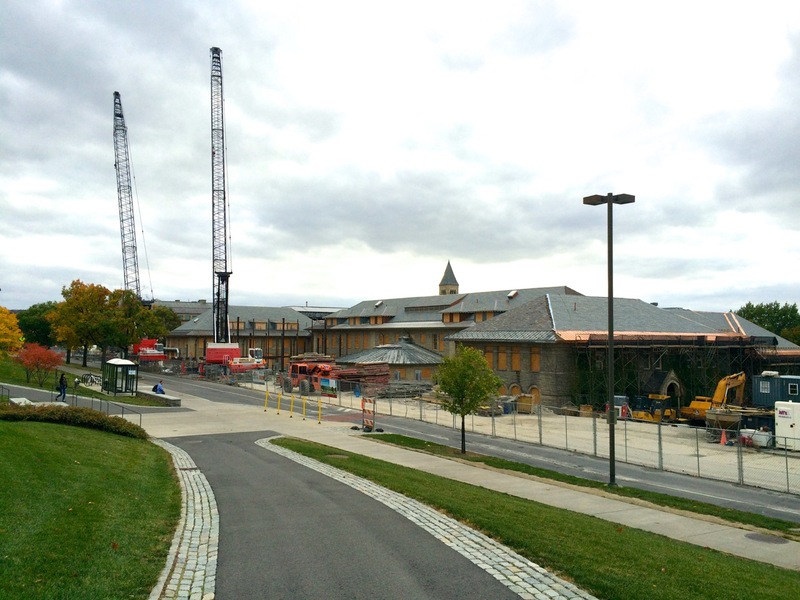 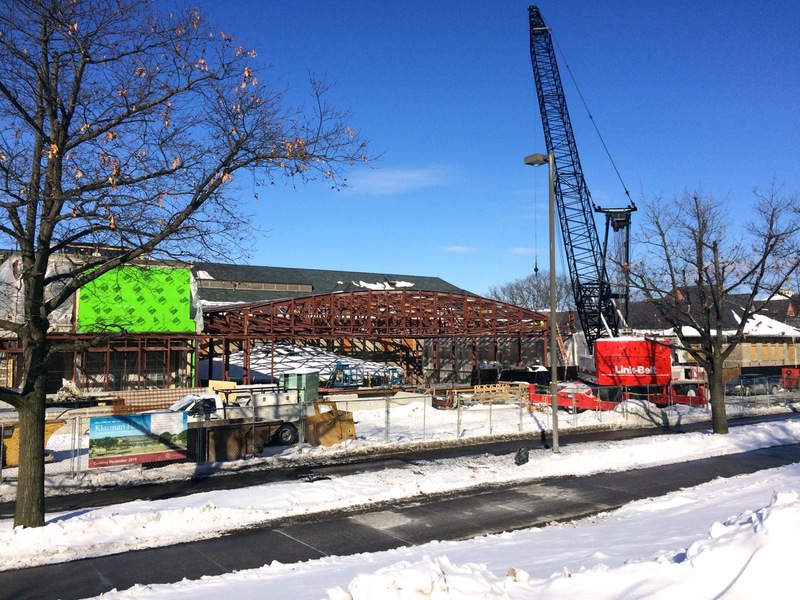 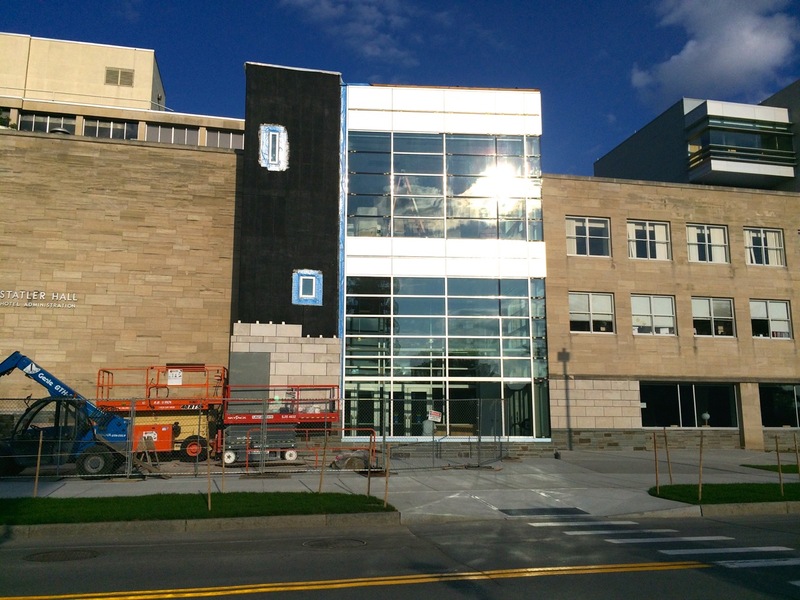 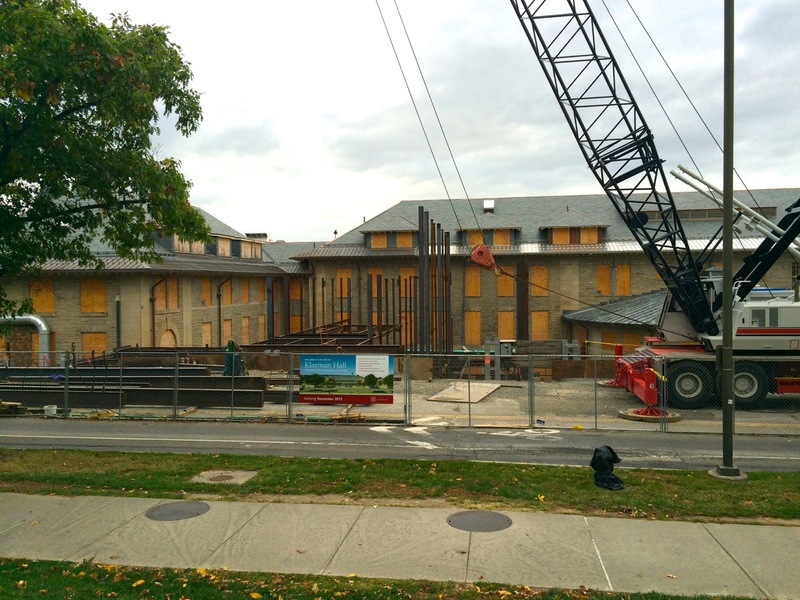 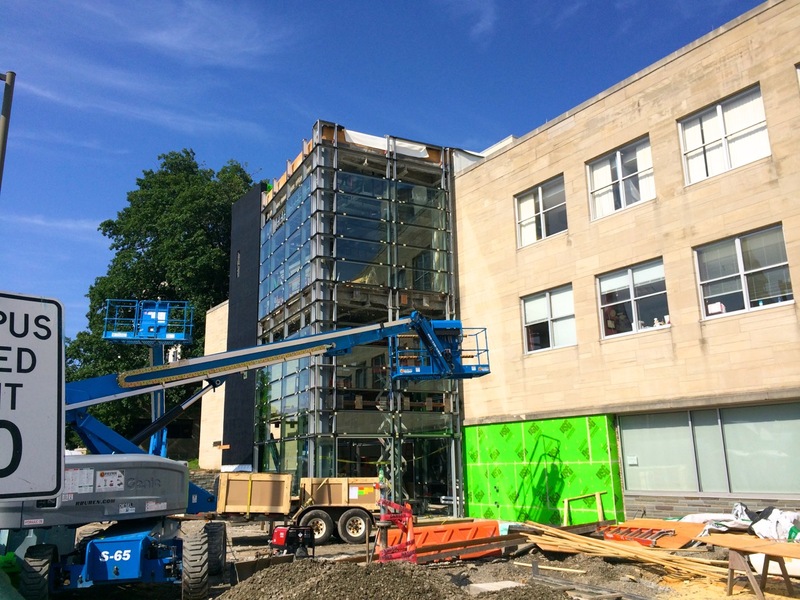 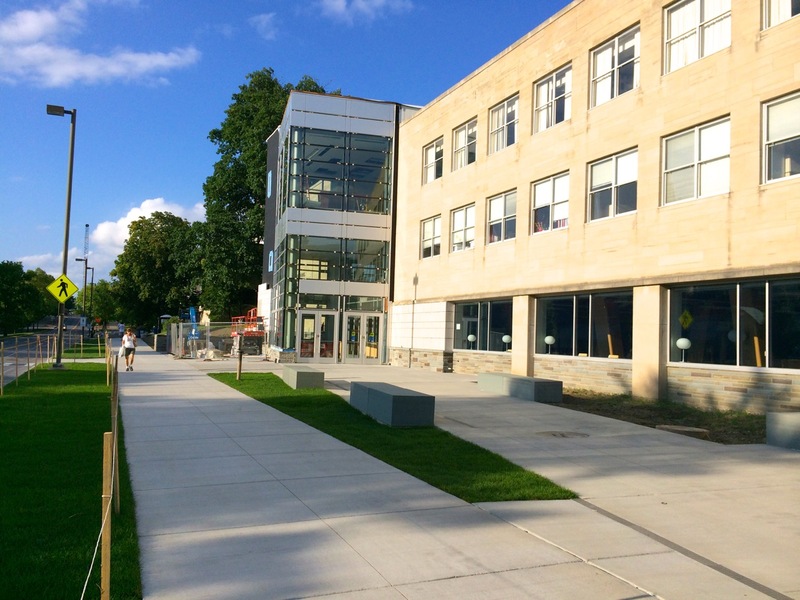 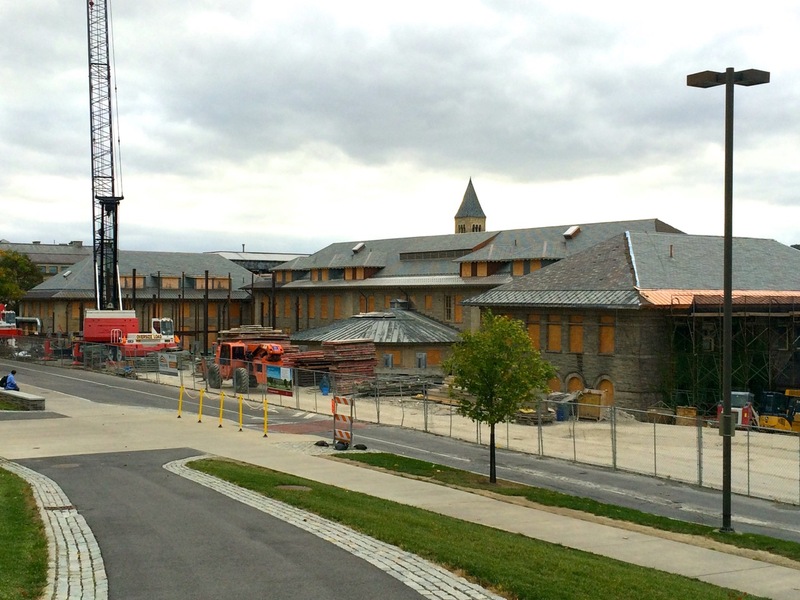 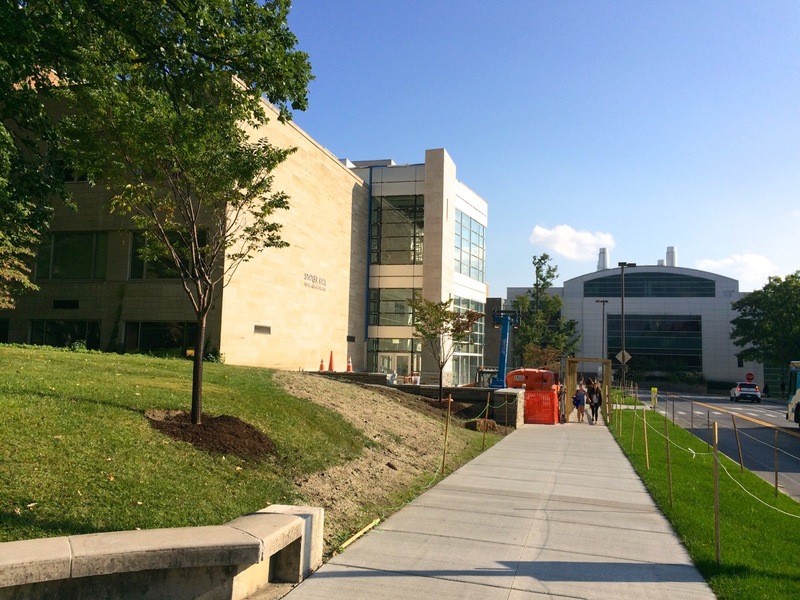 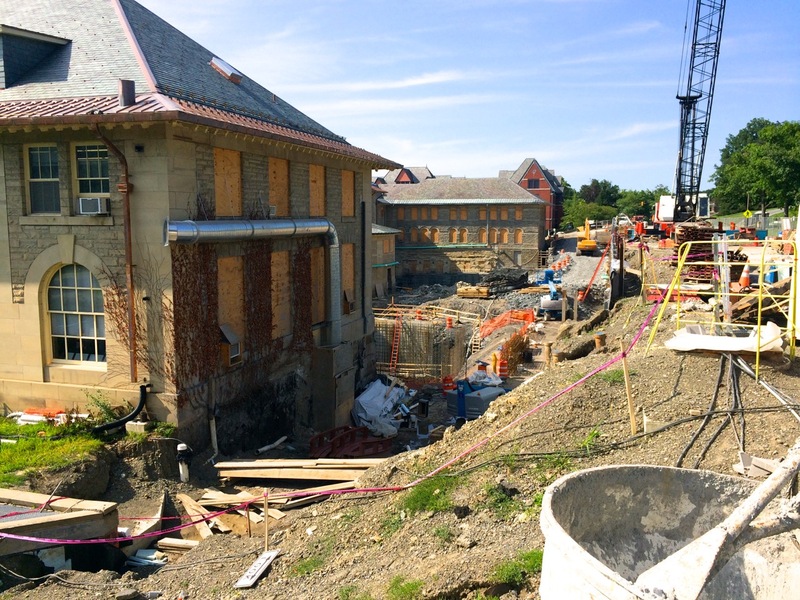 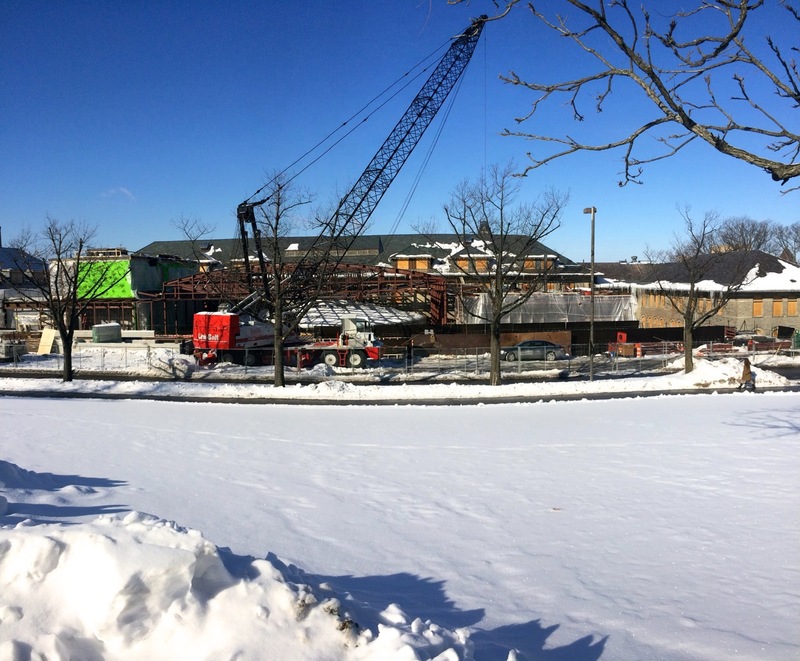 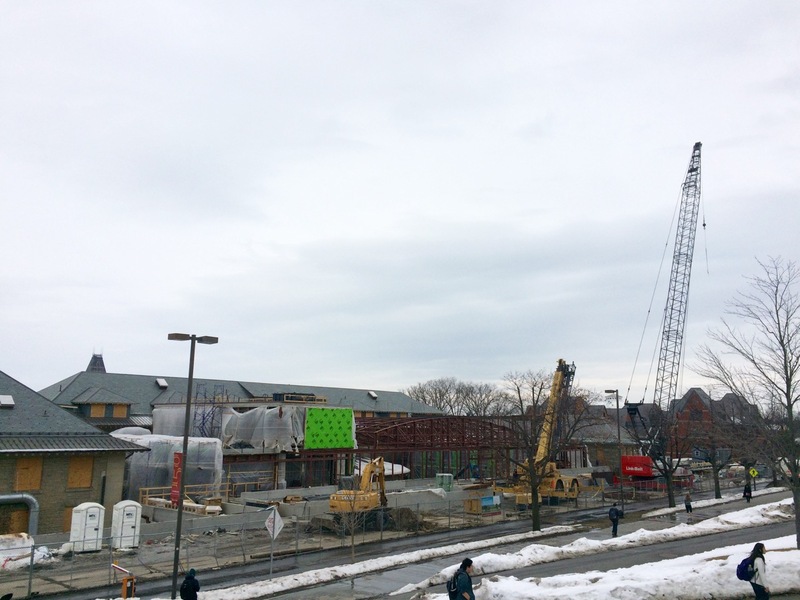 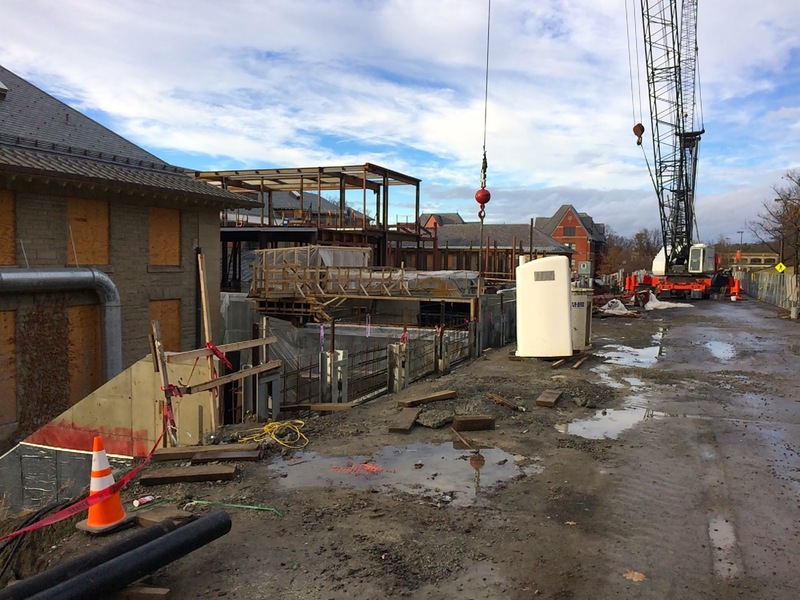 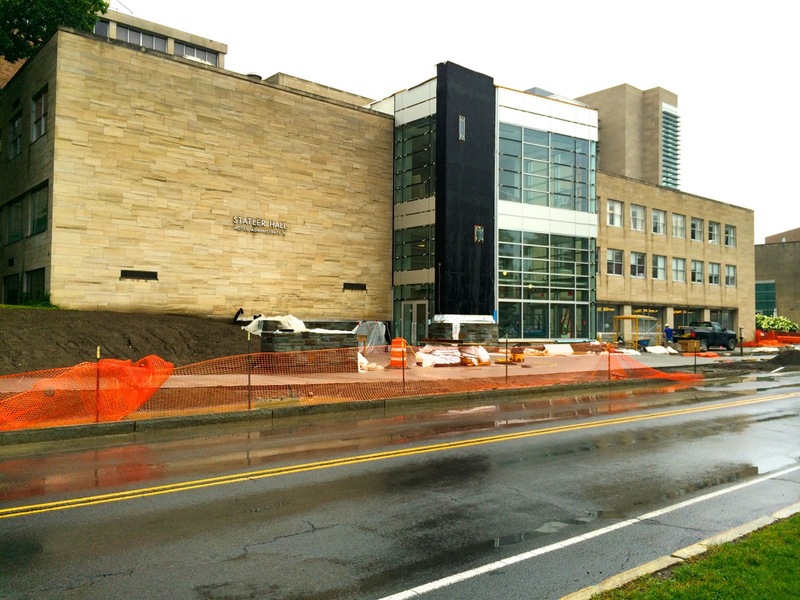 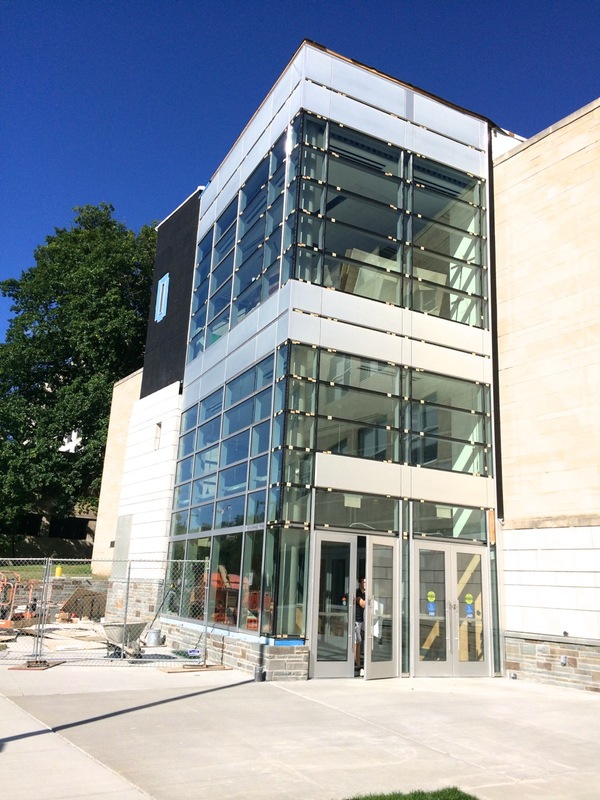 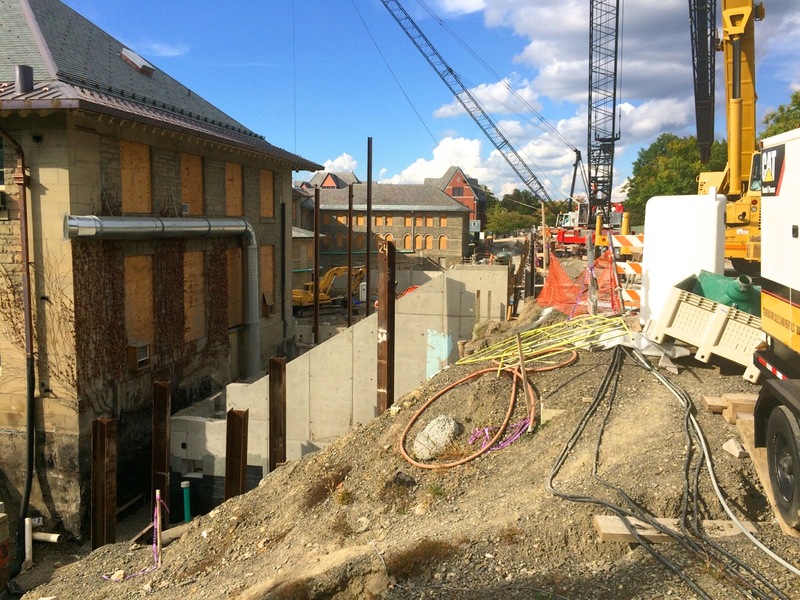 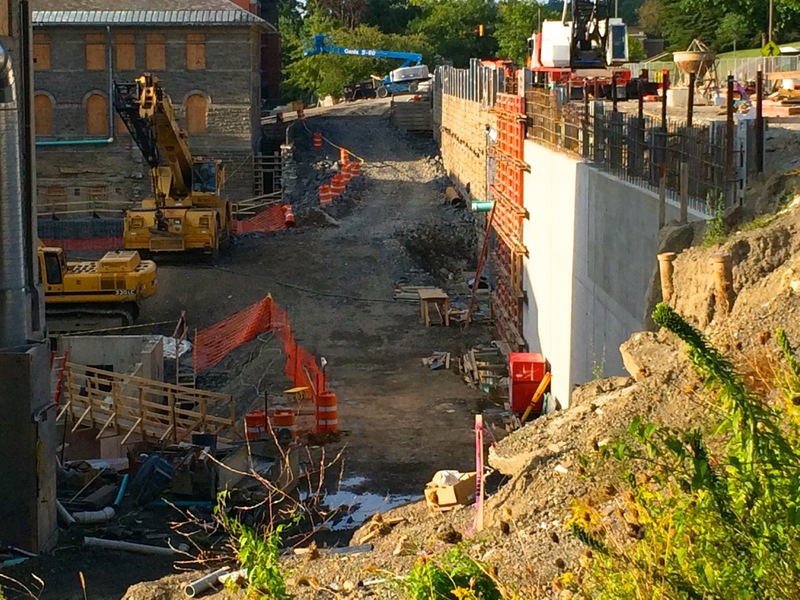 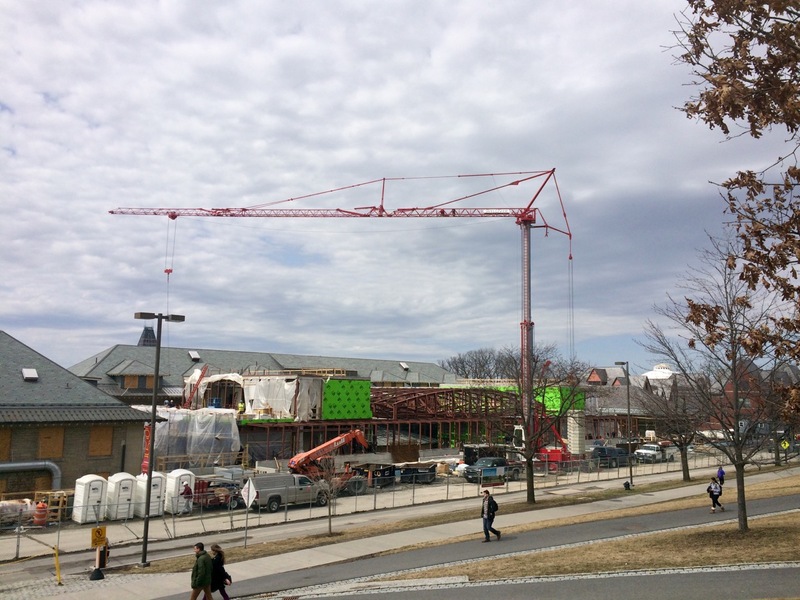 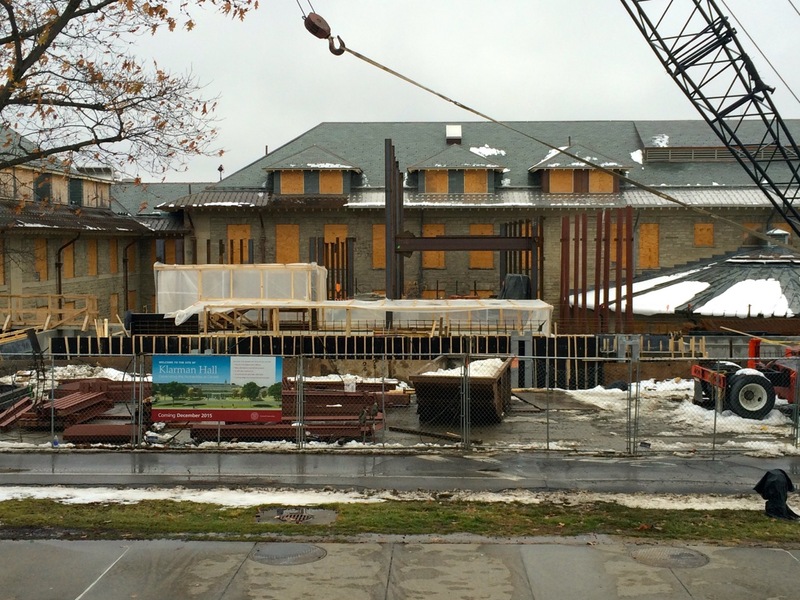 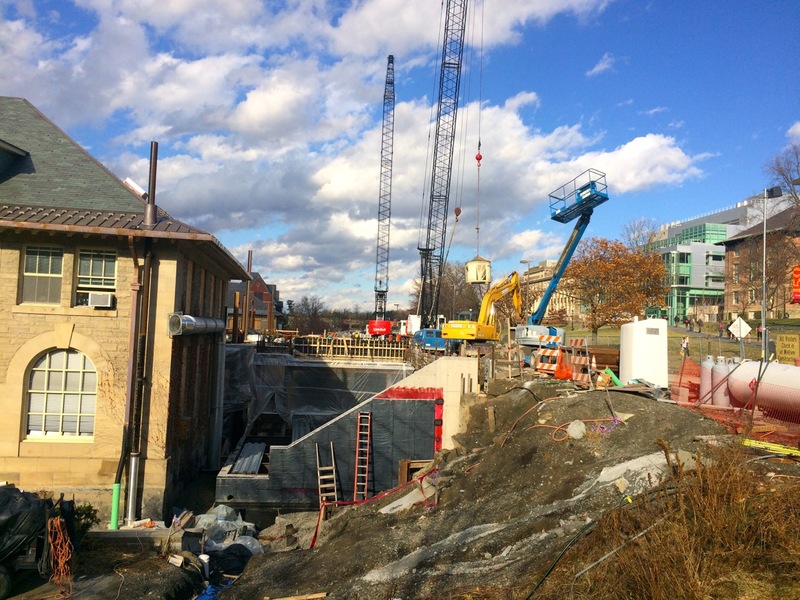 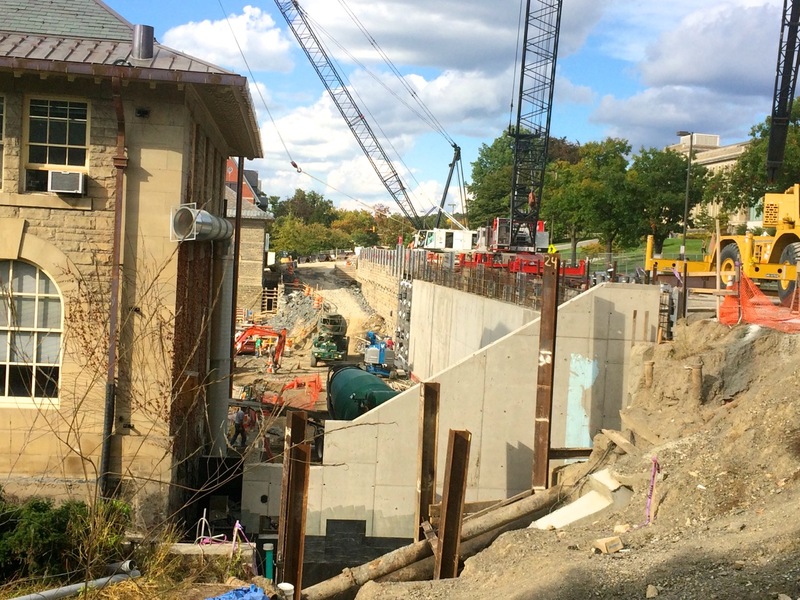 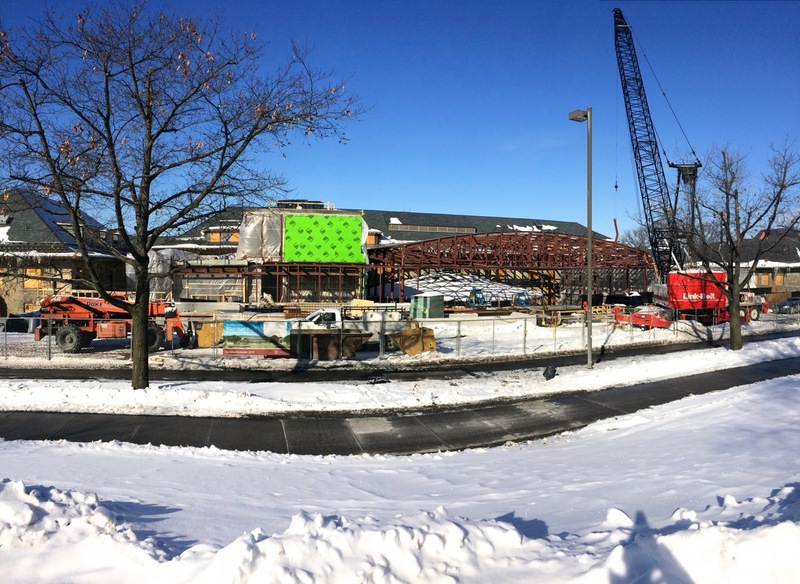 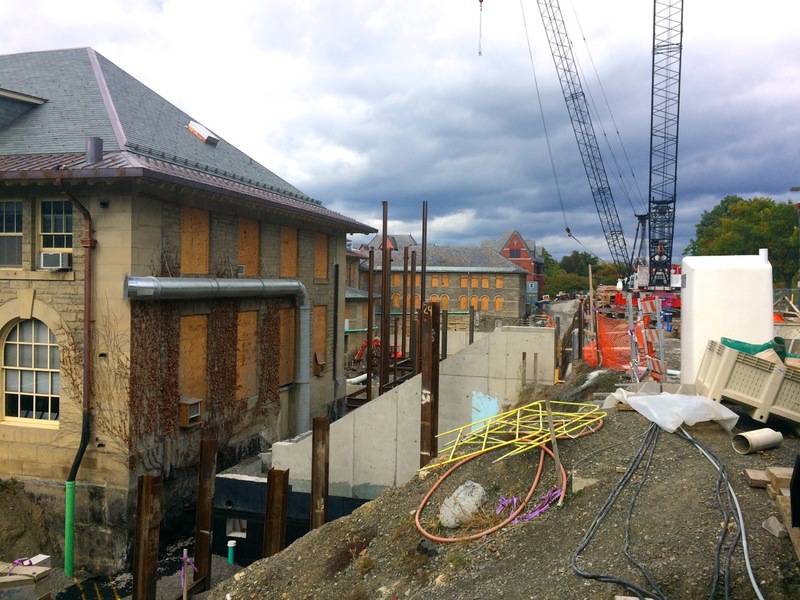 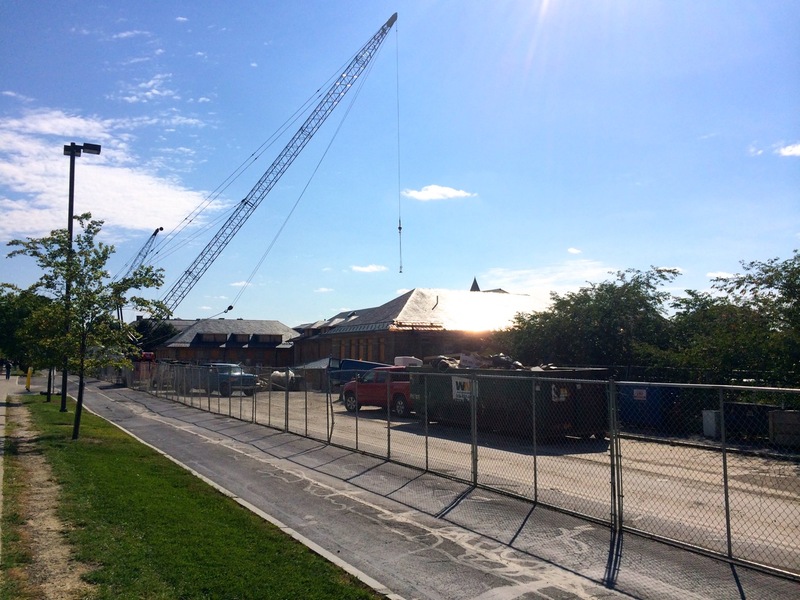 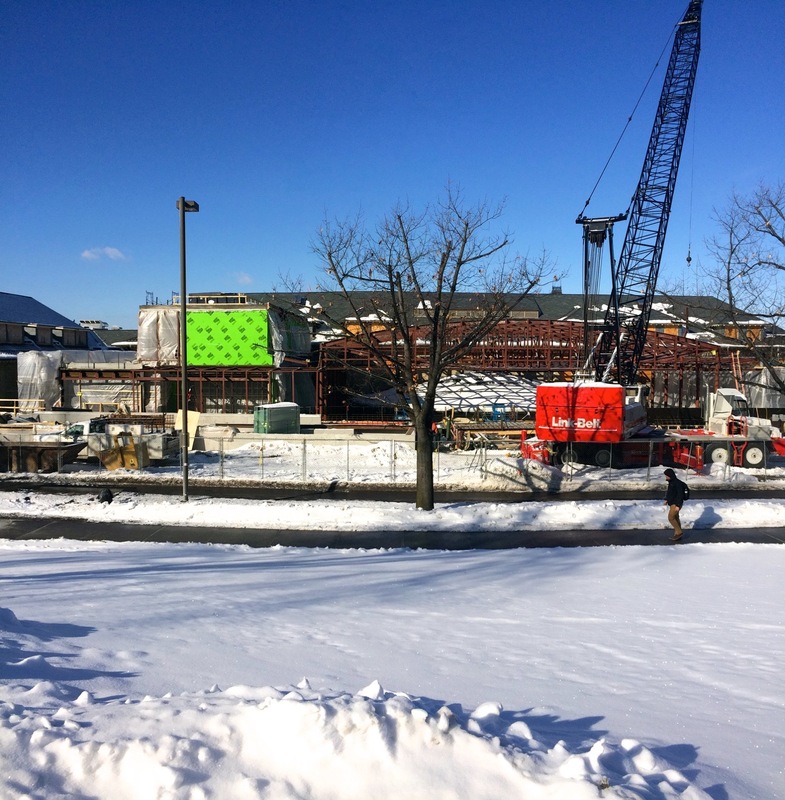 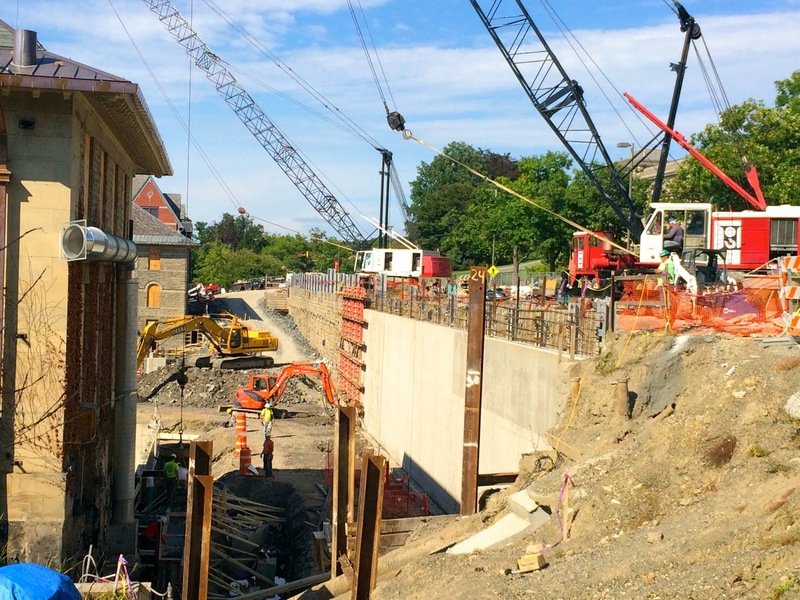 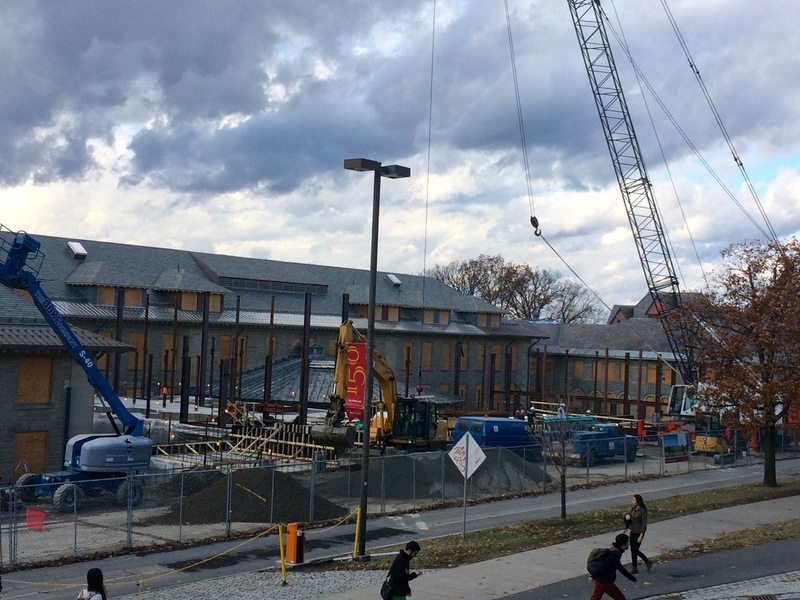 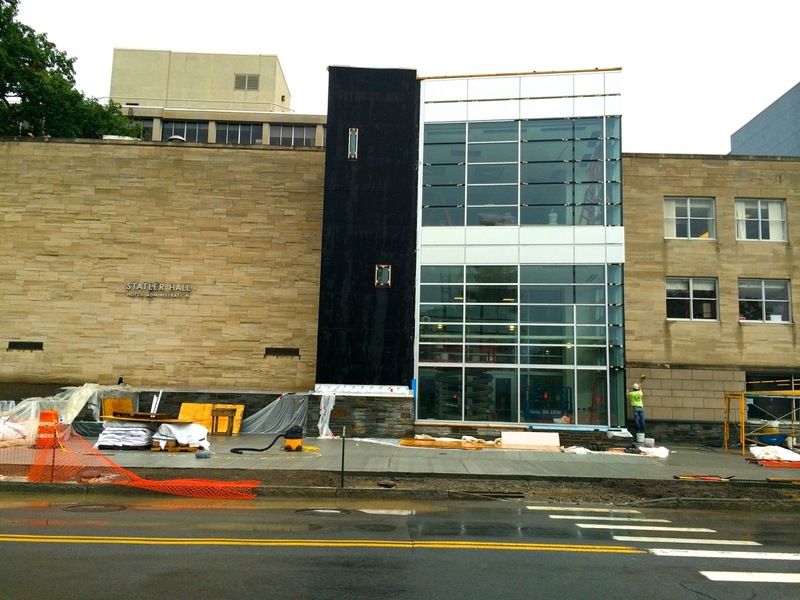 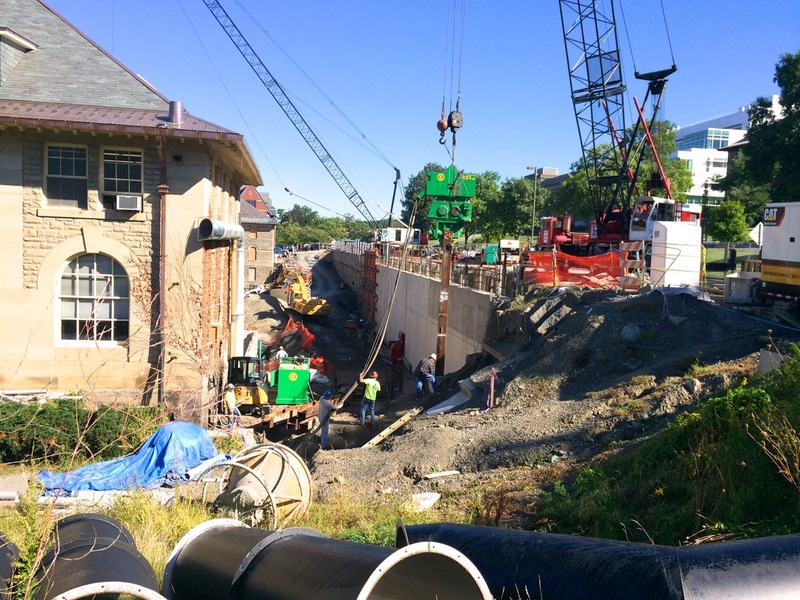 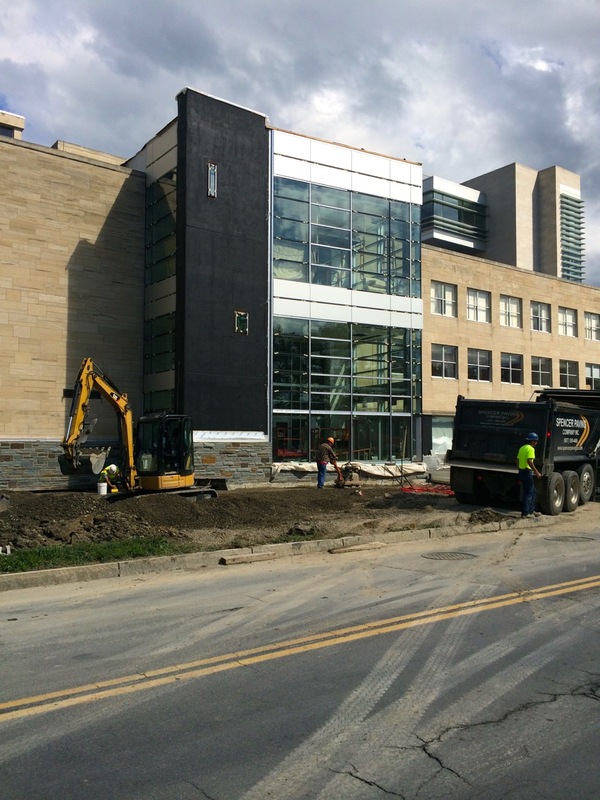 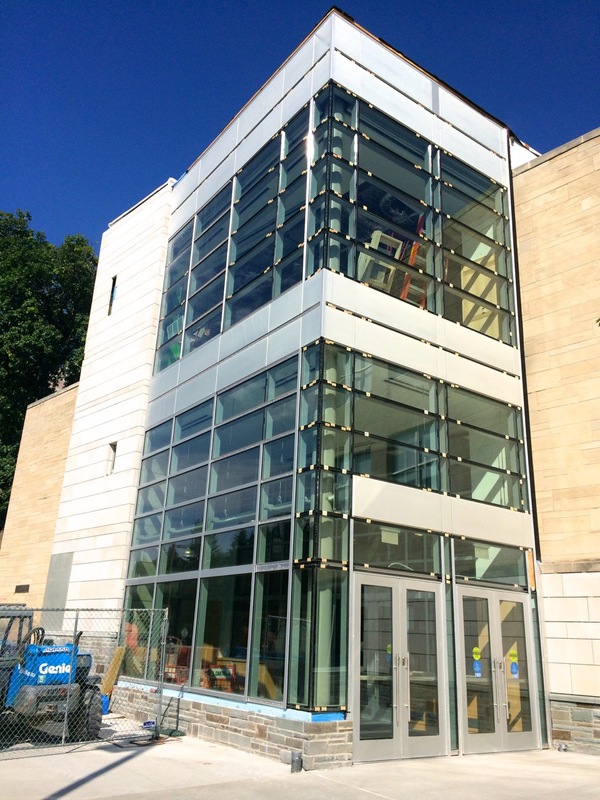 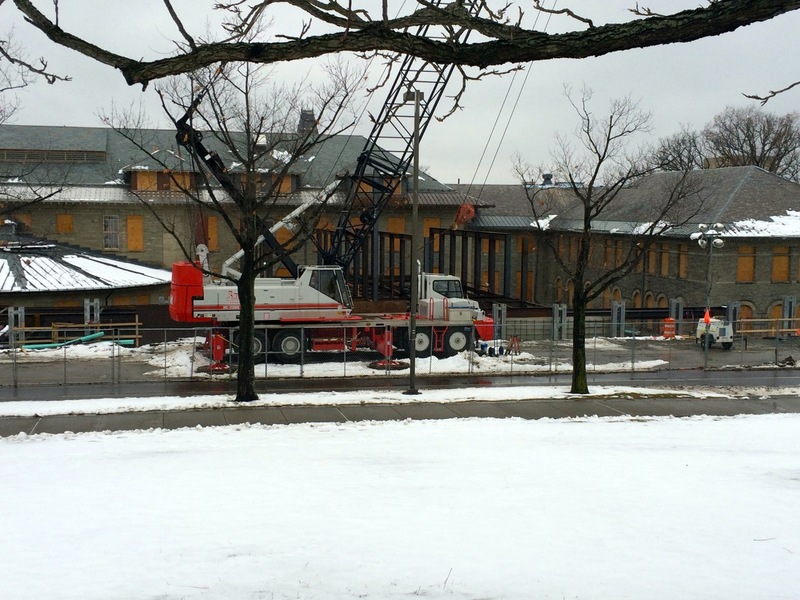 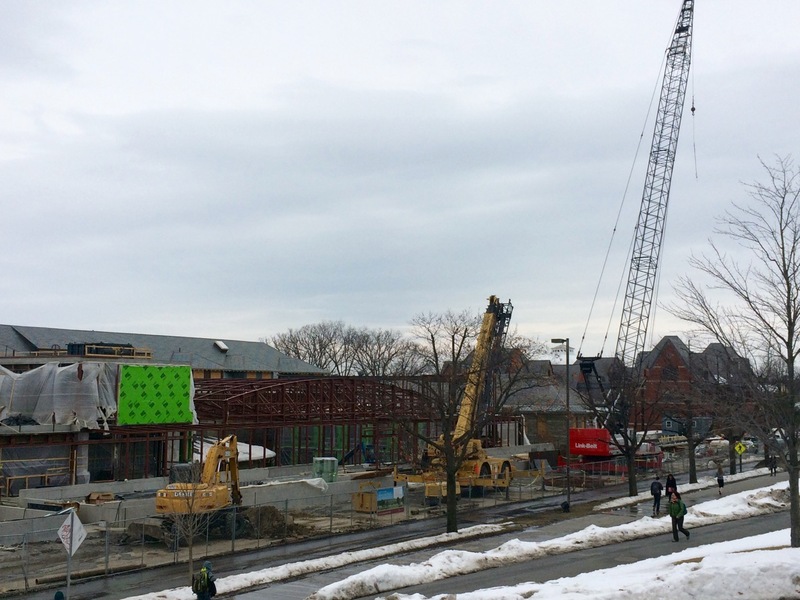 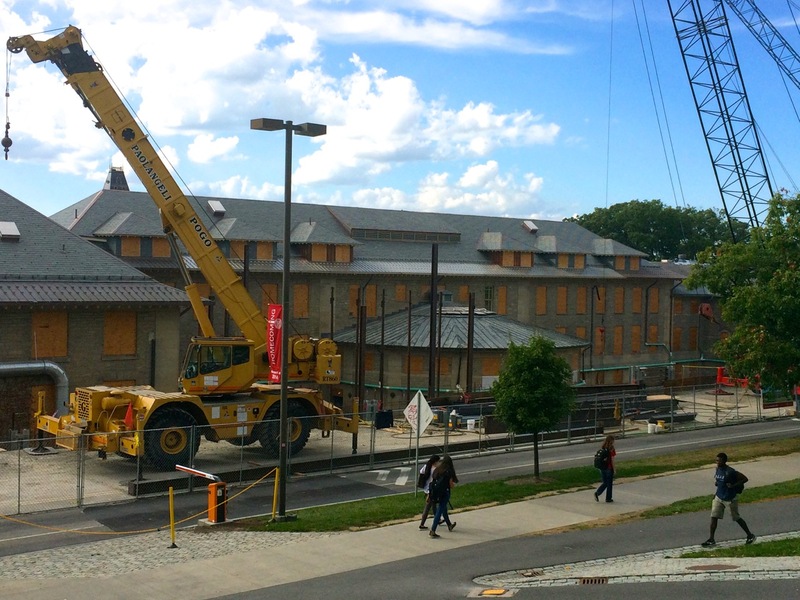 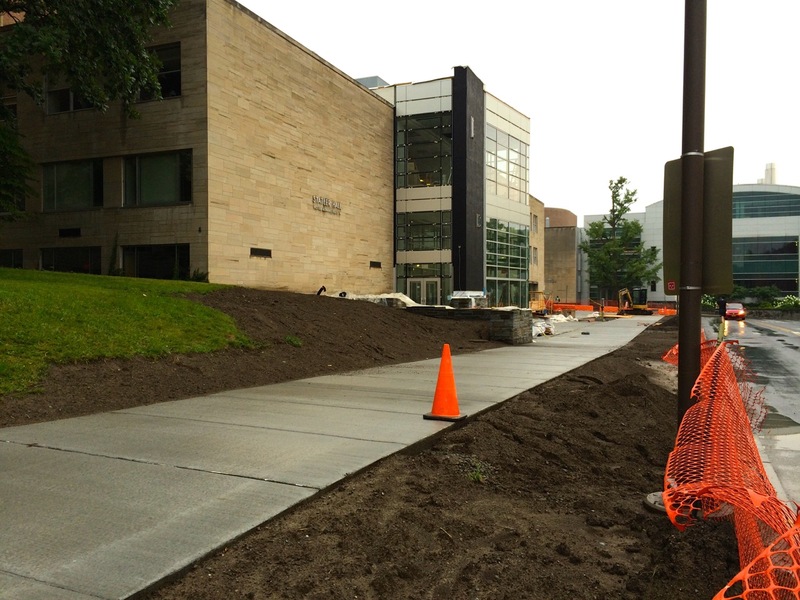 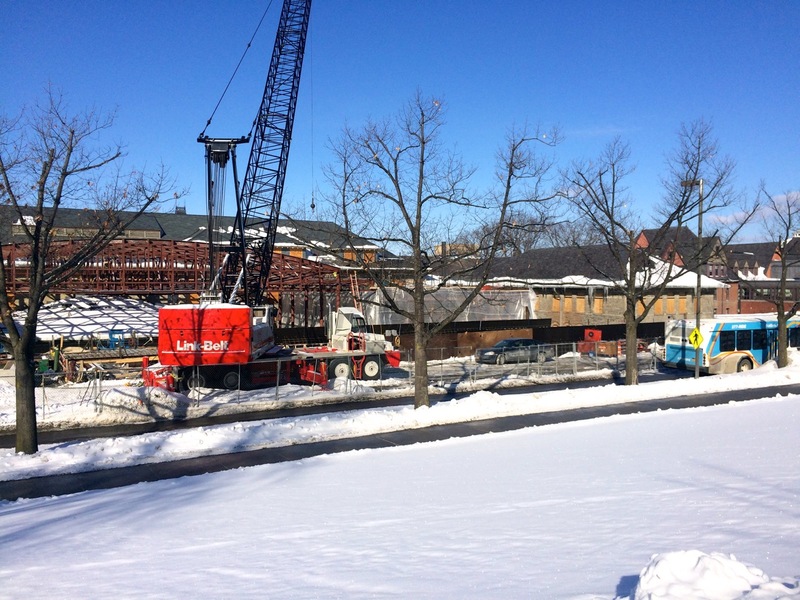 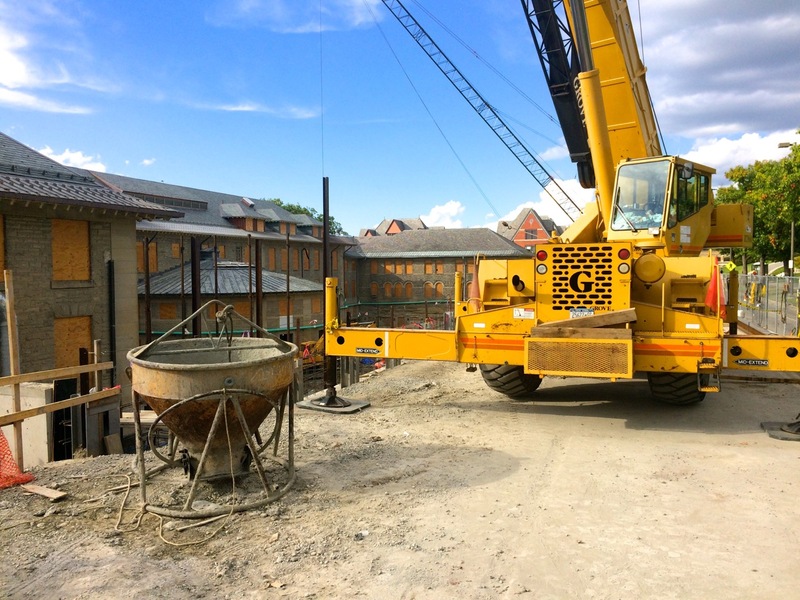 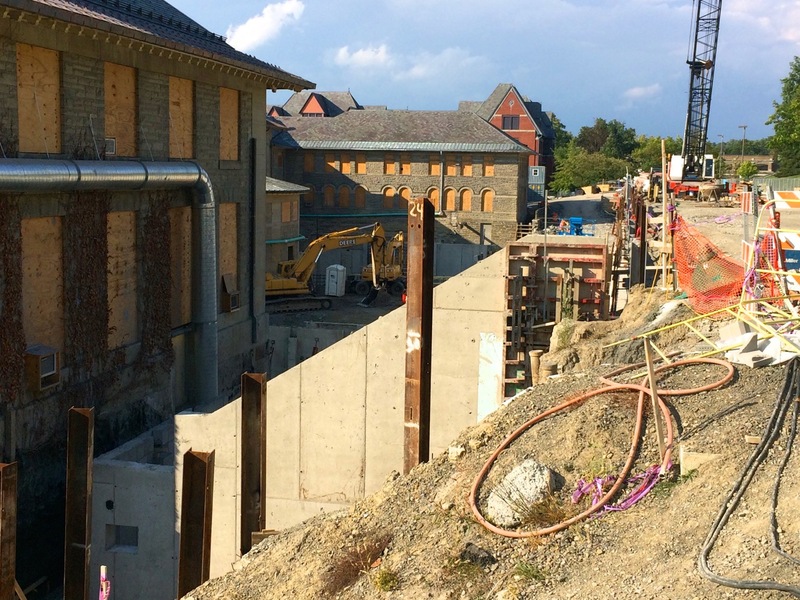 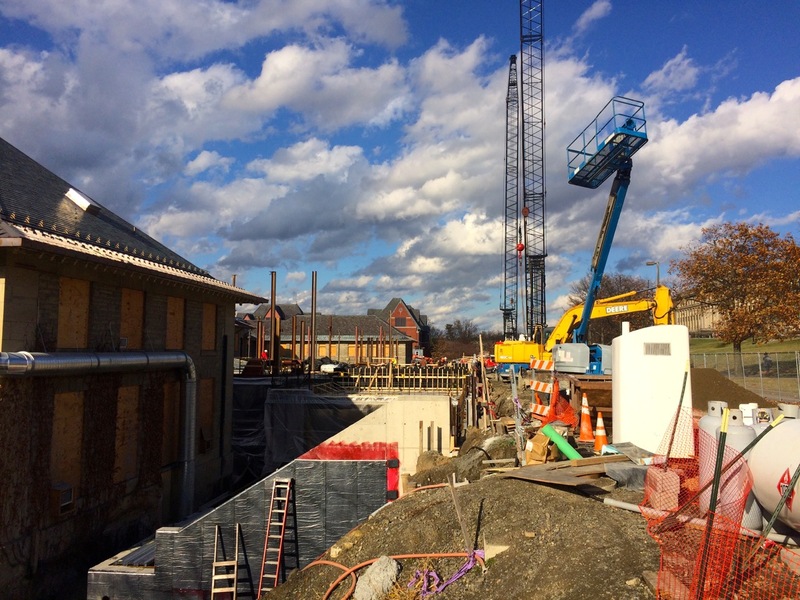 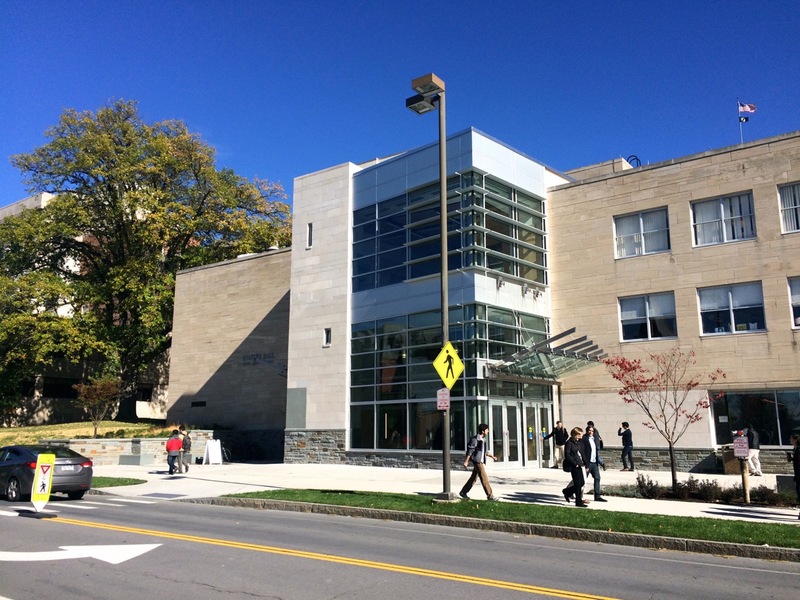 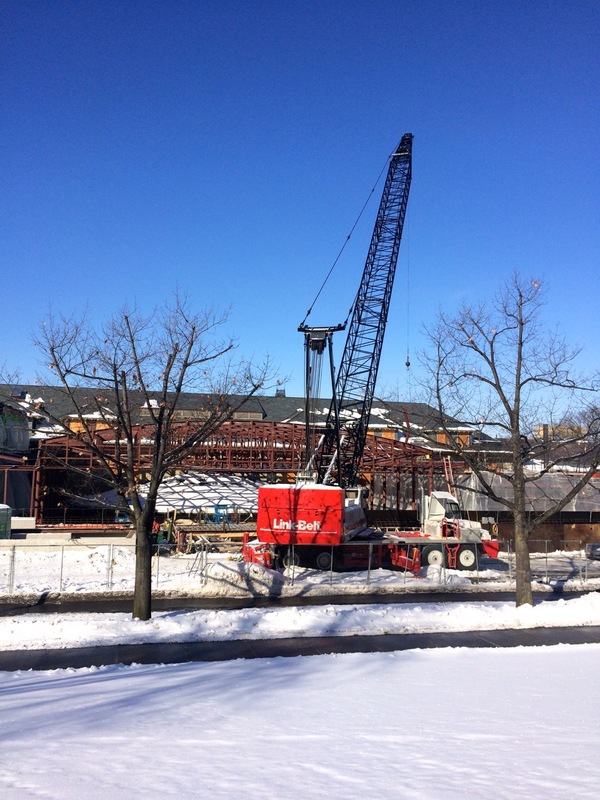 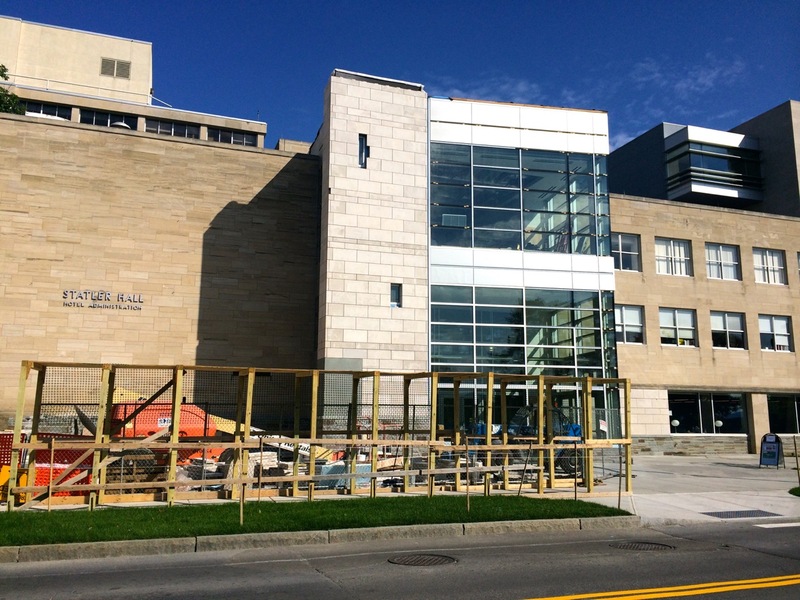 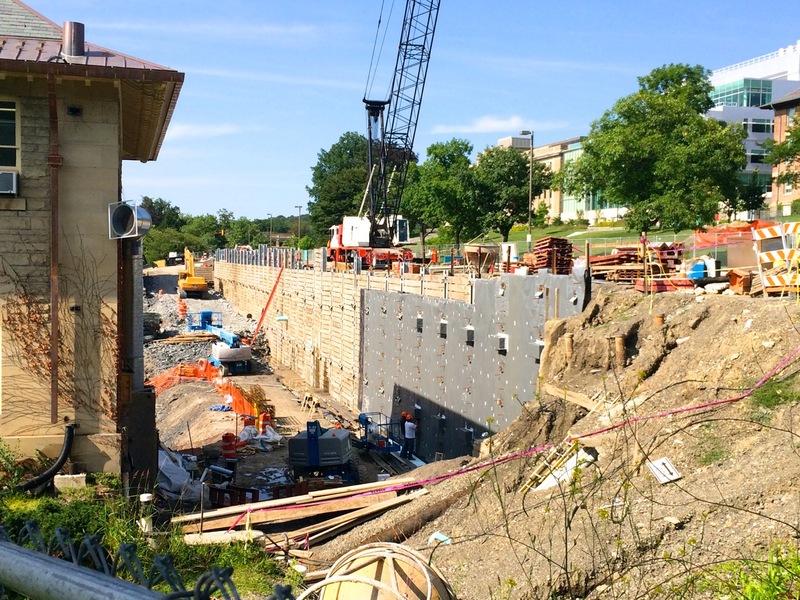 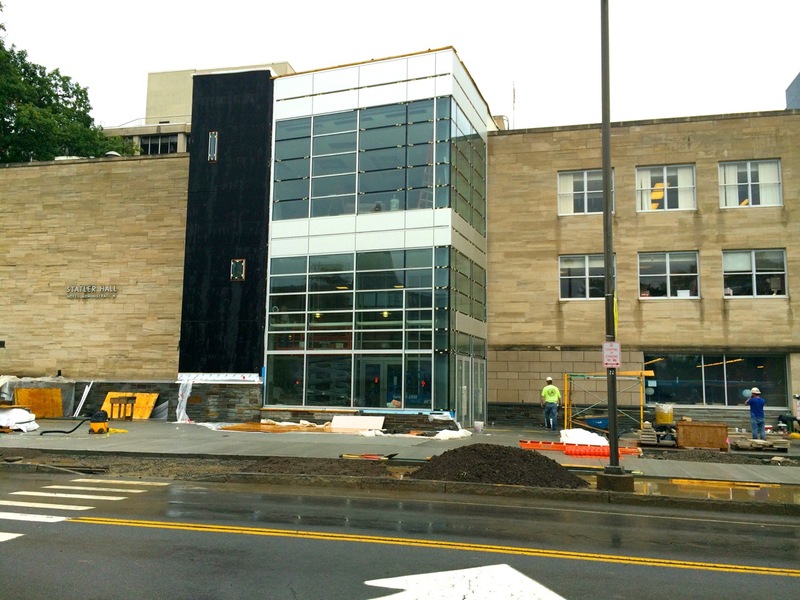 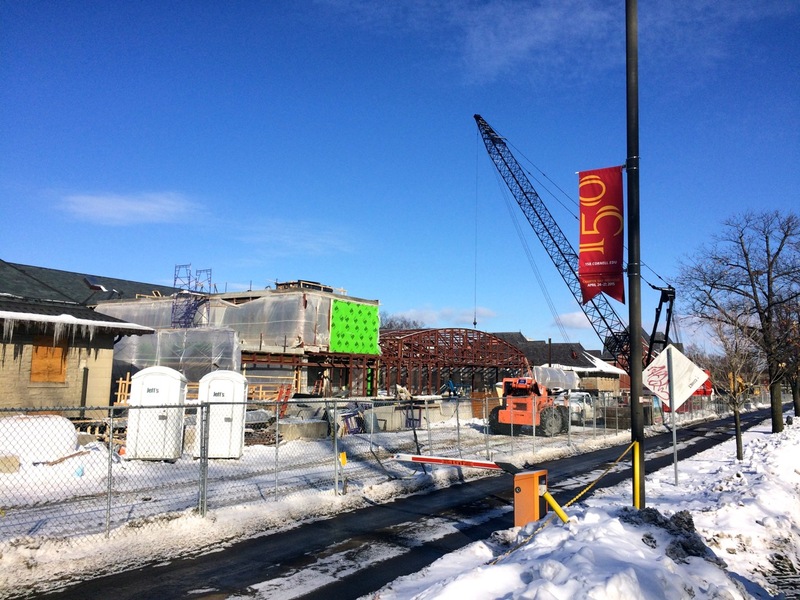 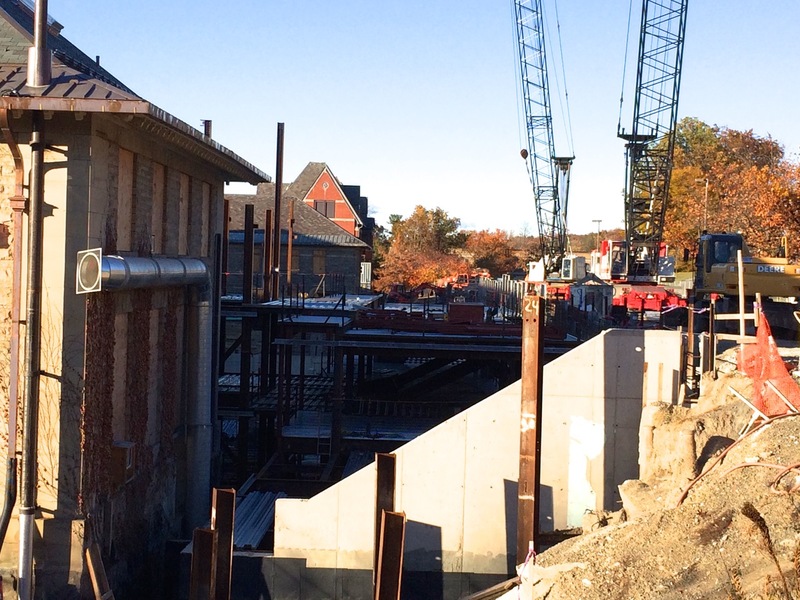 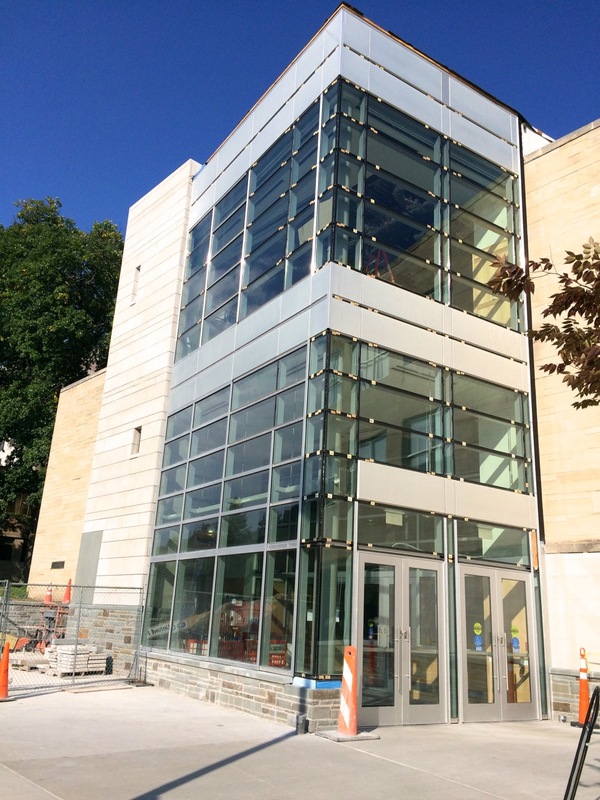 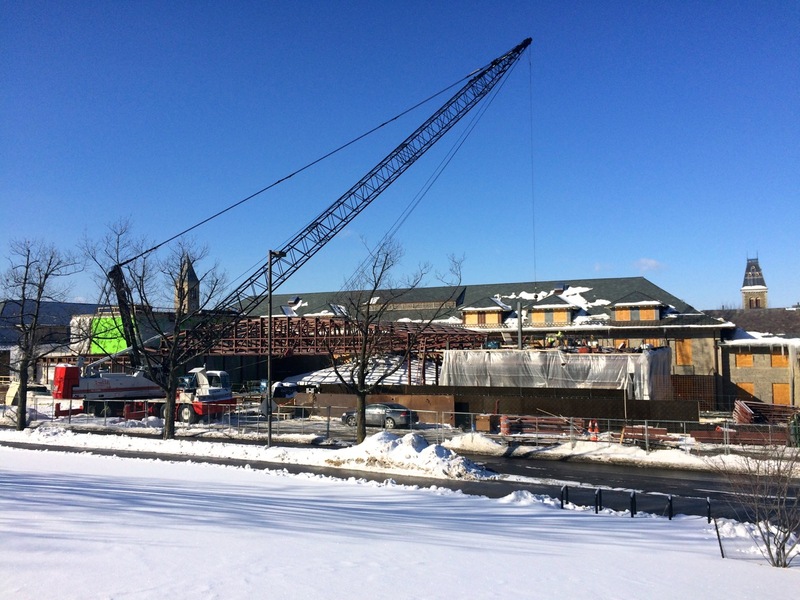 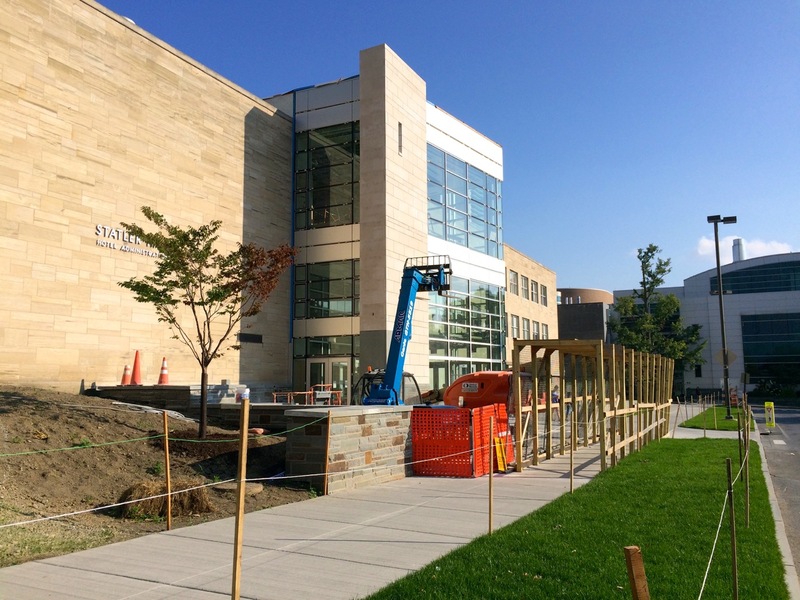 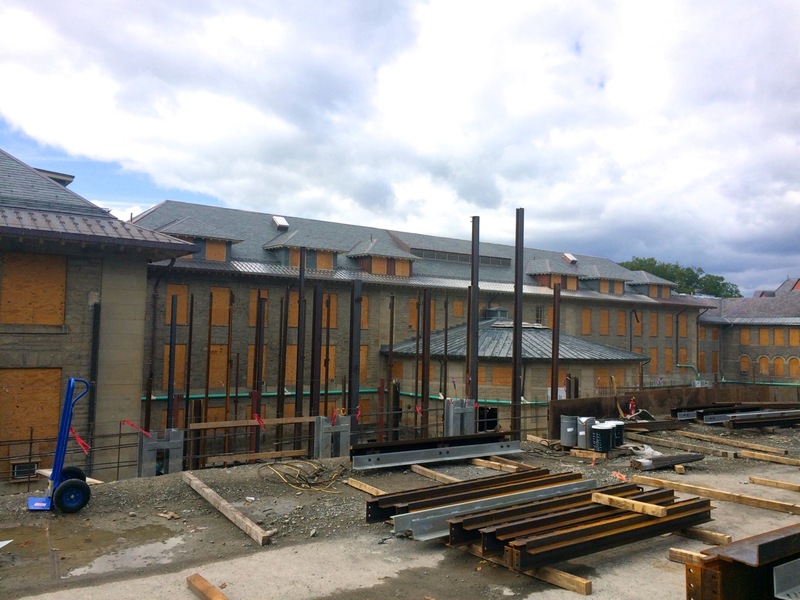 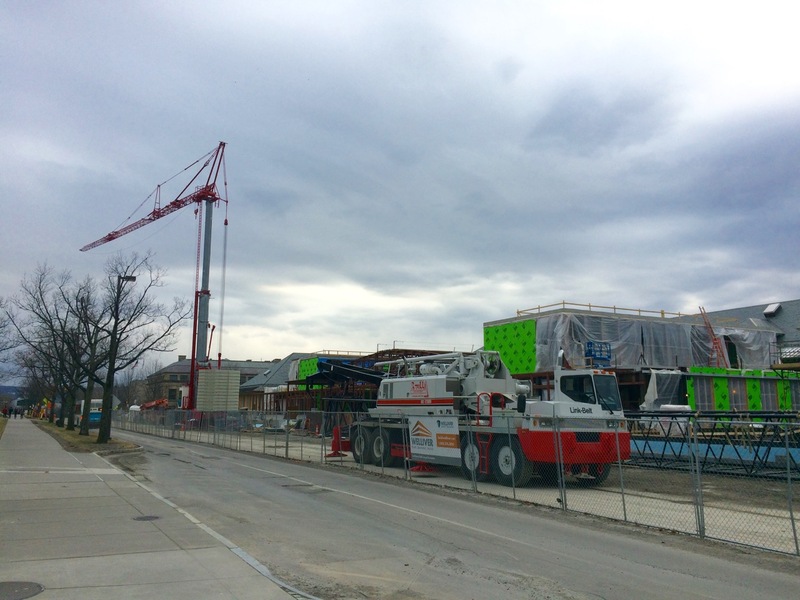 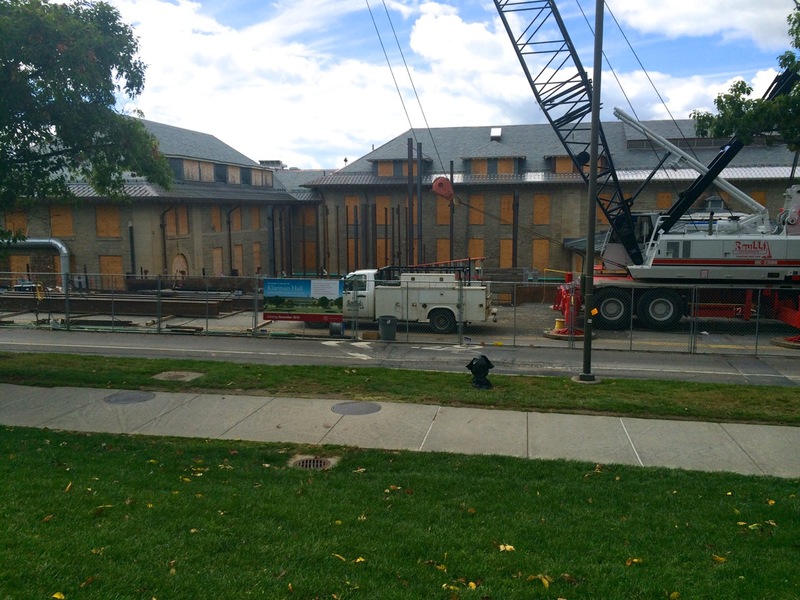 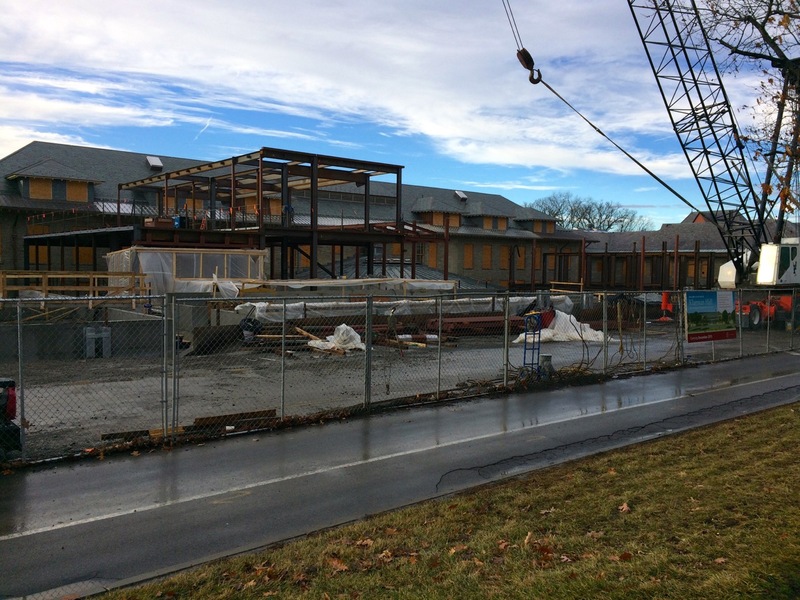 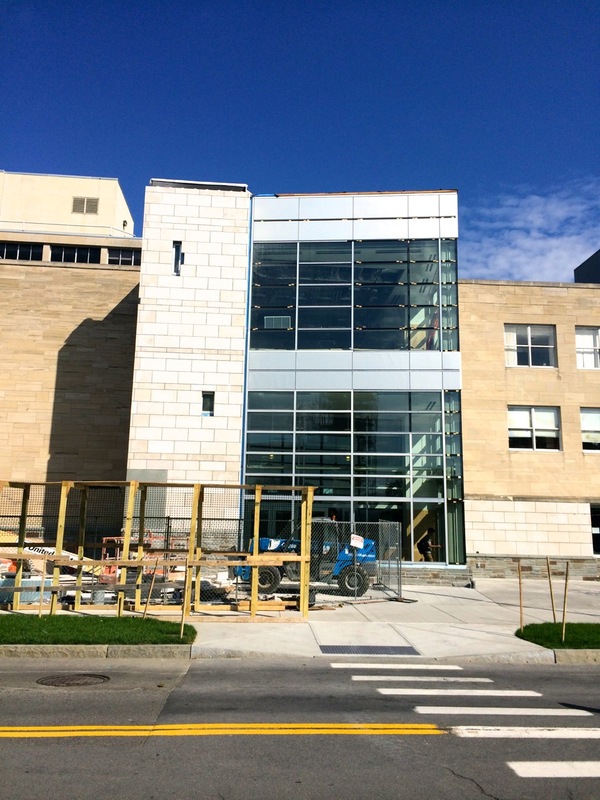 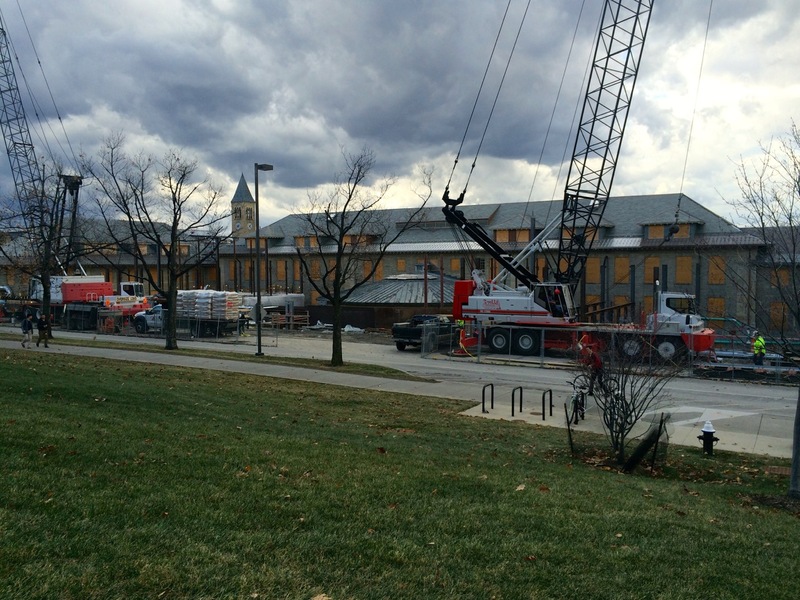 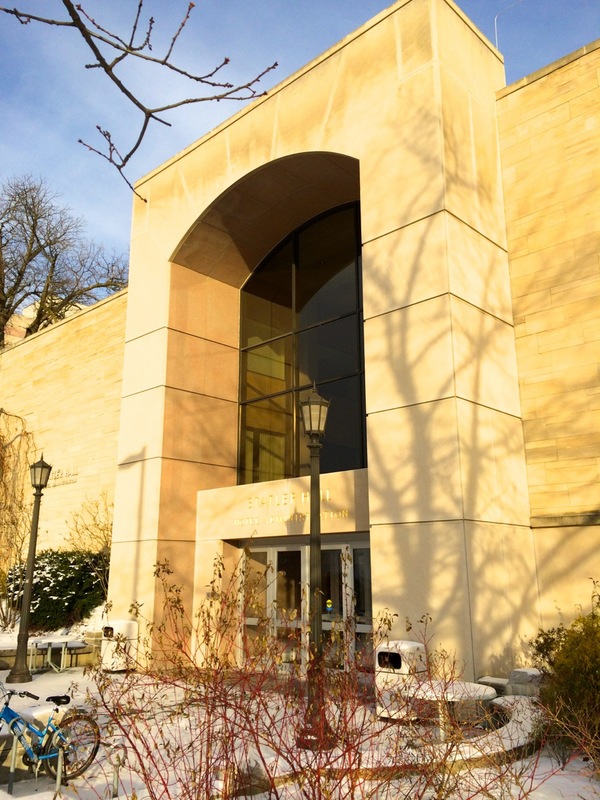 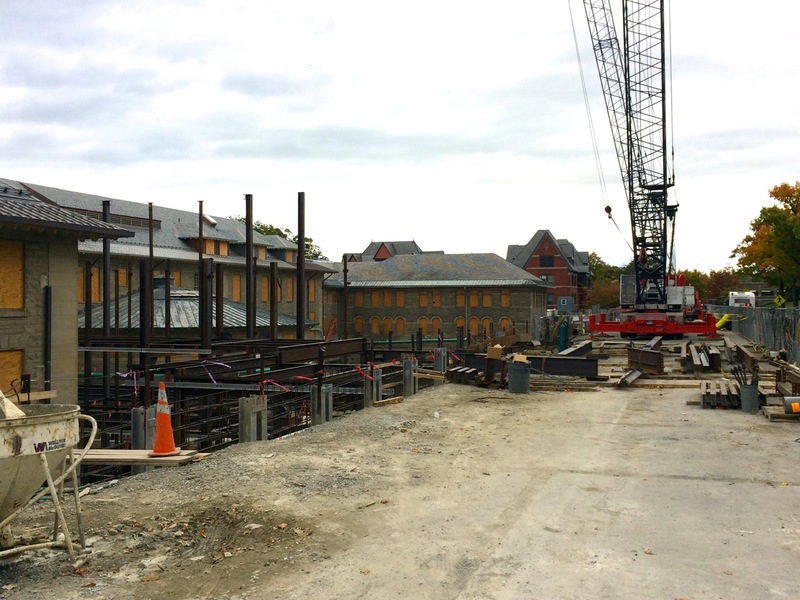 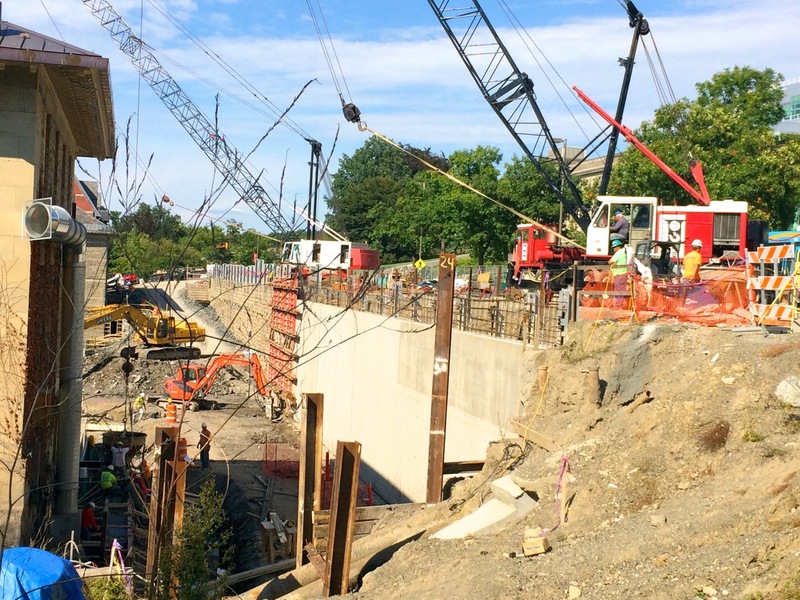 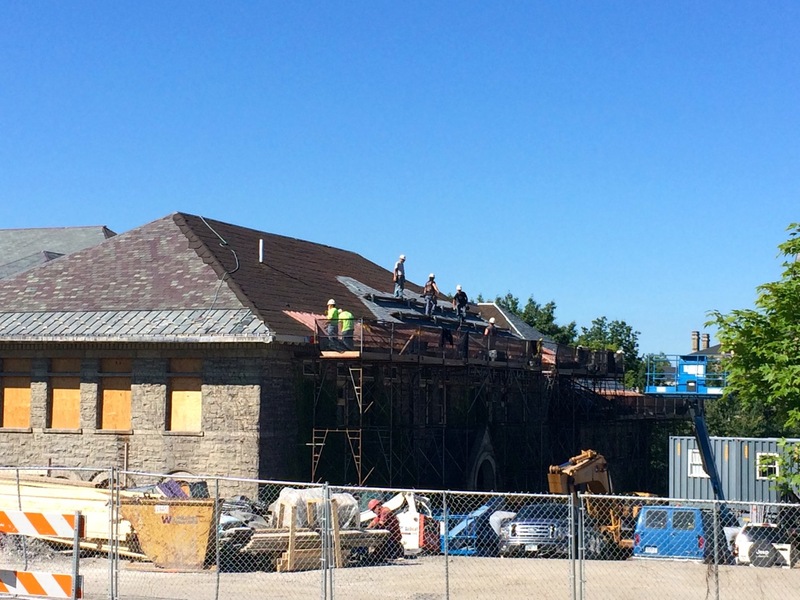 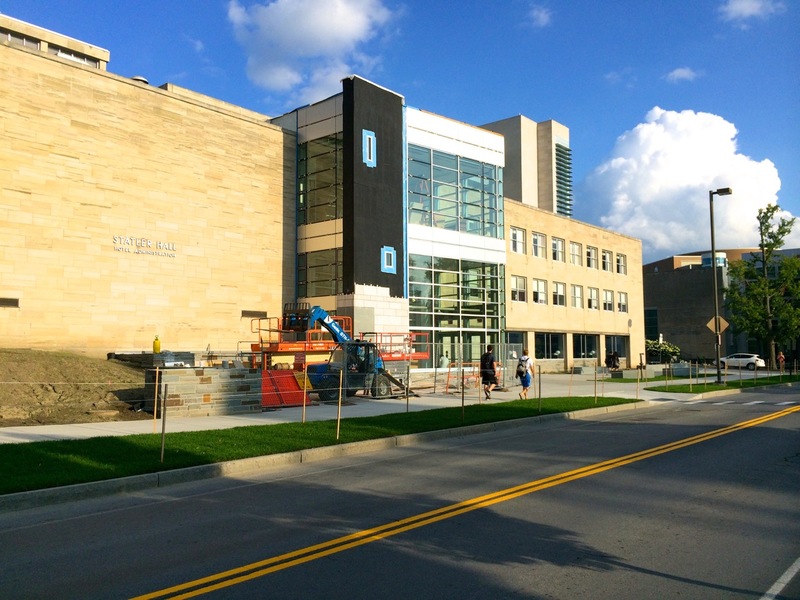 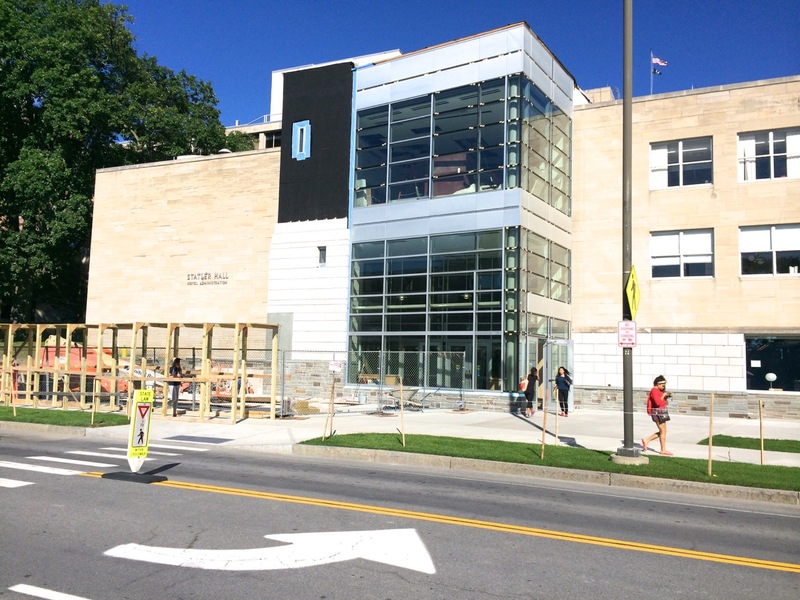 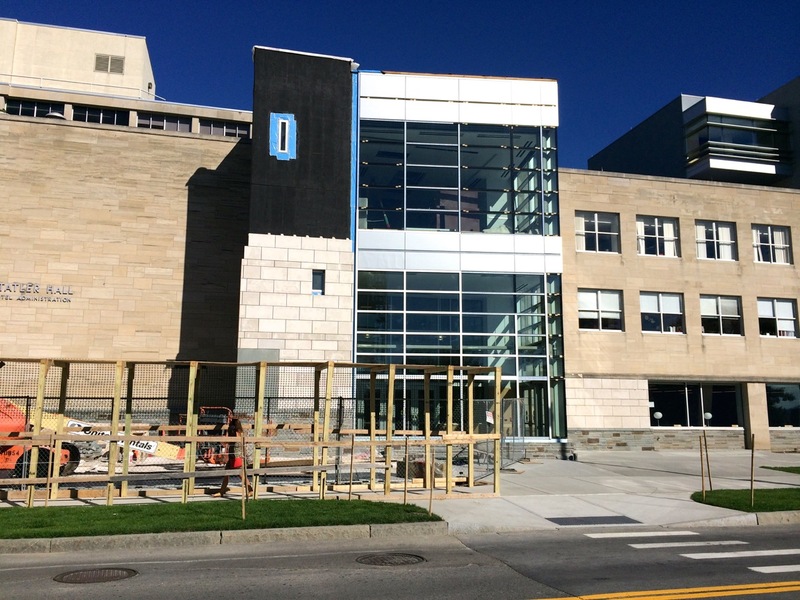 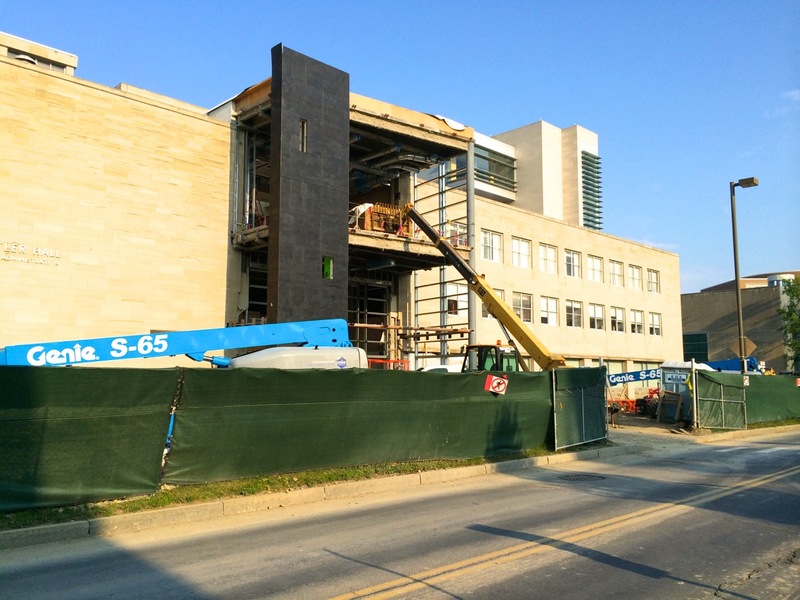 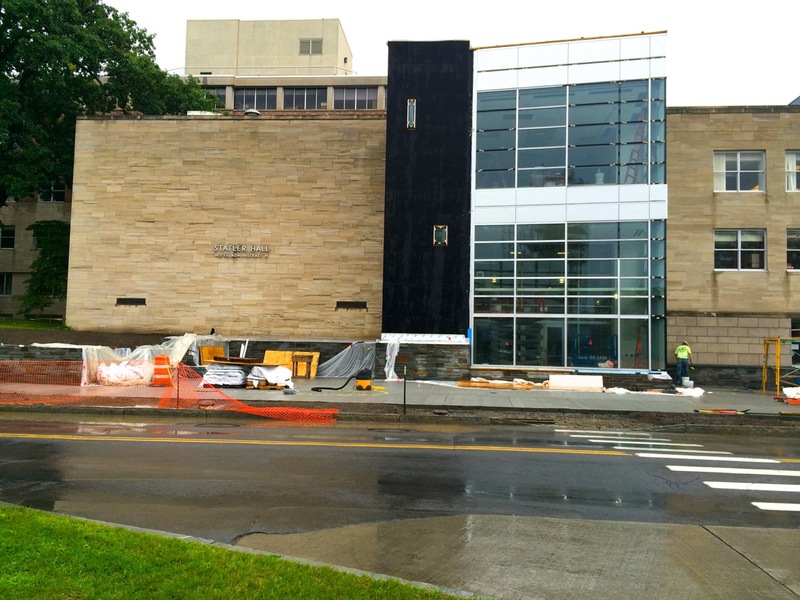 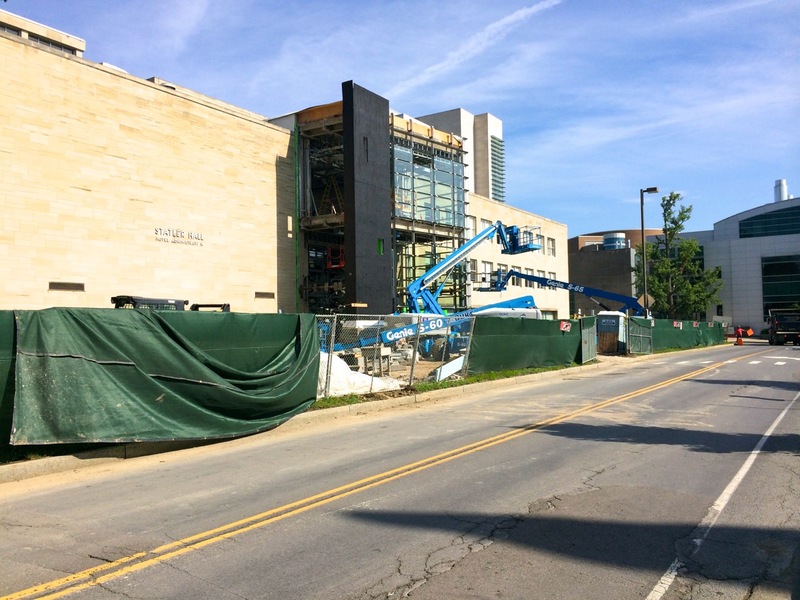 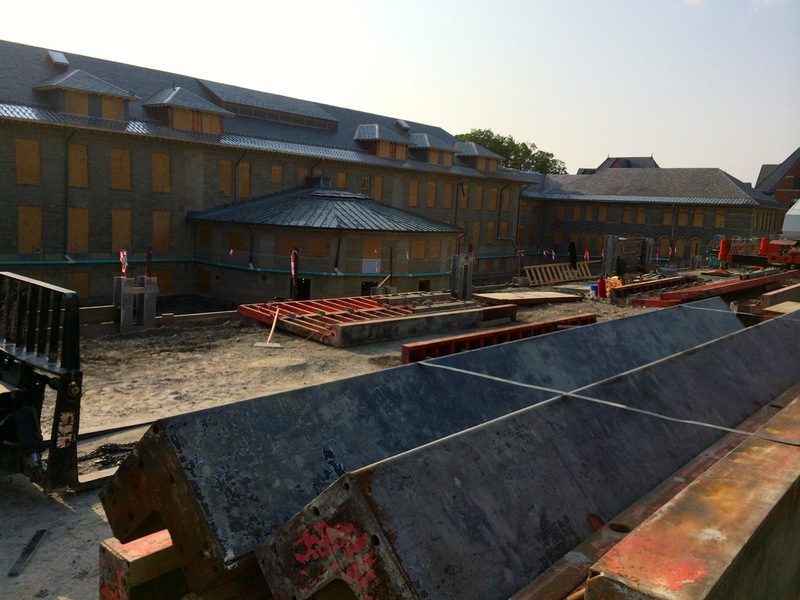 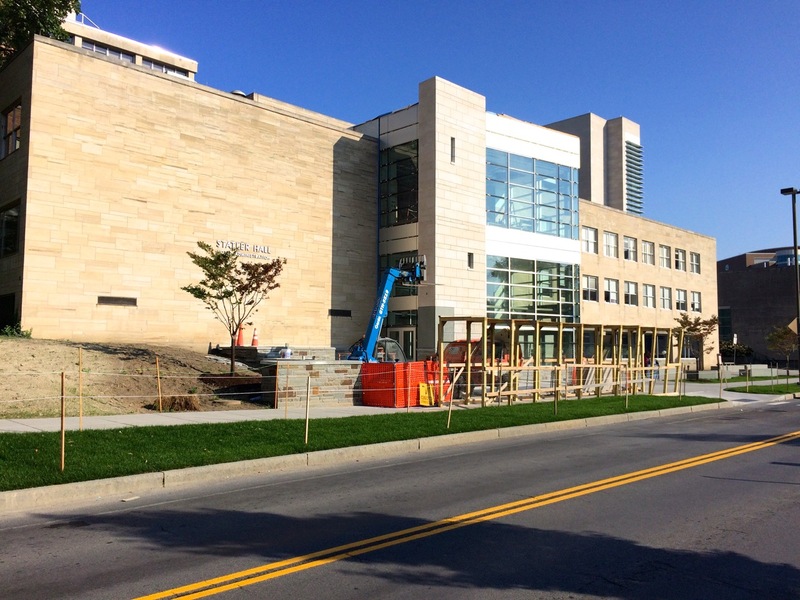 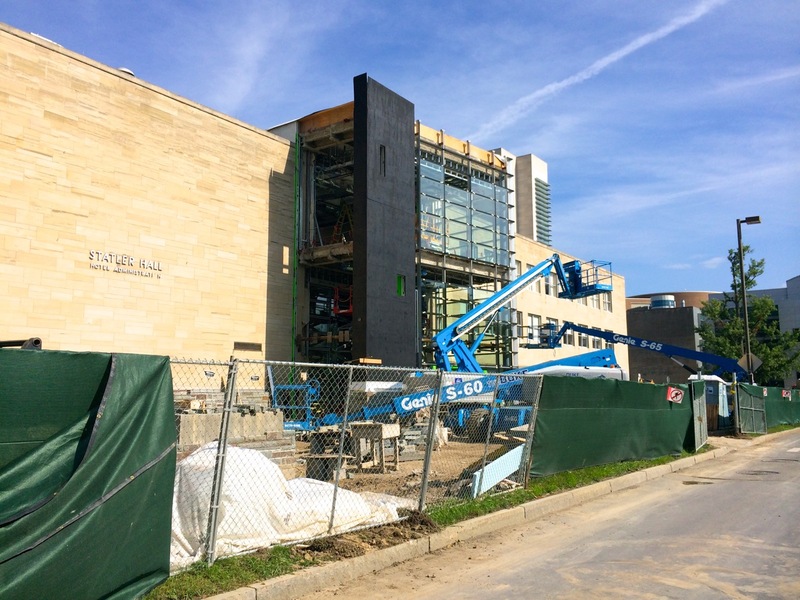 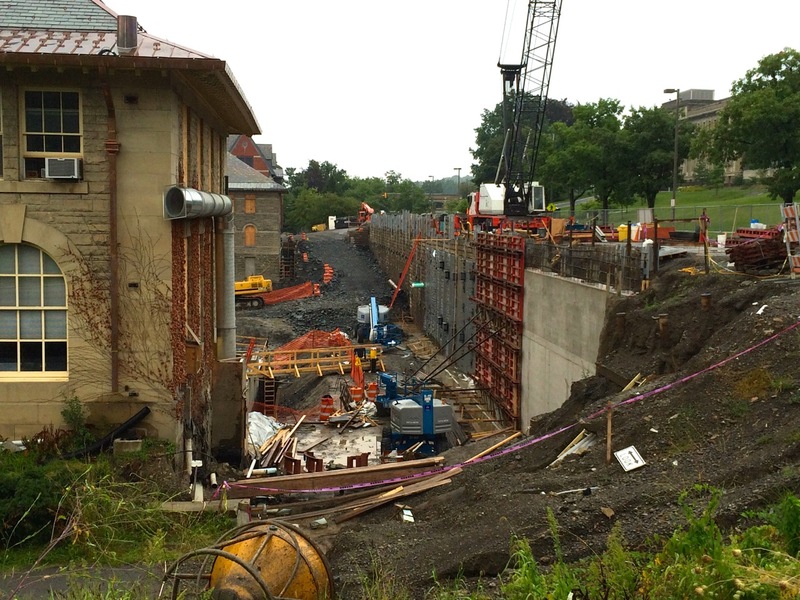 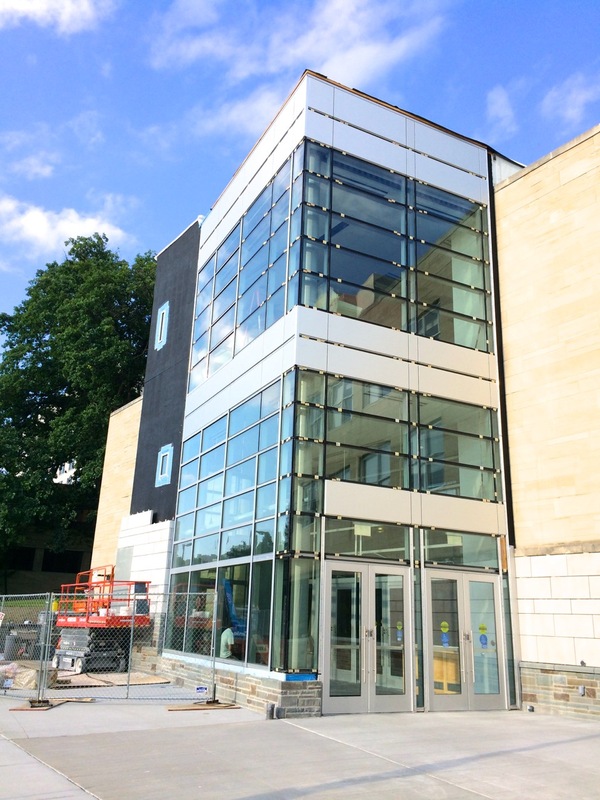 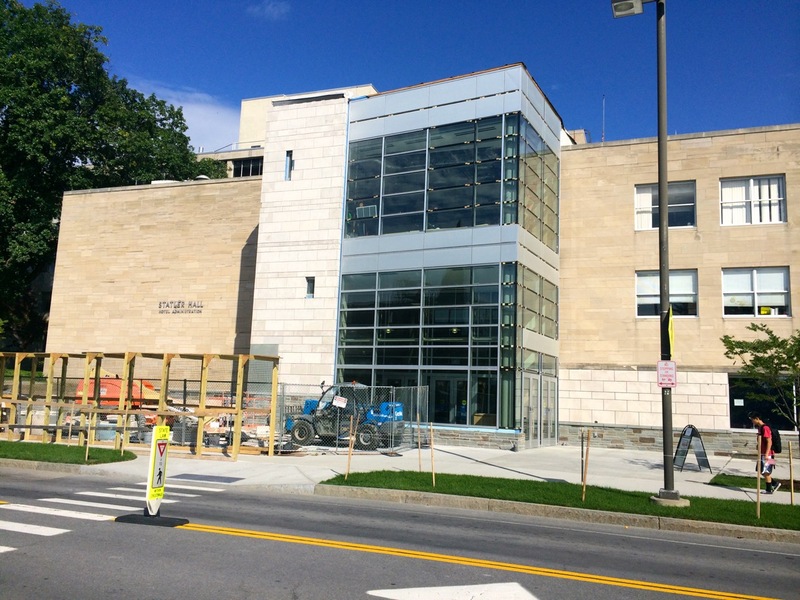 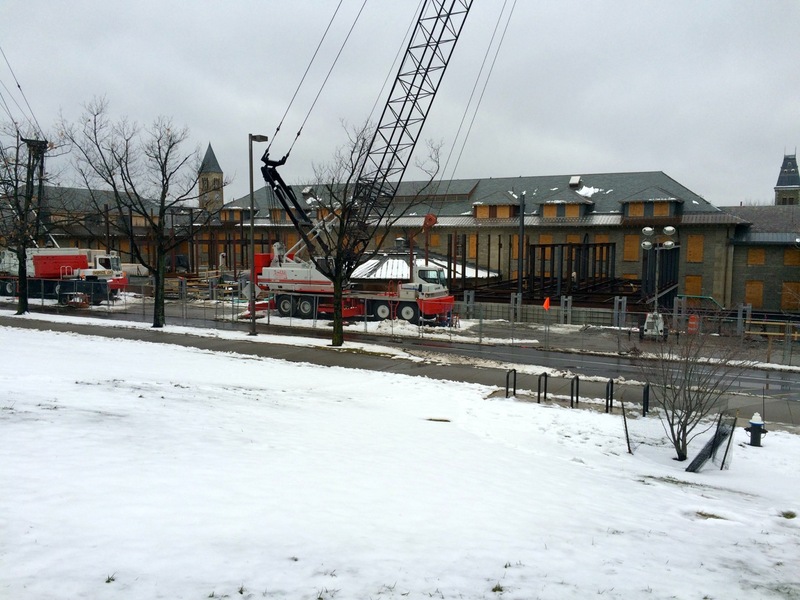 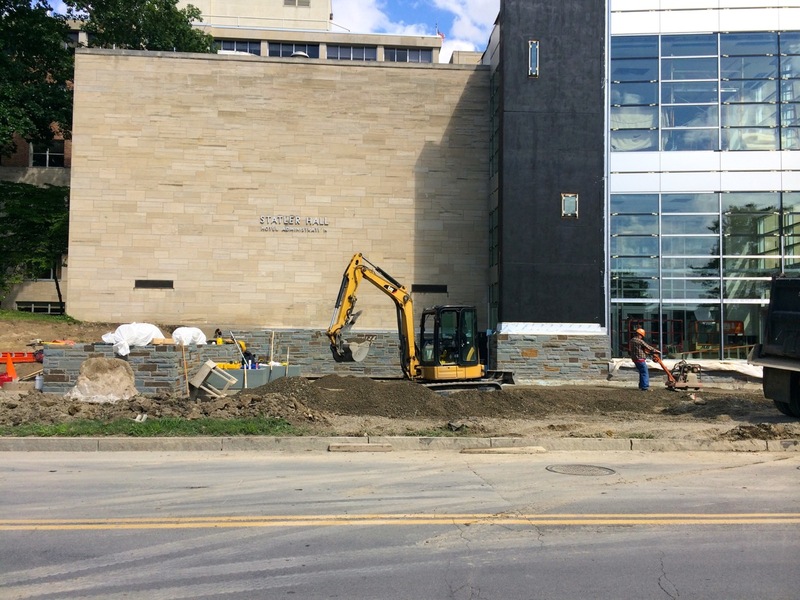 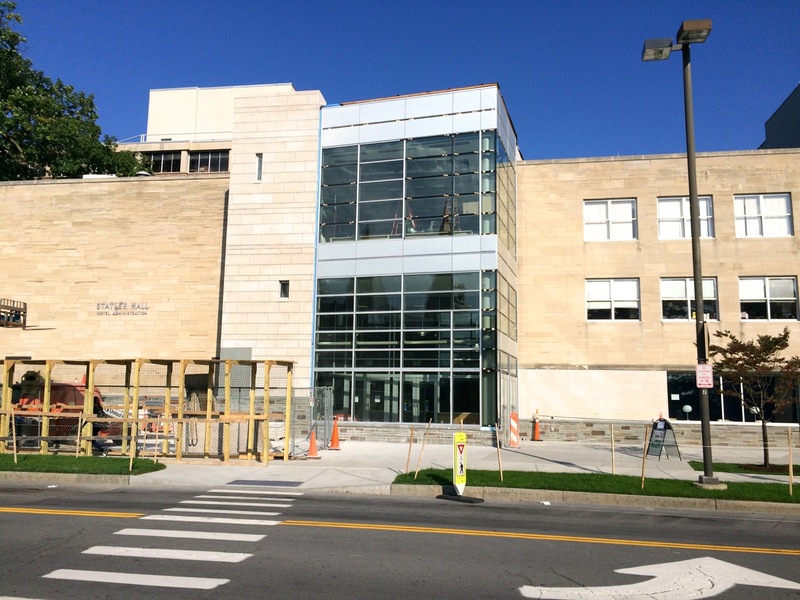 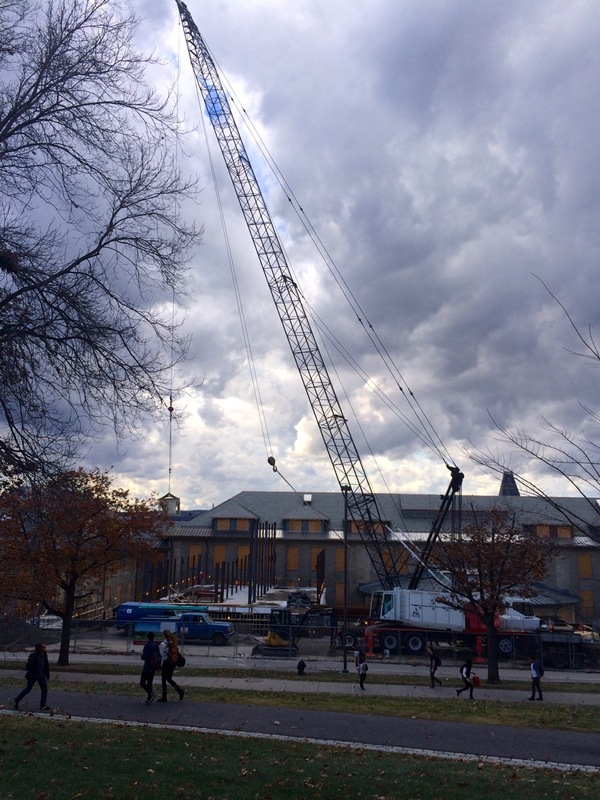 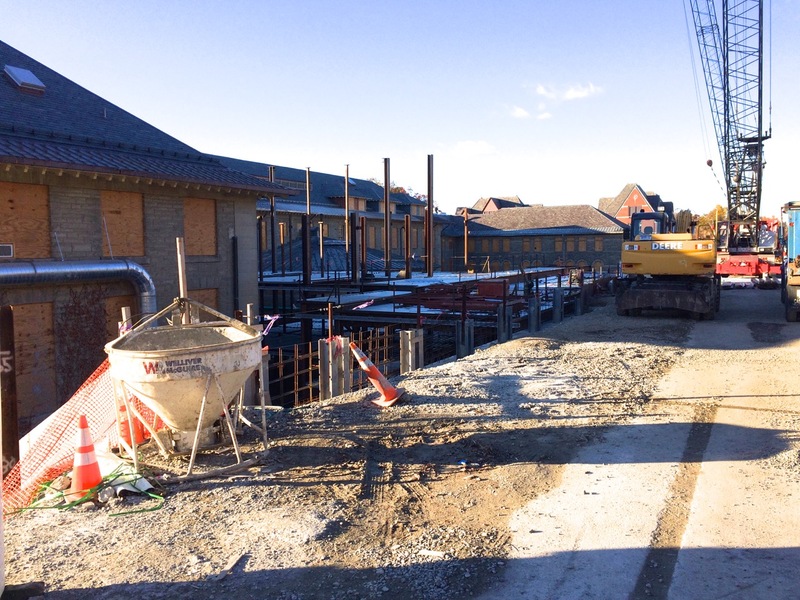 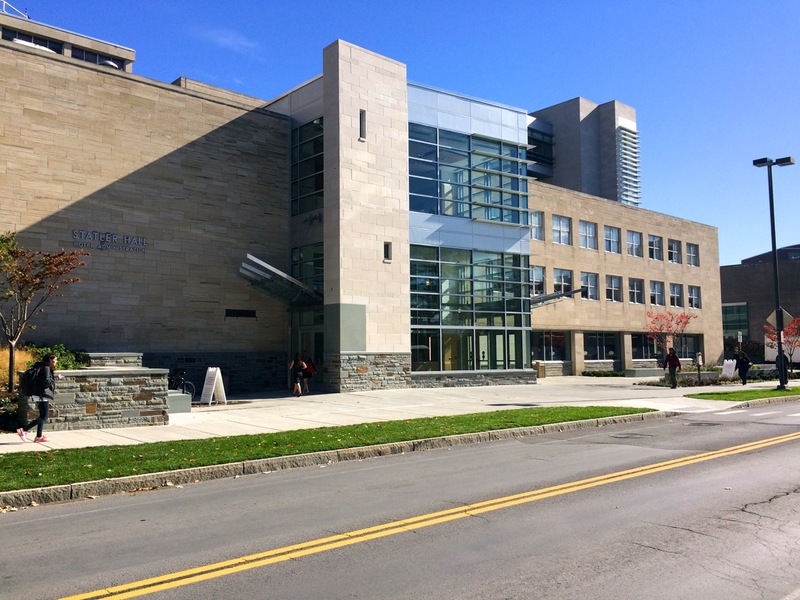 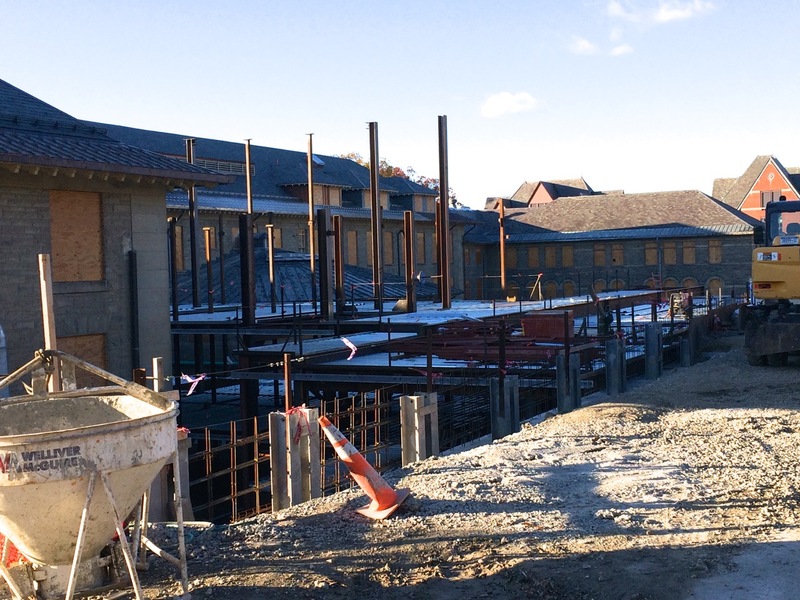 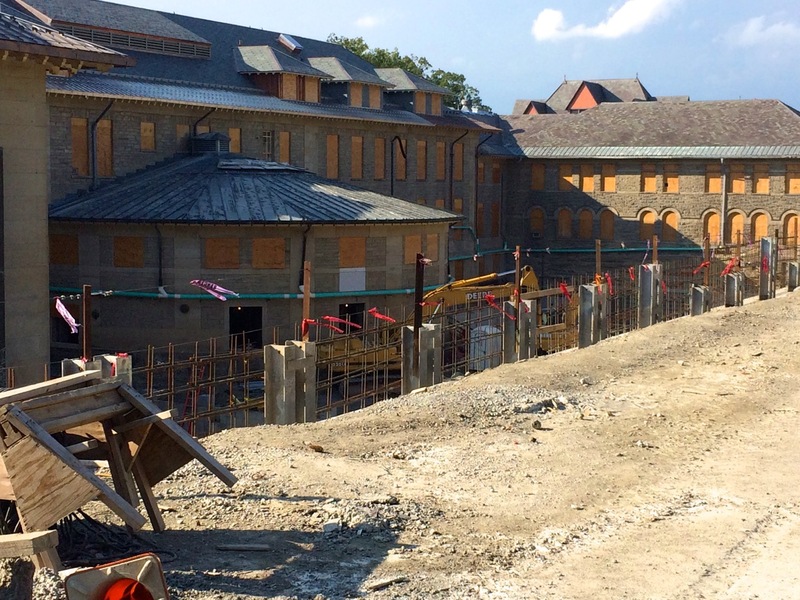 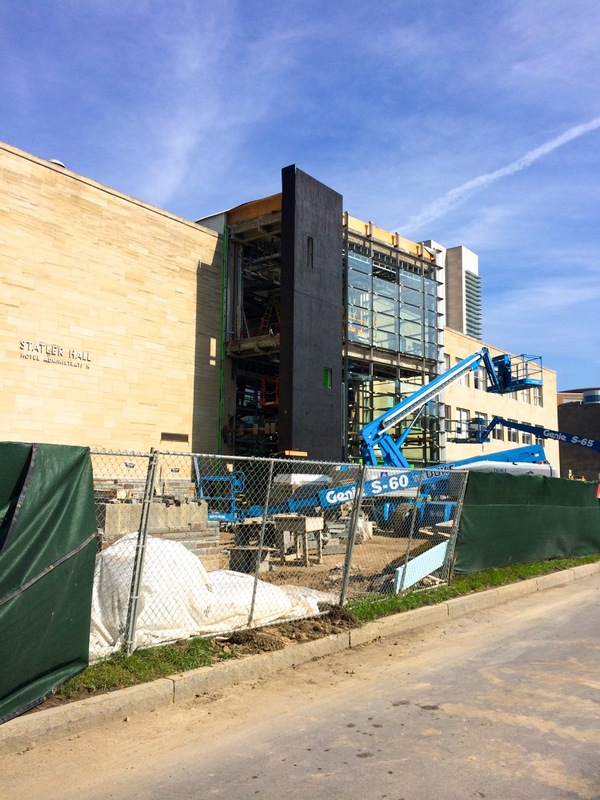 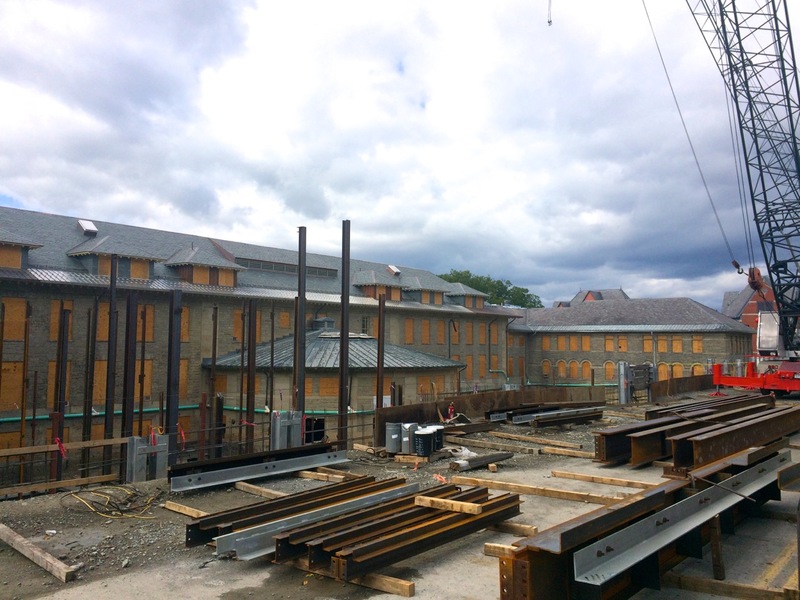 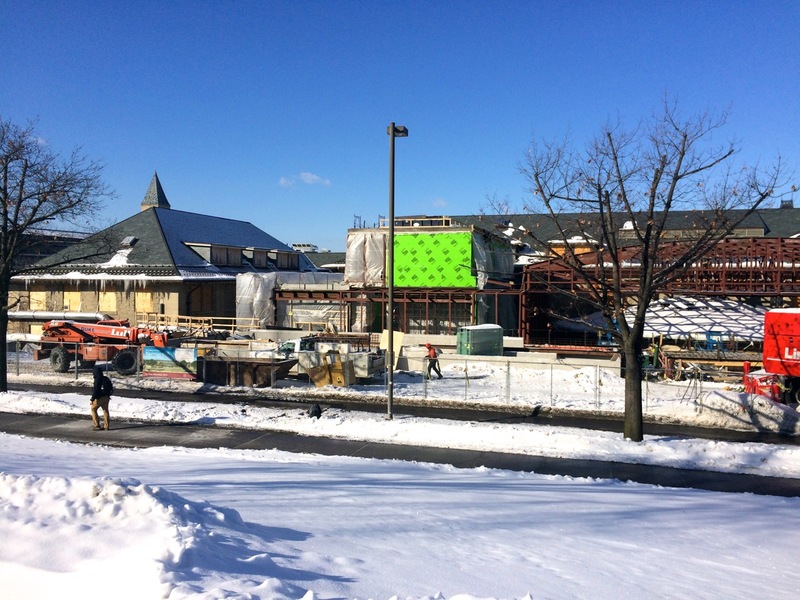 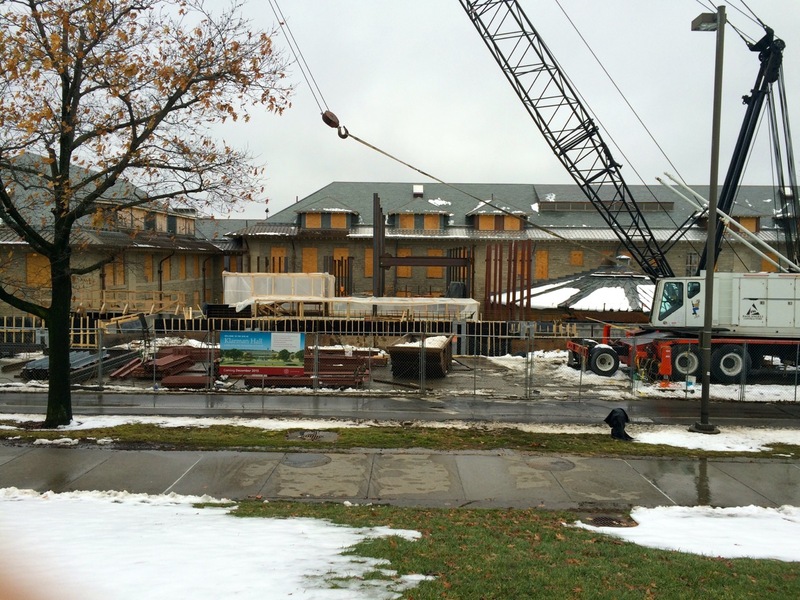 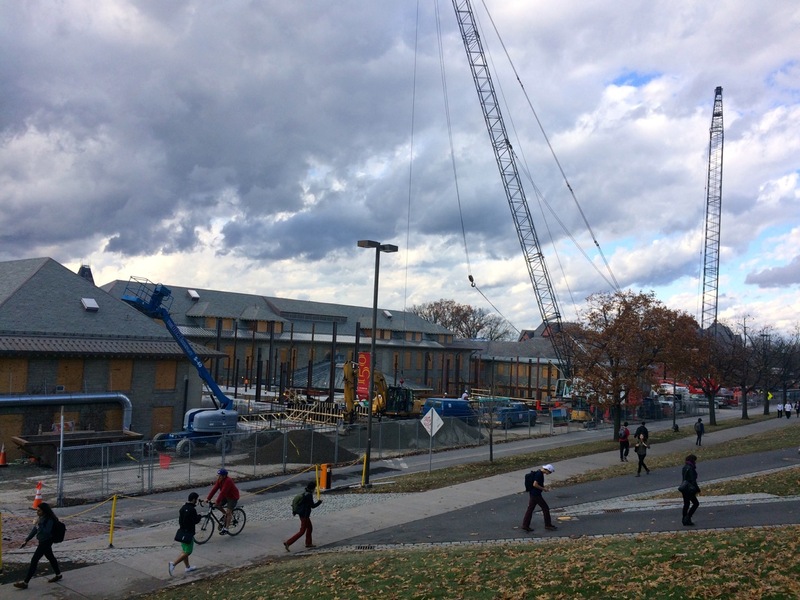 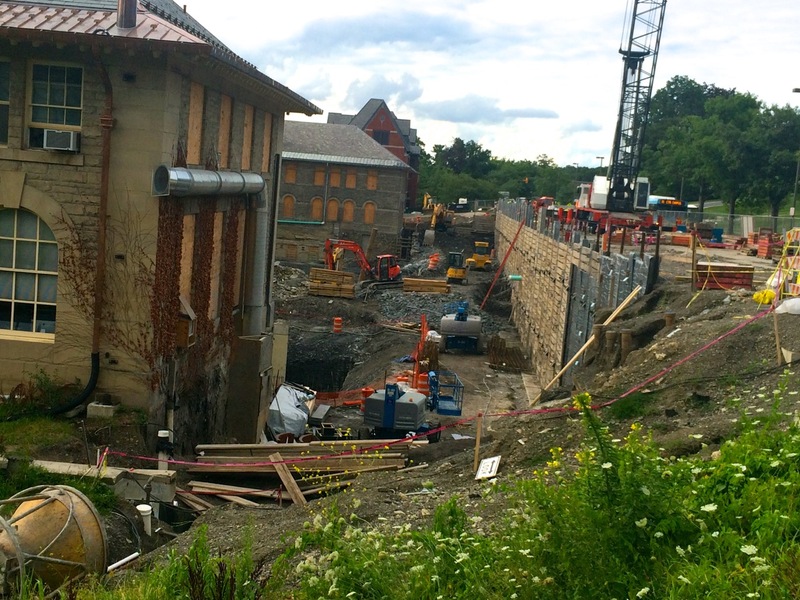 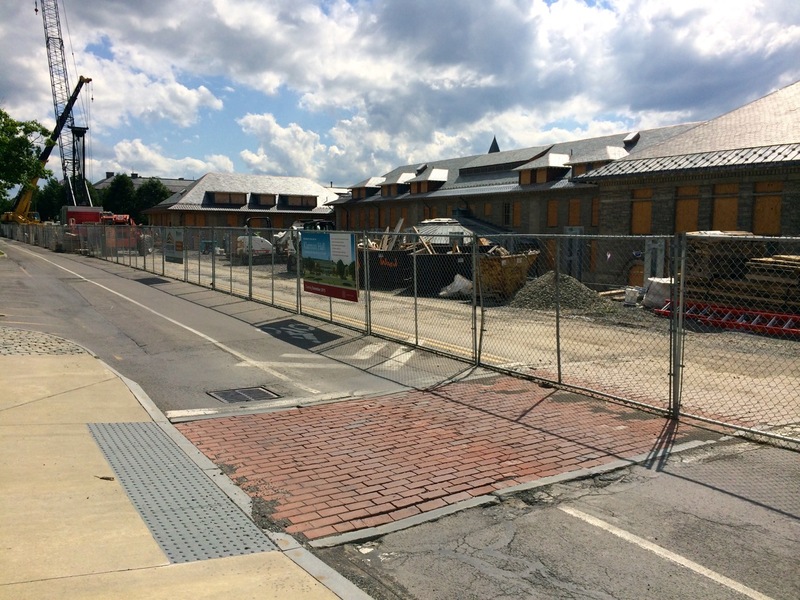 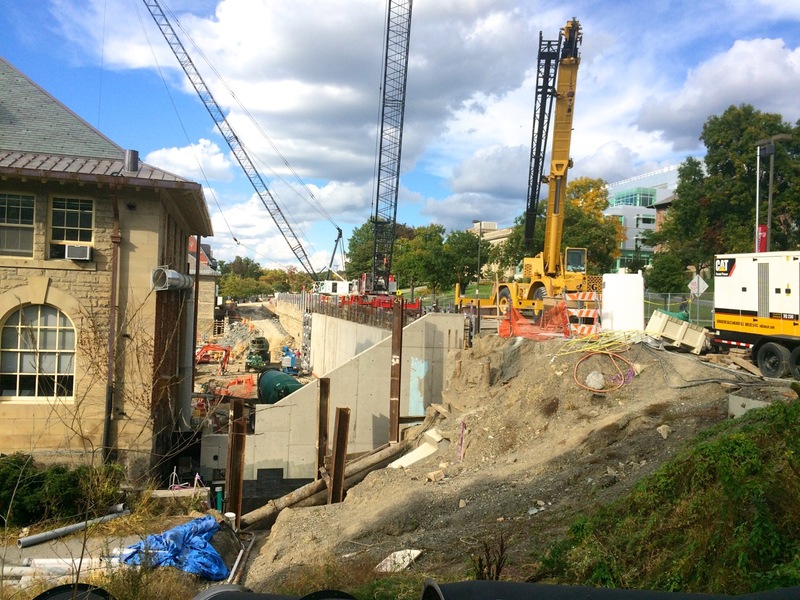 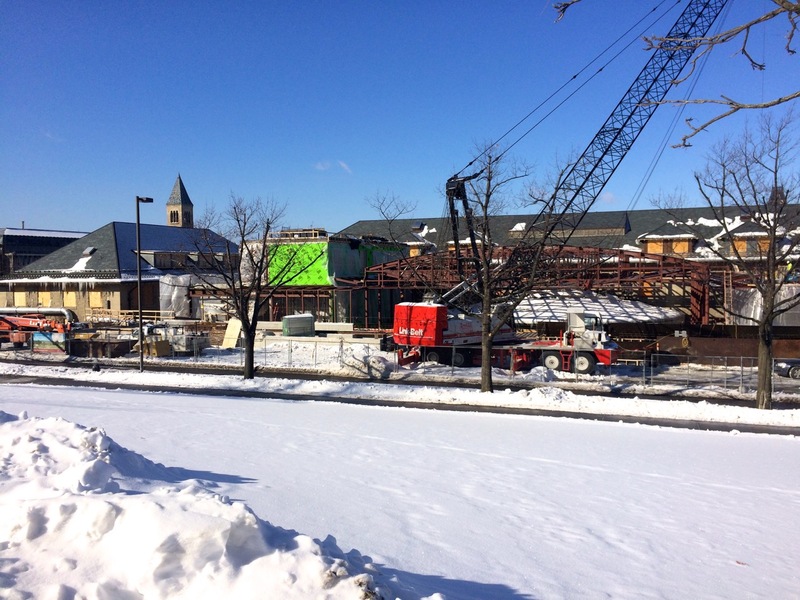 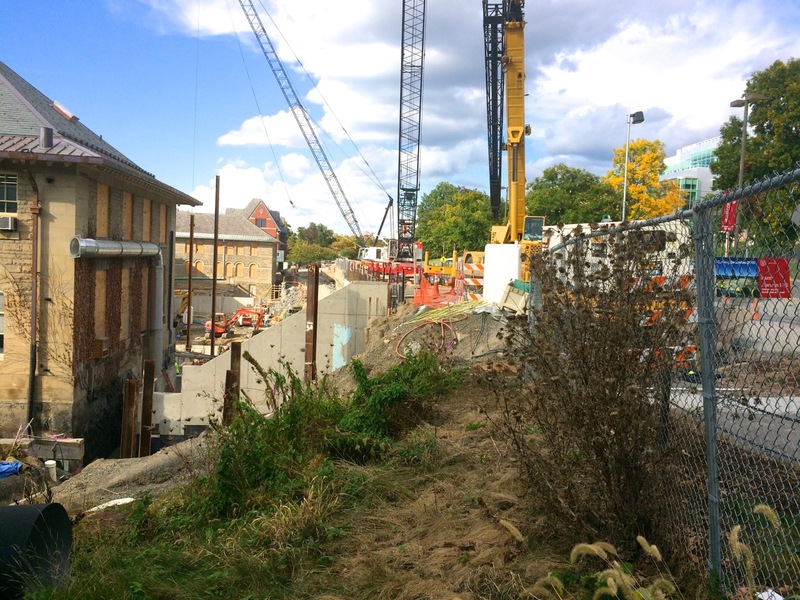 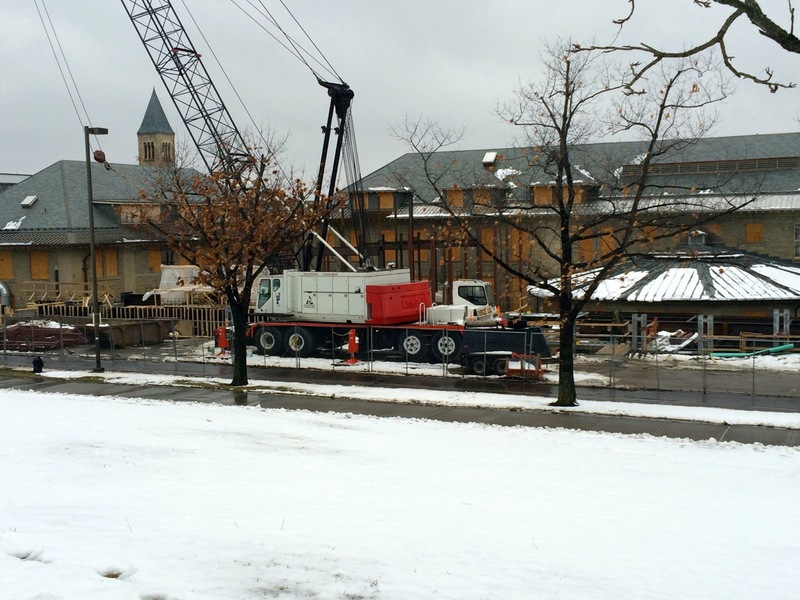 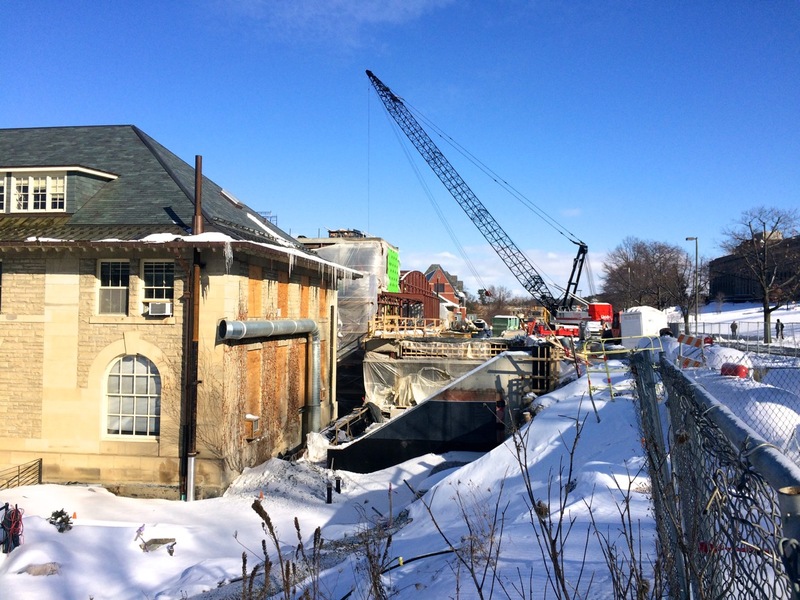 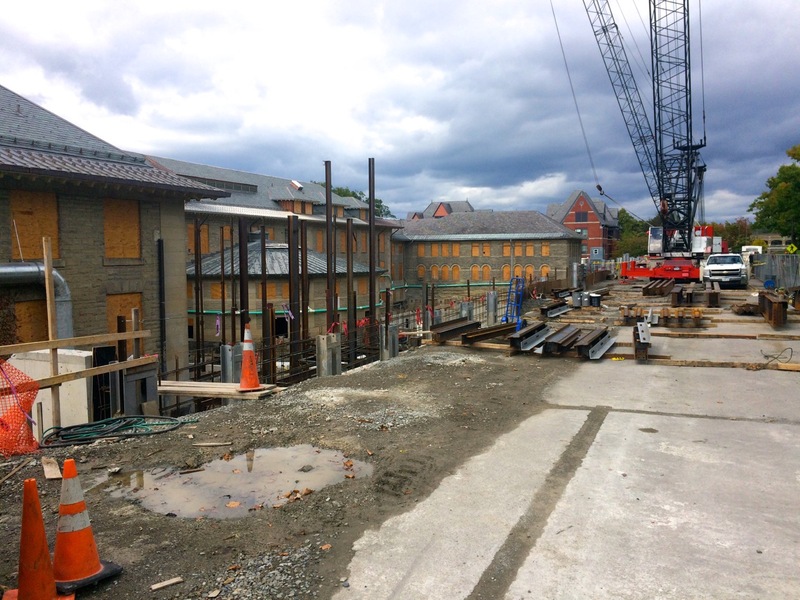 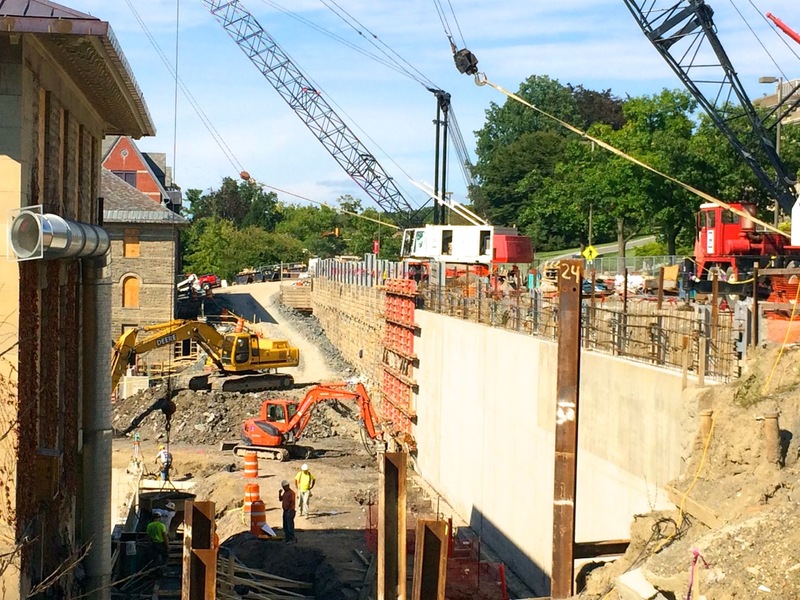 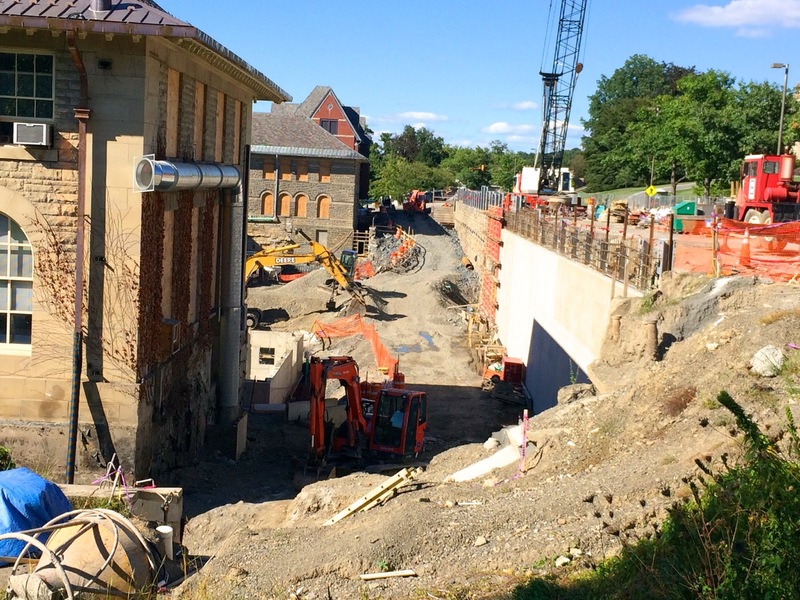 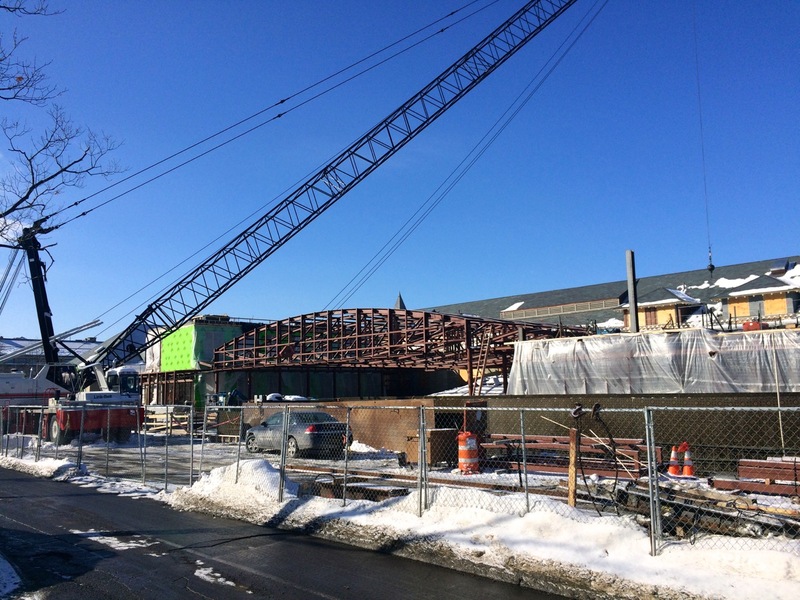 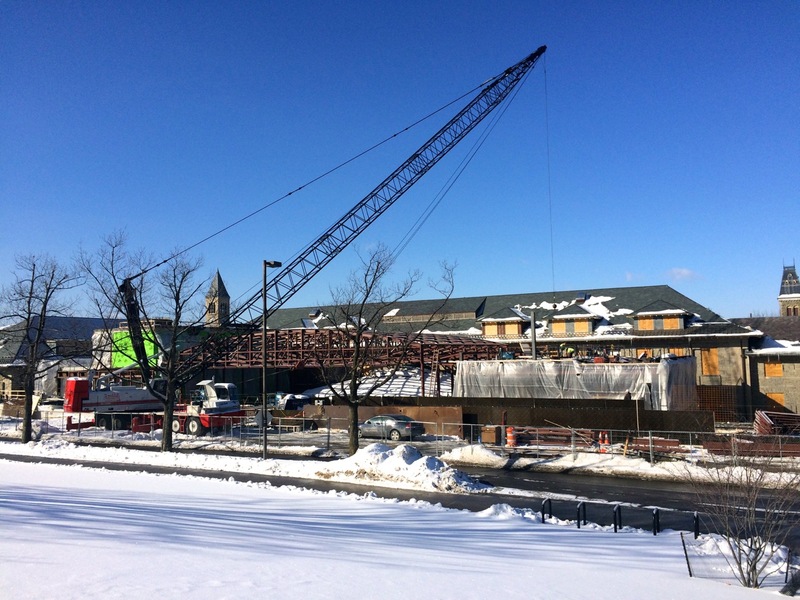 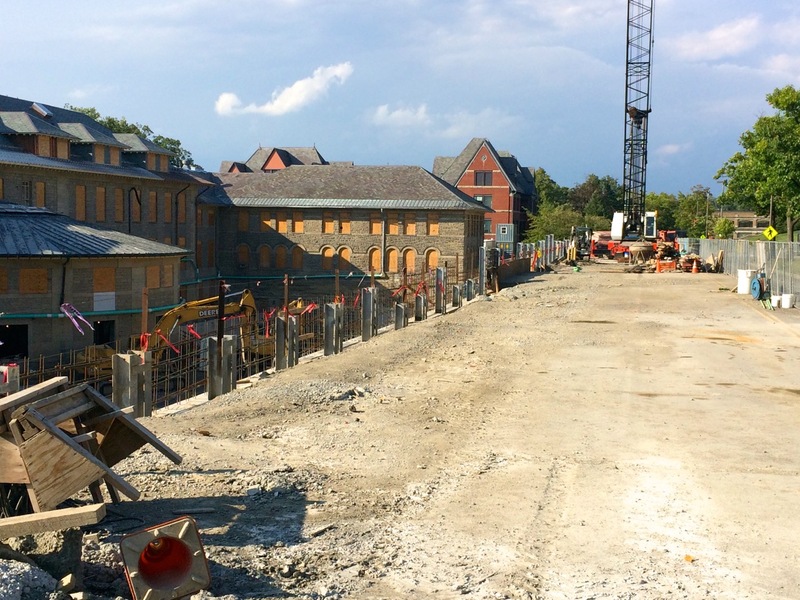 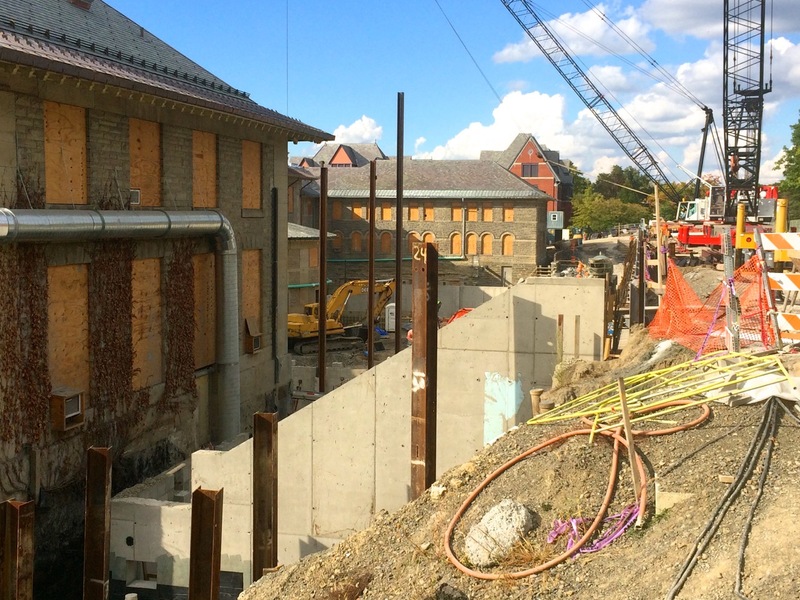 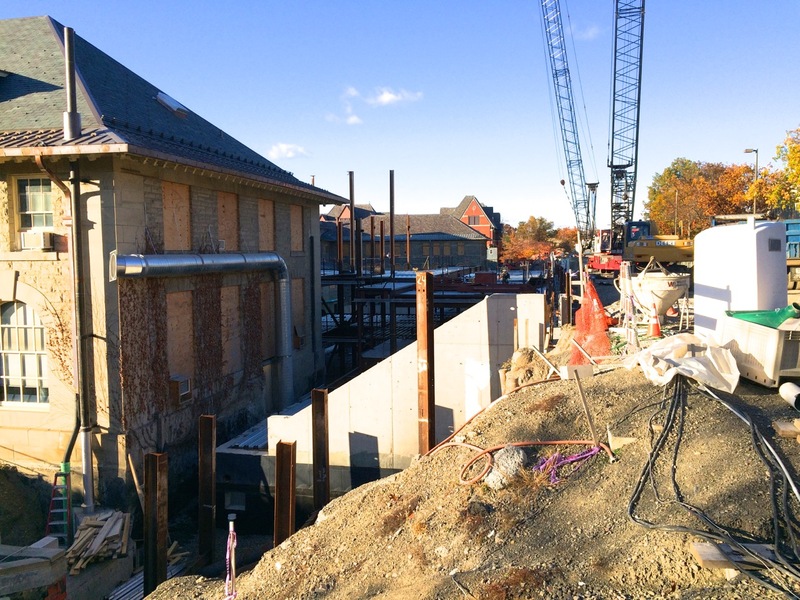 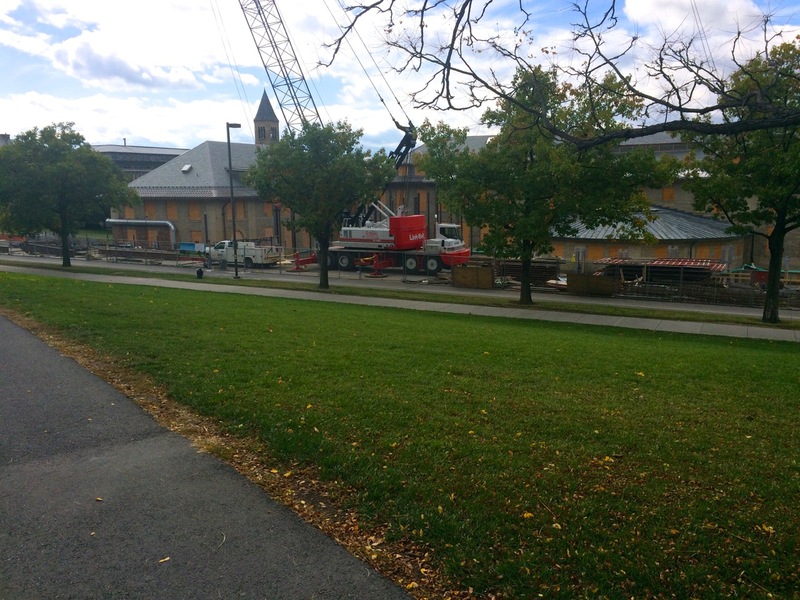 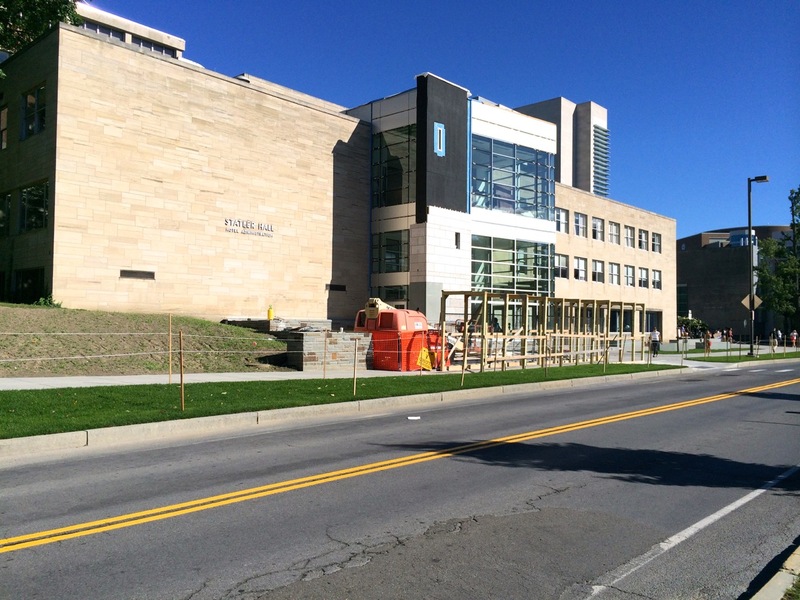 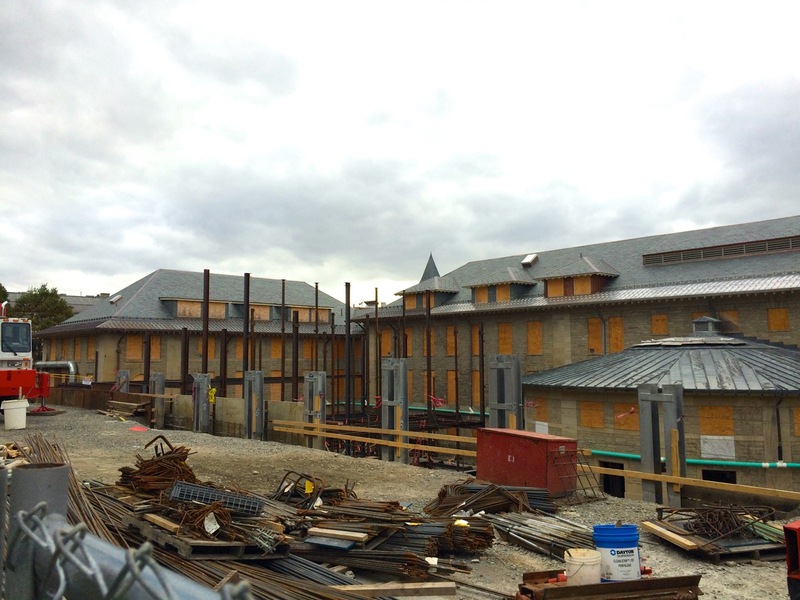 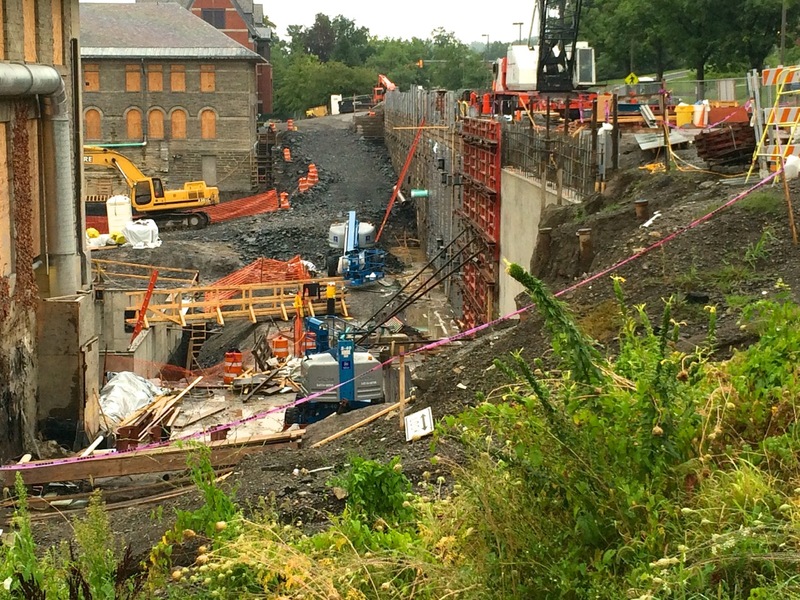 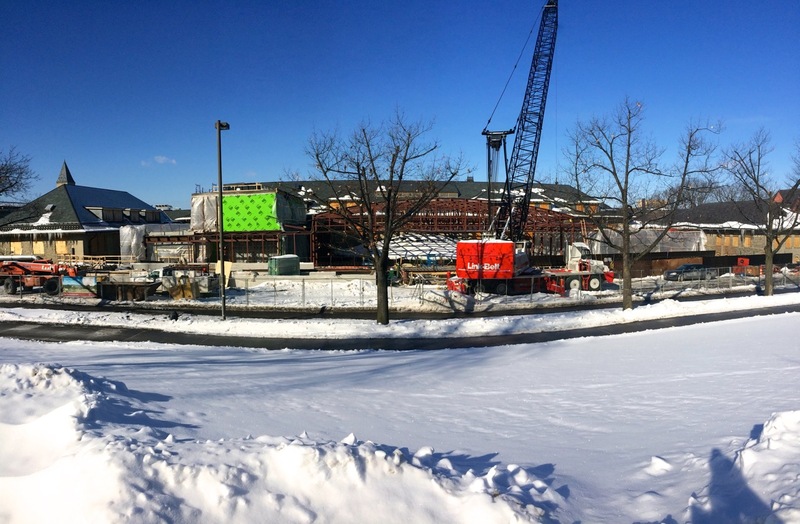 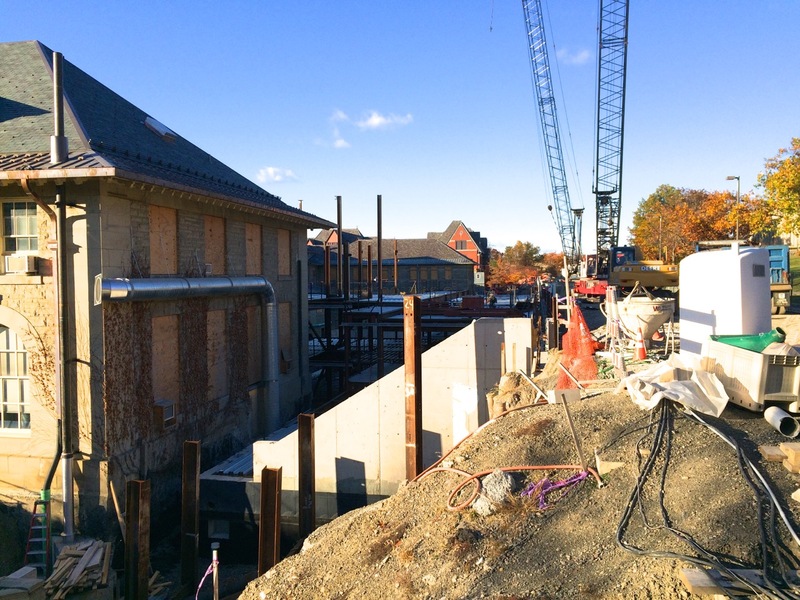 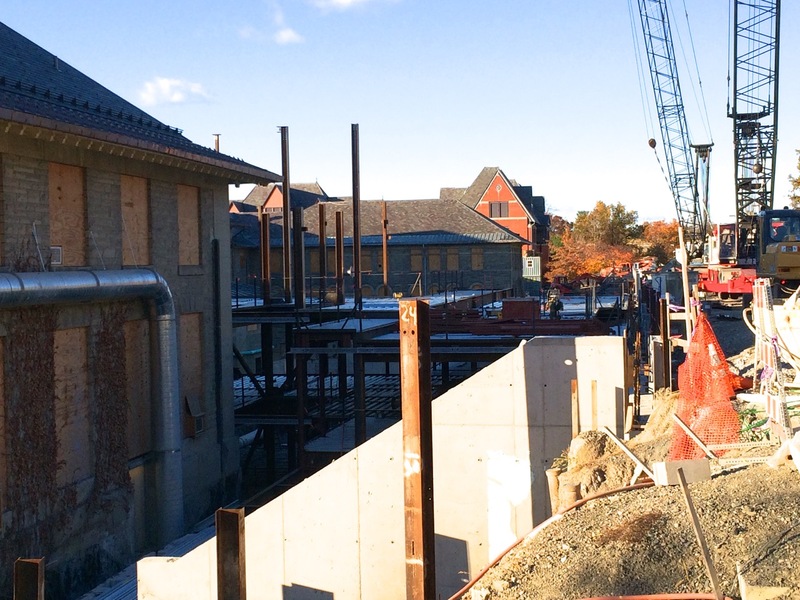 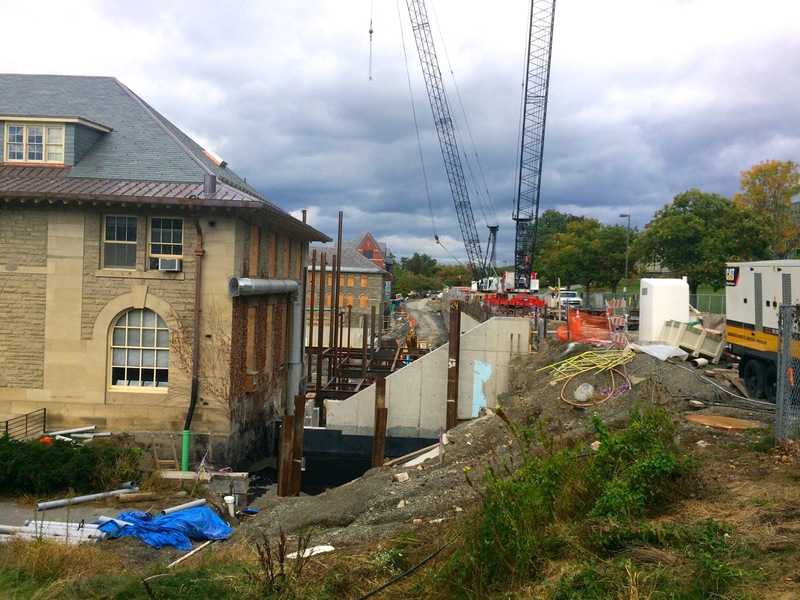 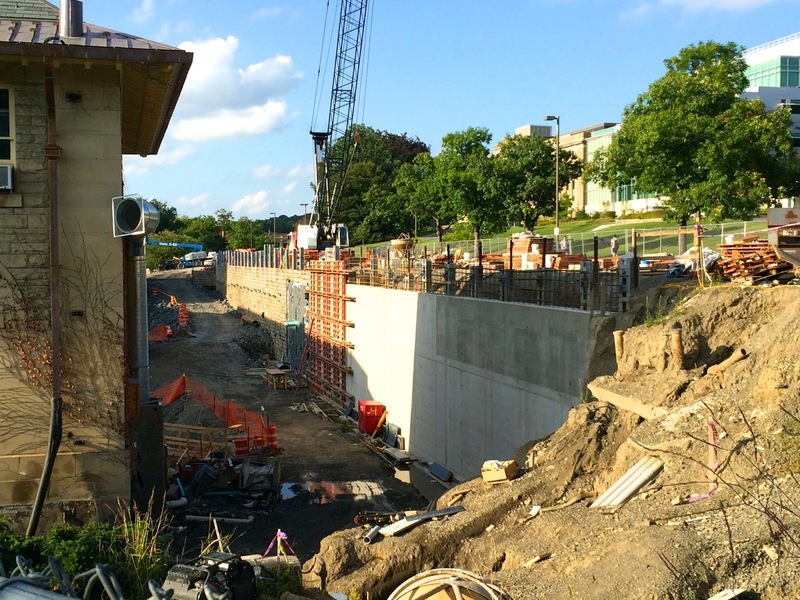 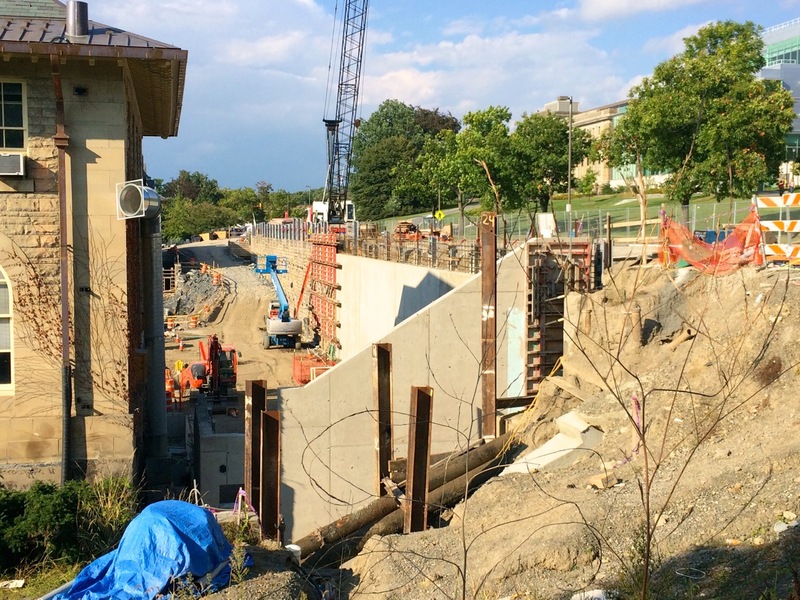 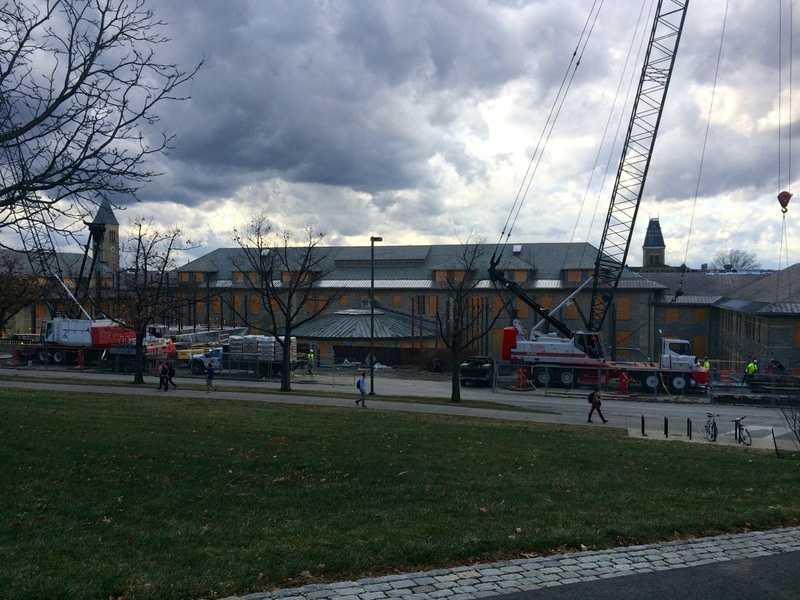 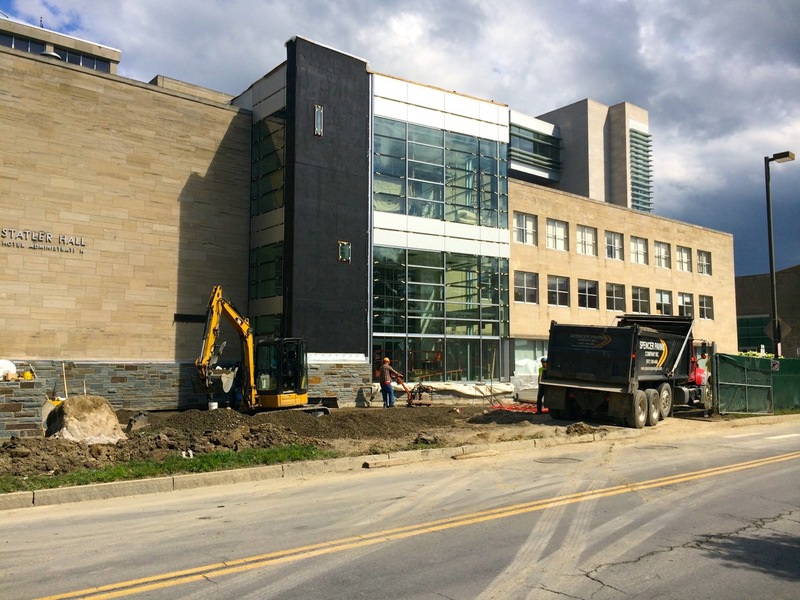 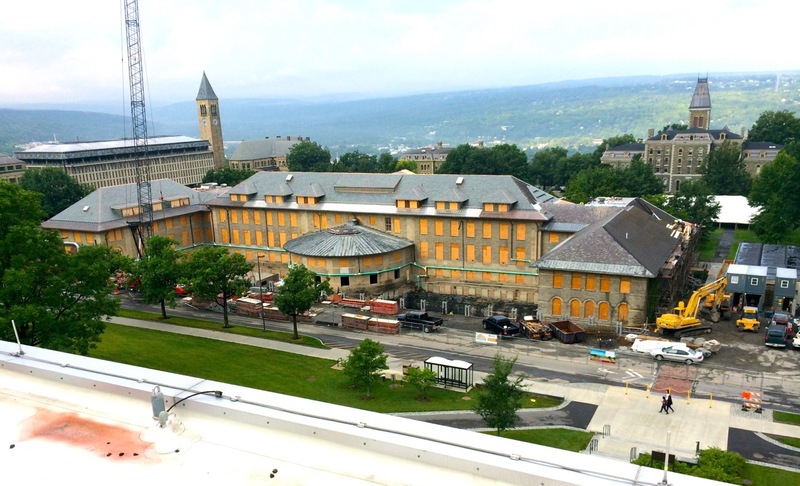 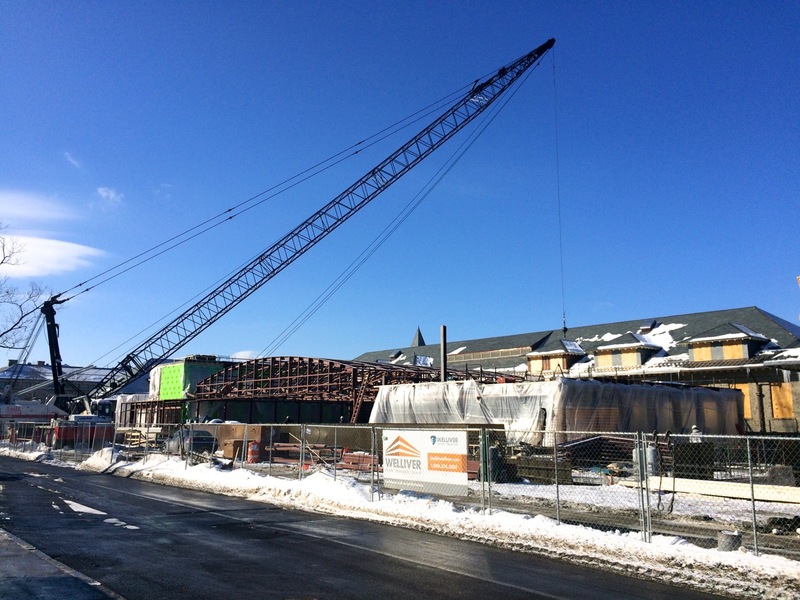 Cornell’s $2.4 million Statler Hall Entry Renovation is wrapping-up, as work crews finished hanging glass on the curtain wall, all exterior framing, graded and poured cement walkway, stone walls, stone base facade, and metal facade panels this past week. 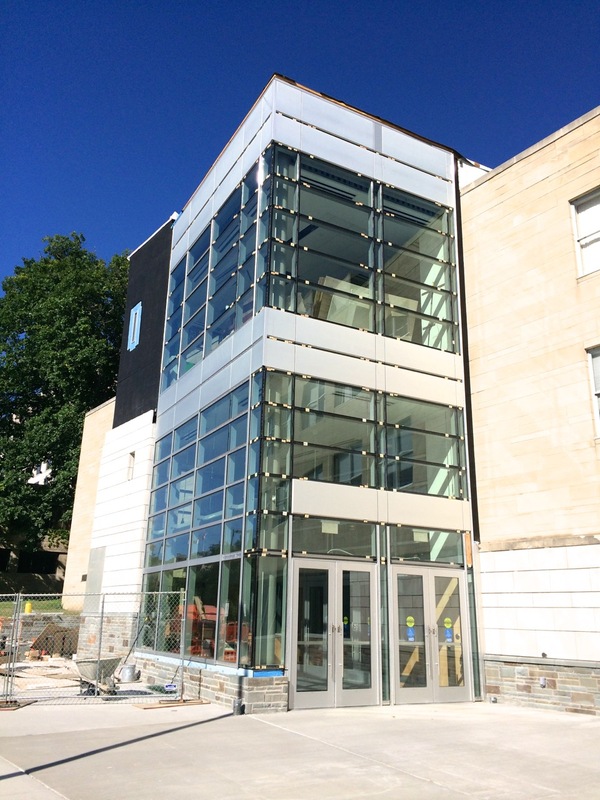 The new entry houses an expanded ground floor entry vestibule, additional second floor space, and significant mechanical and HVAC upgrades. 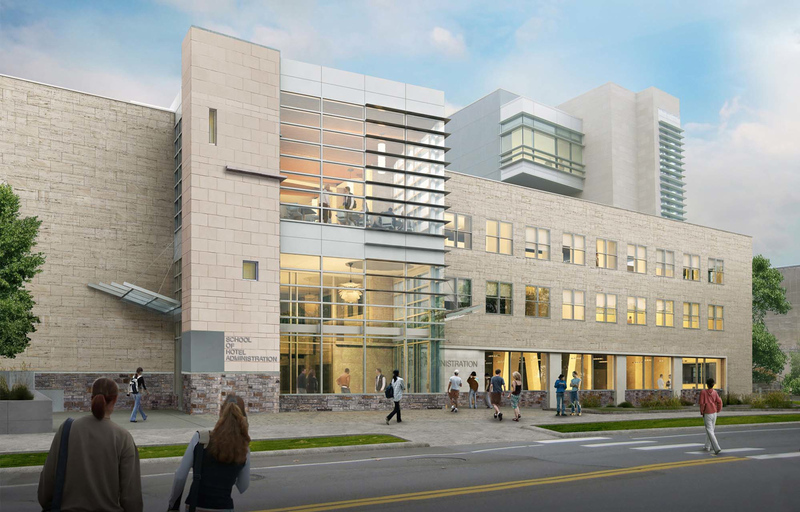 The design was done by KSS Architects, whom completed the designs for the previous Beck Center and Statler Auditorium and Tower Renovations. 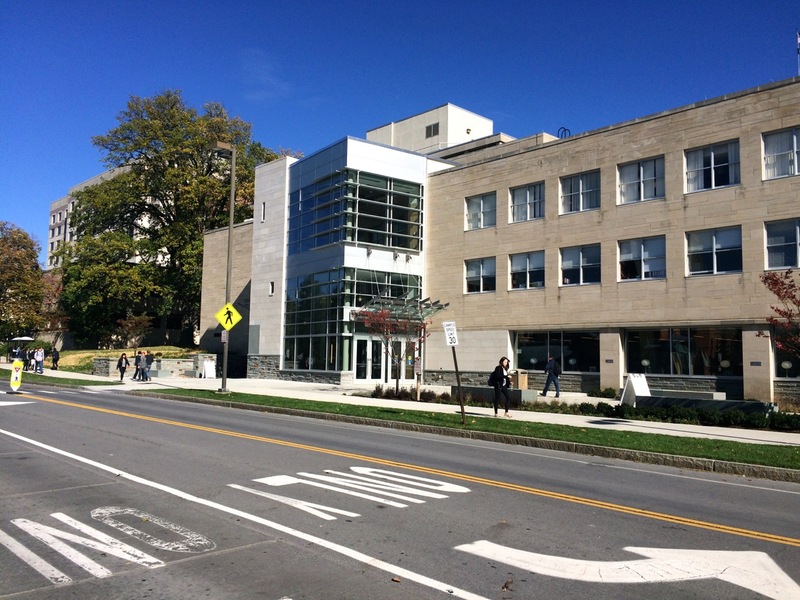 The original limestone-clad building was completed in 1949. 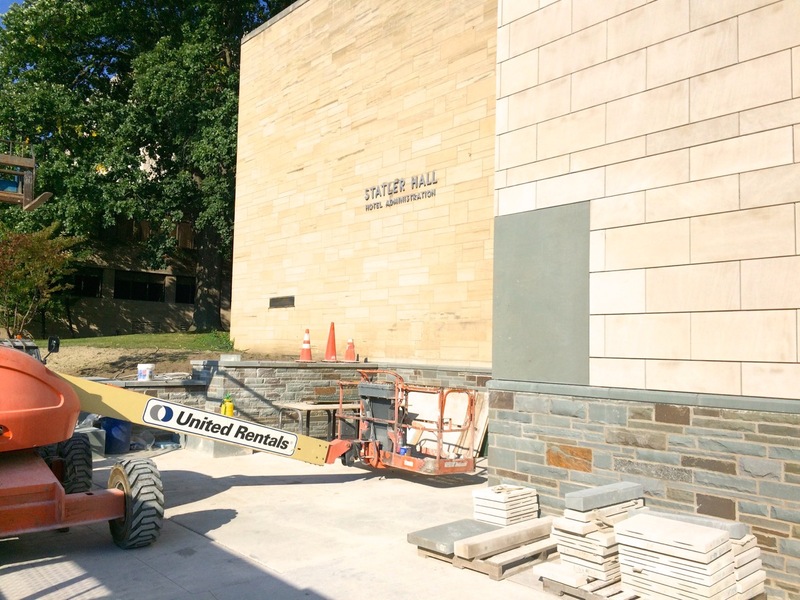 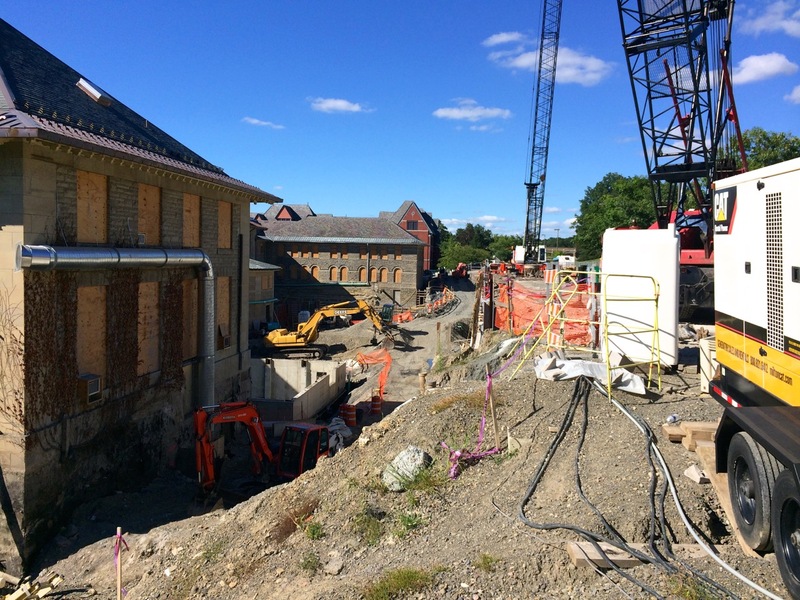 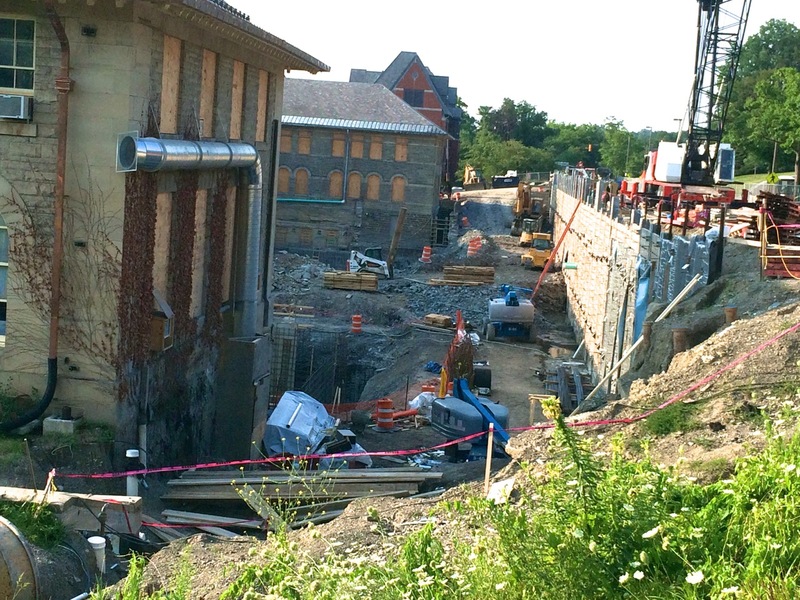 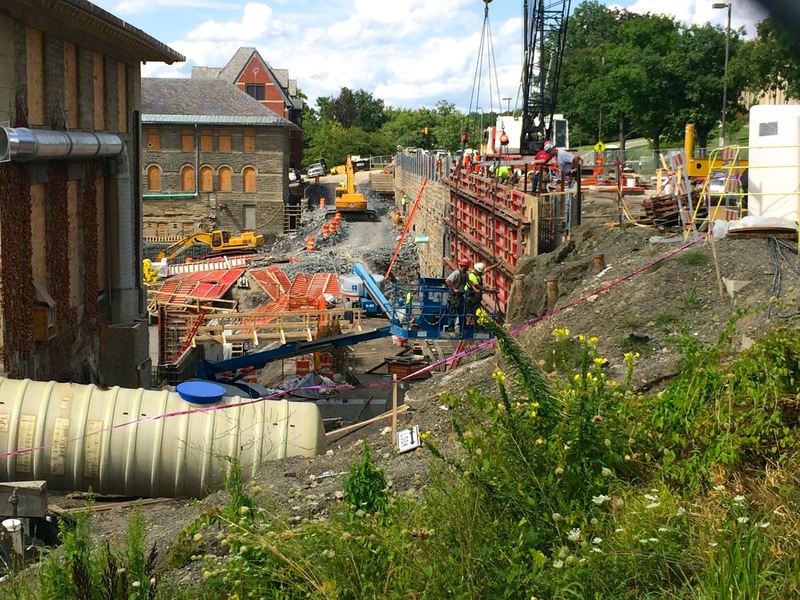 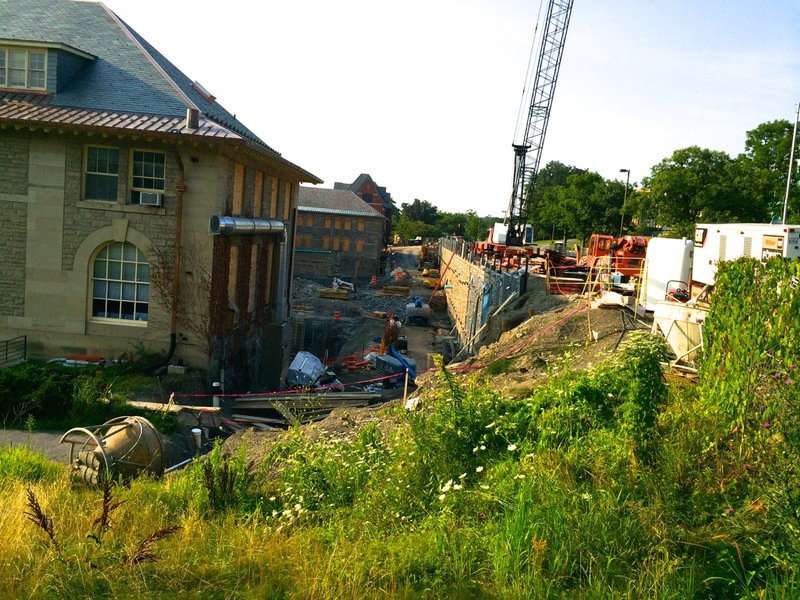 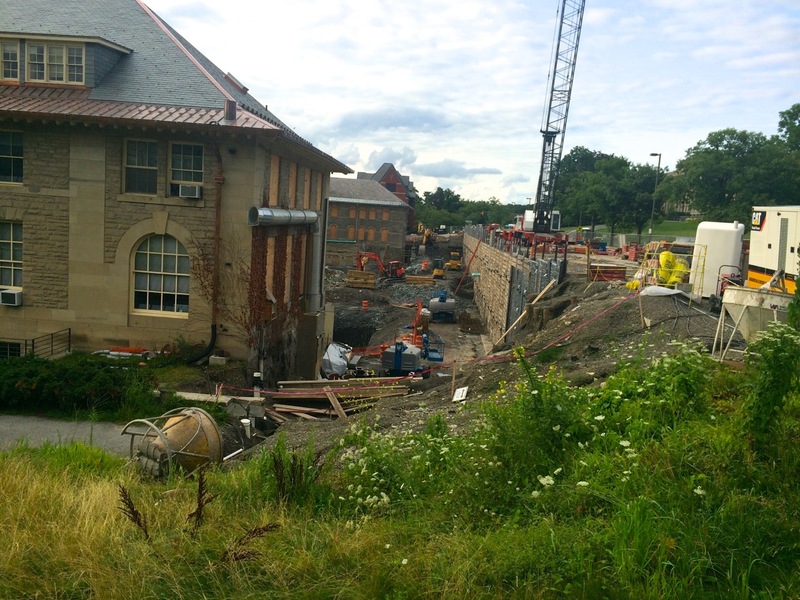 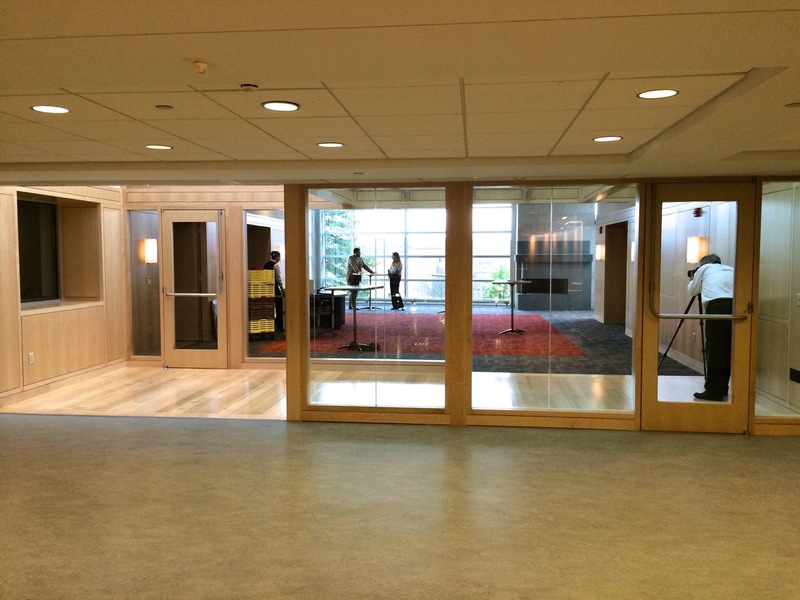 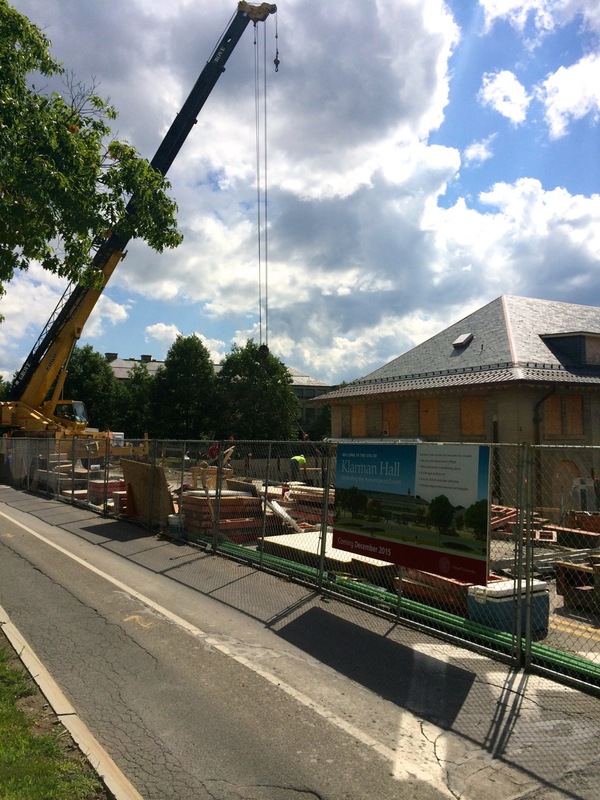 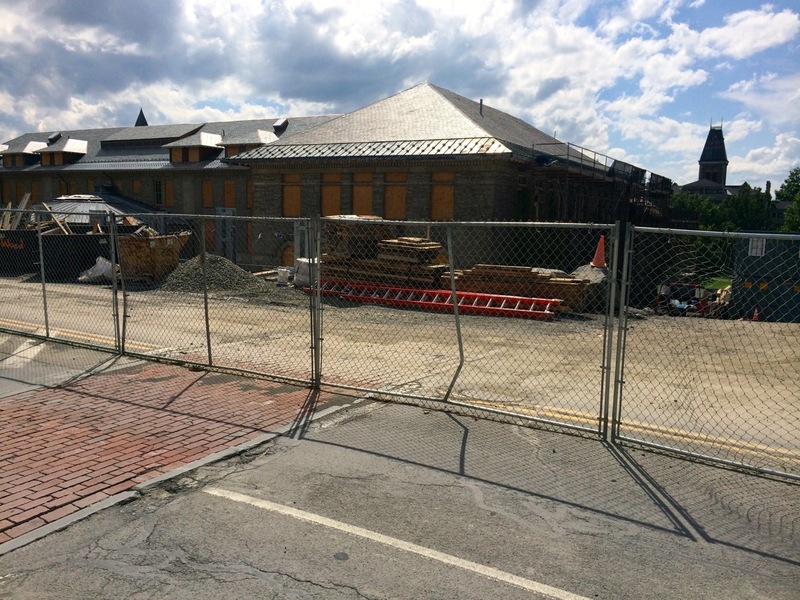 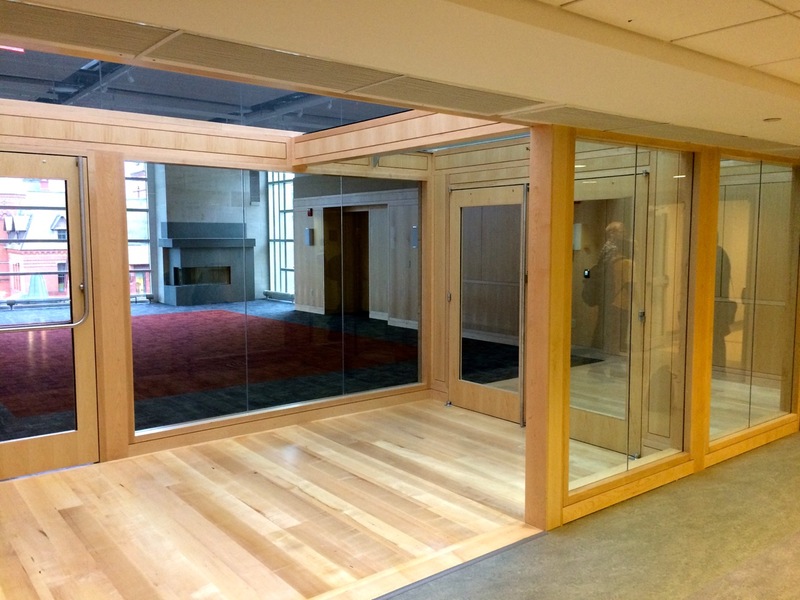 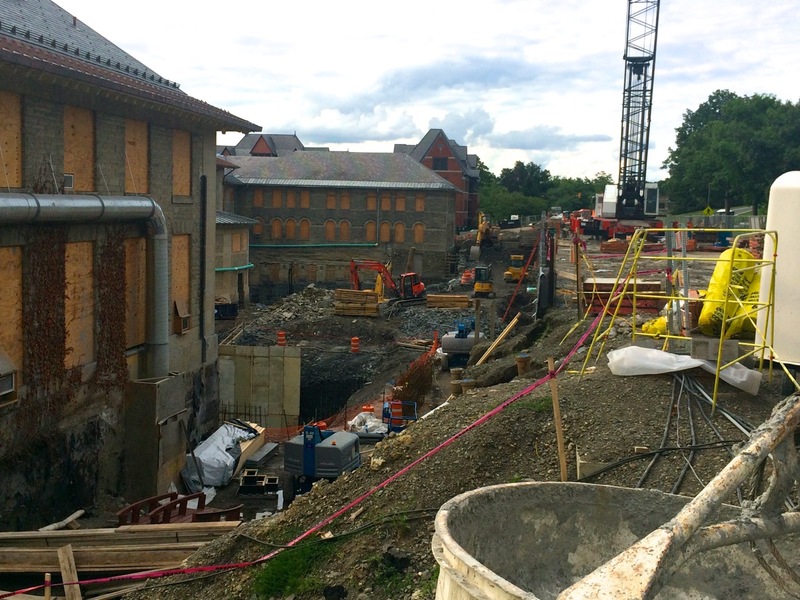 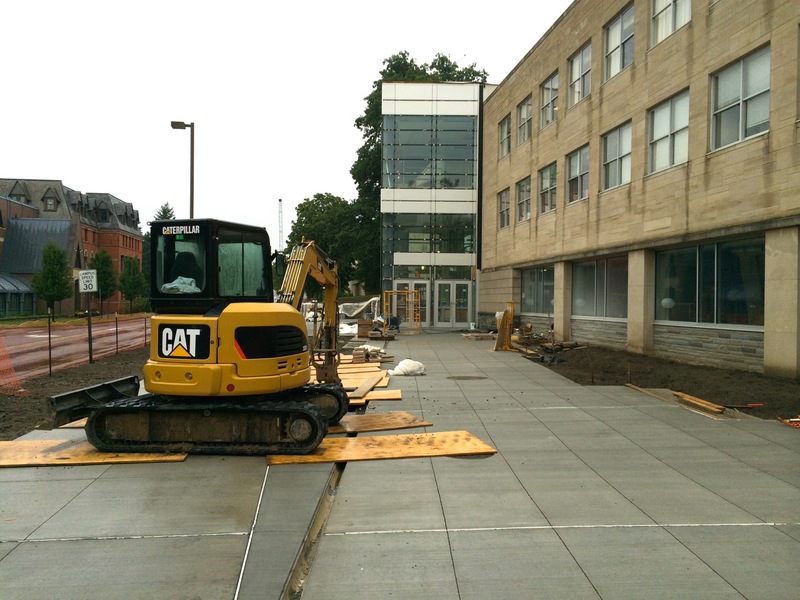 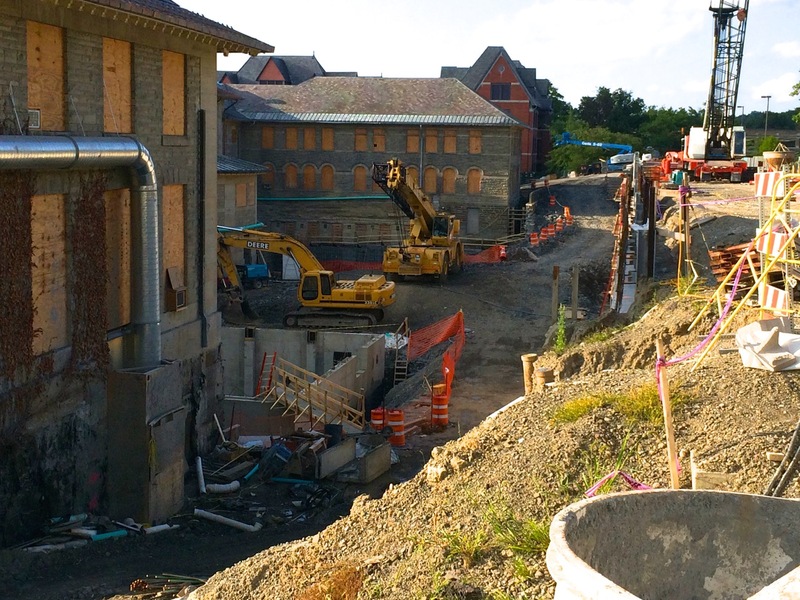 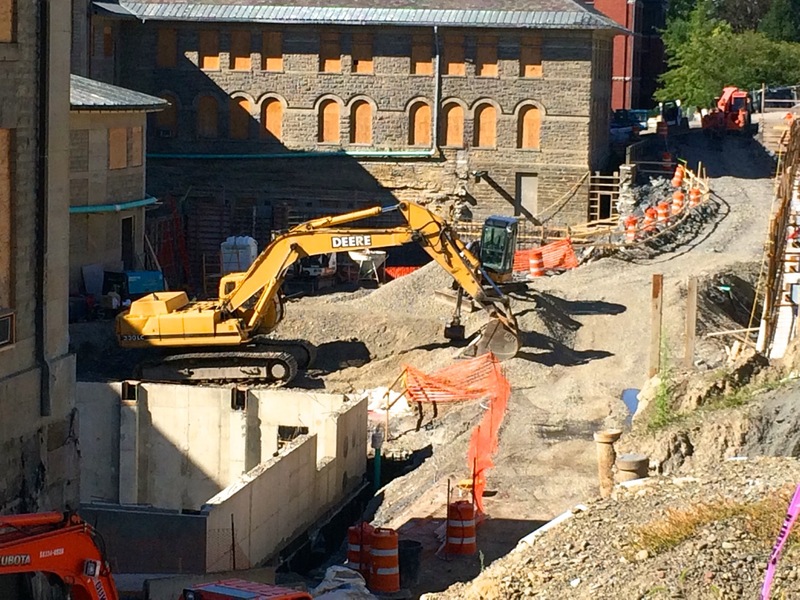 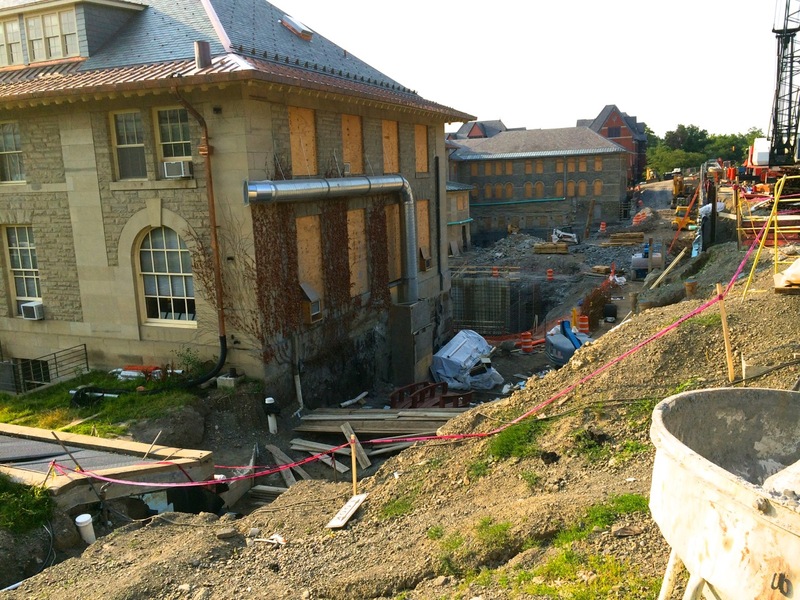 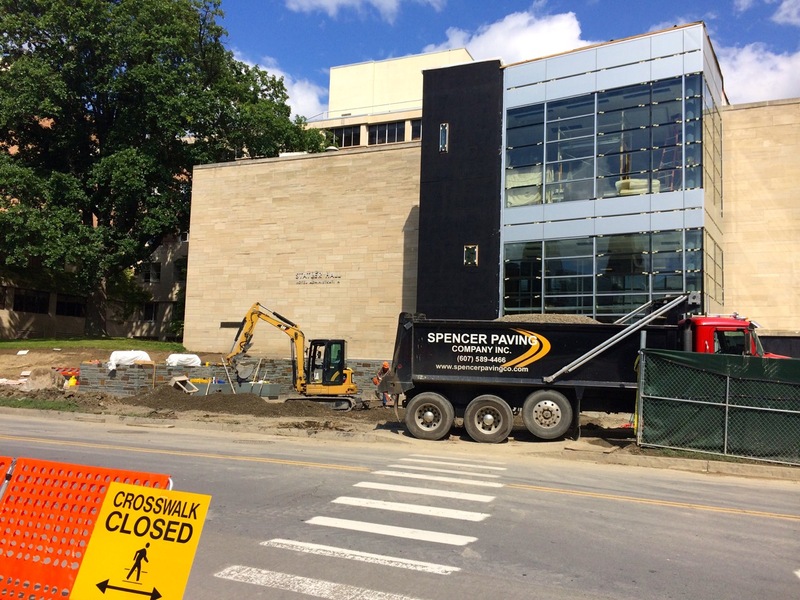 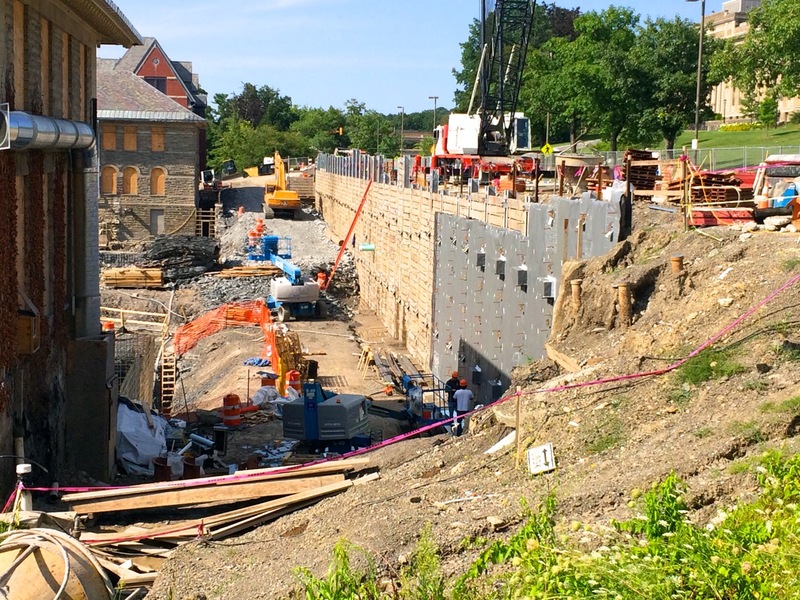 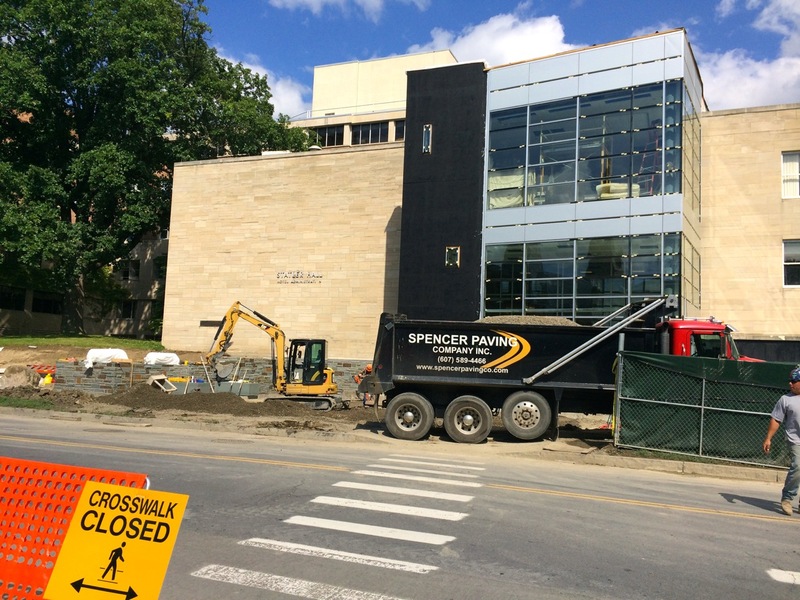 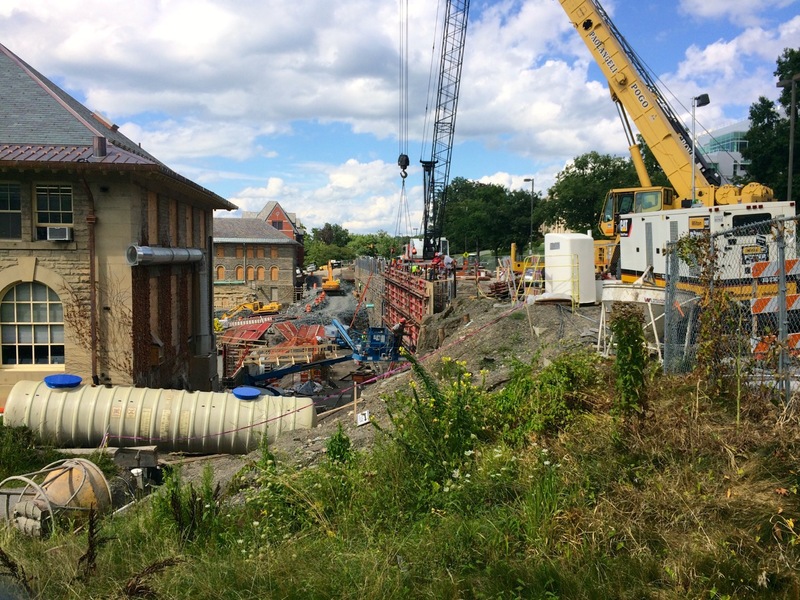 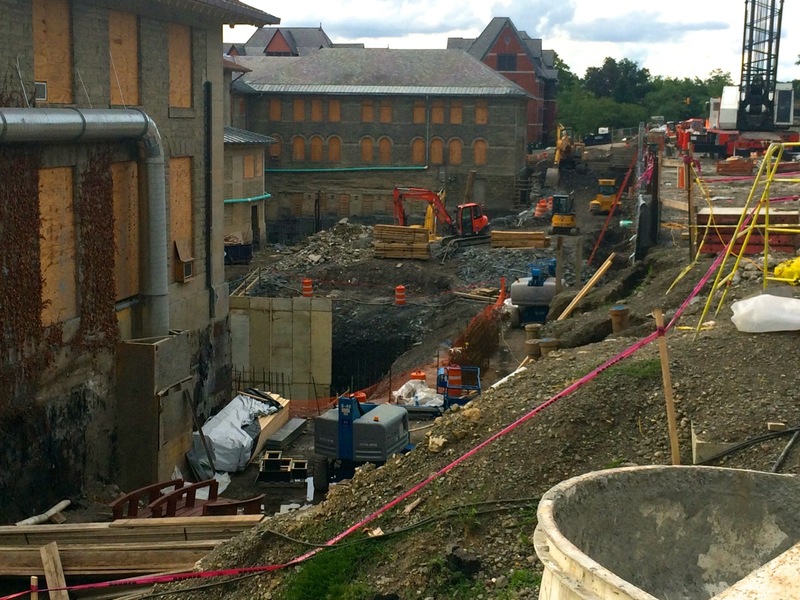 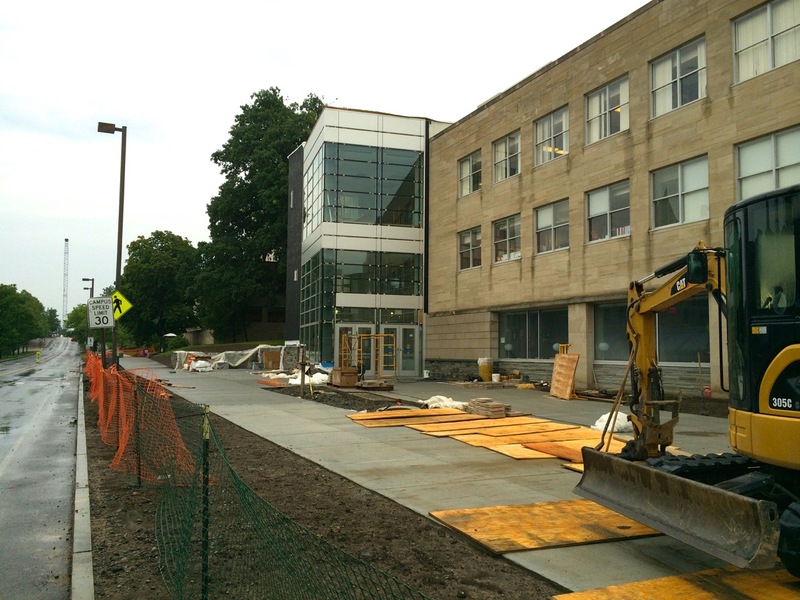 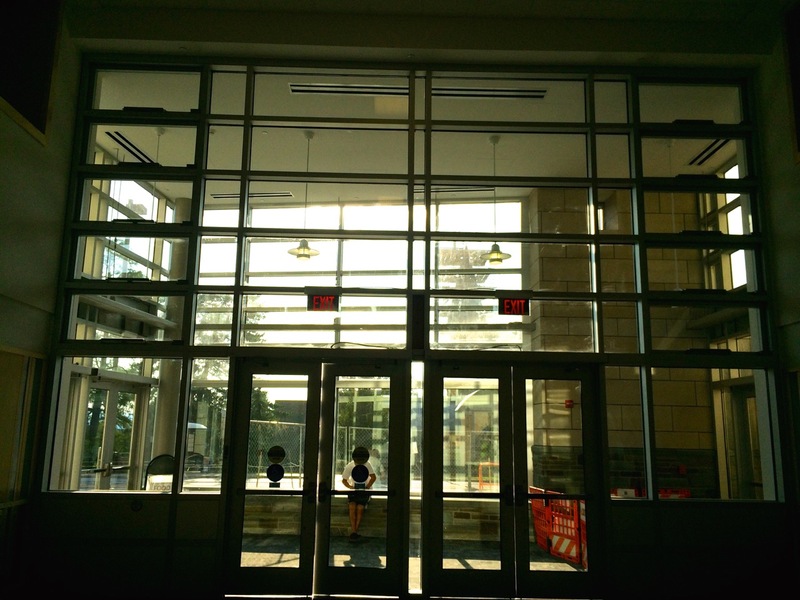 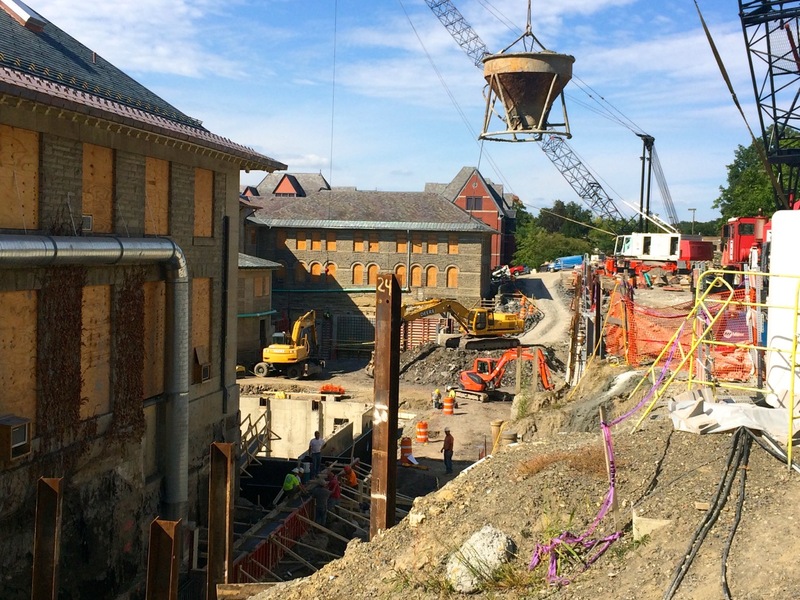 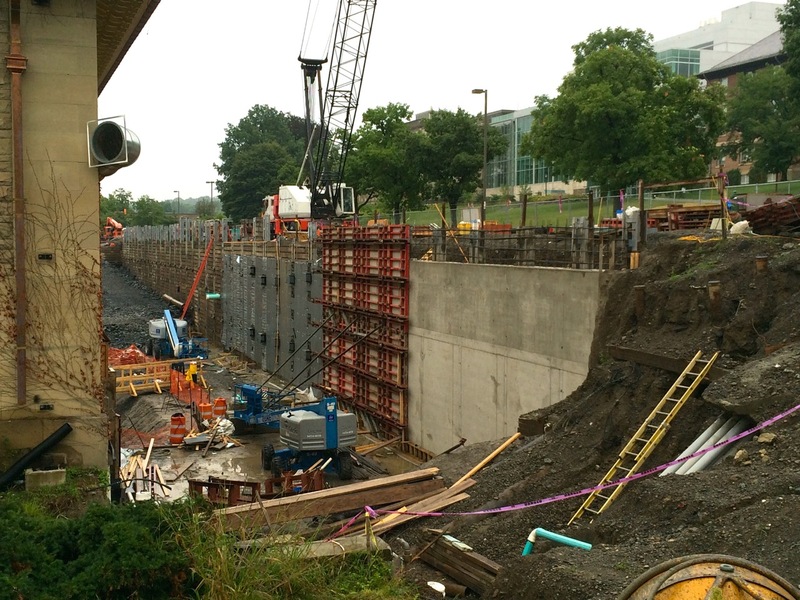 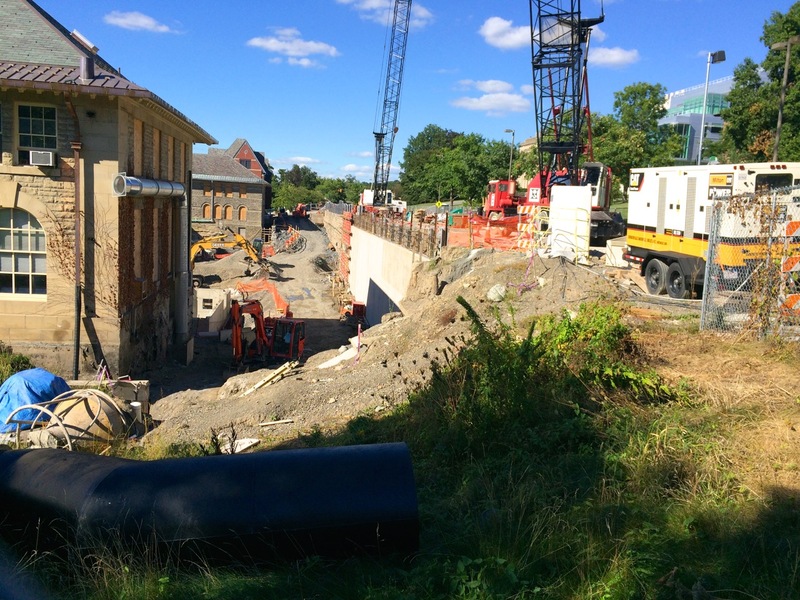 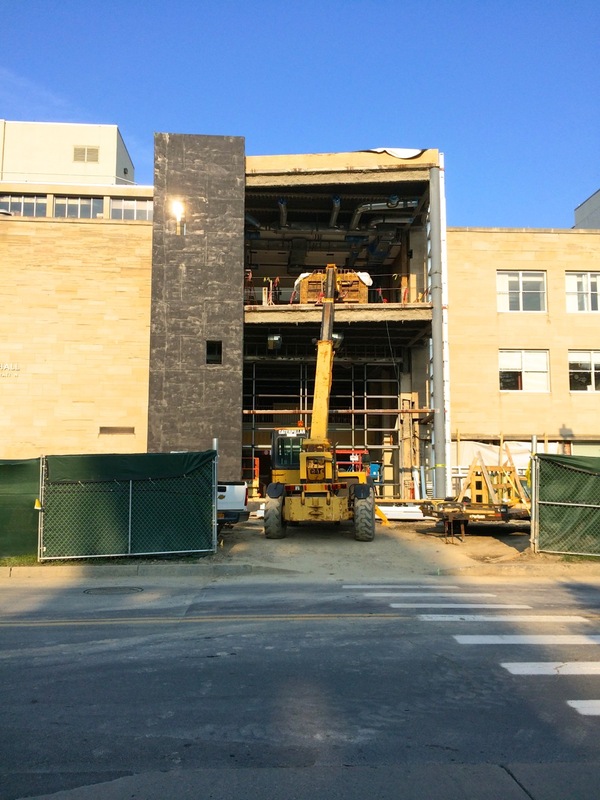 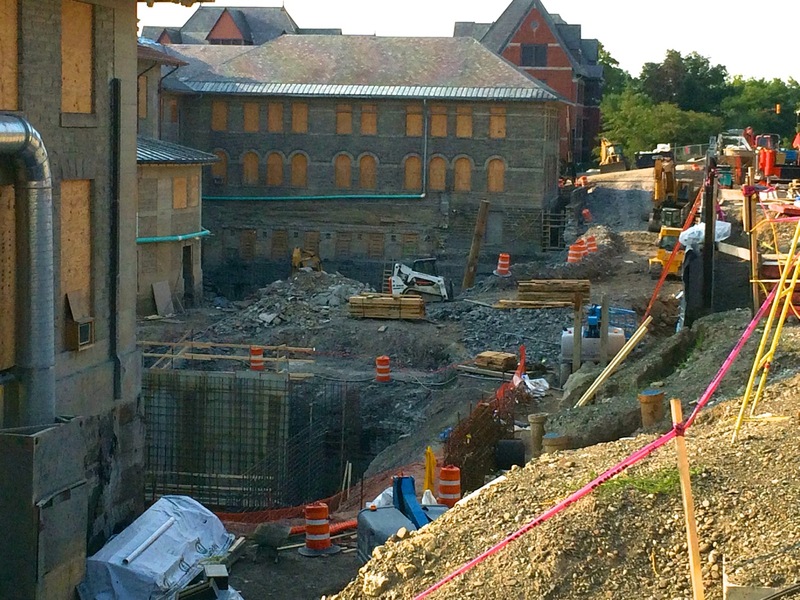 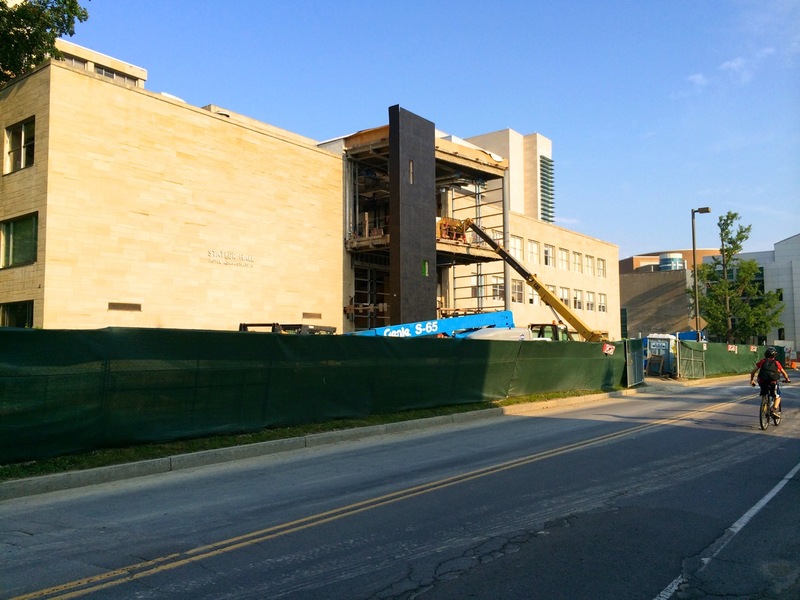 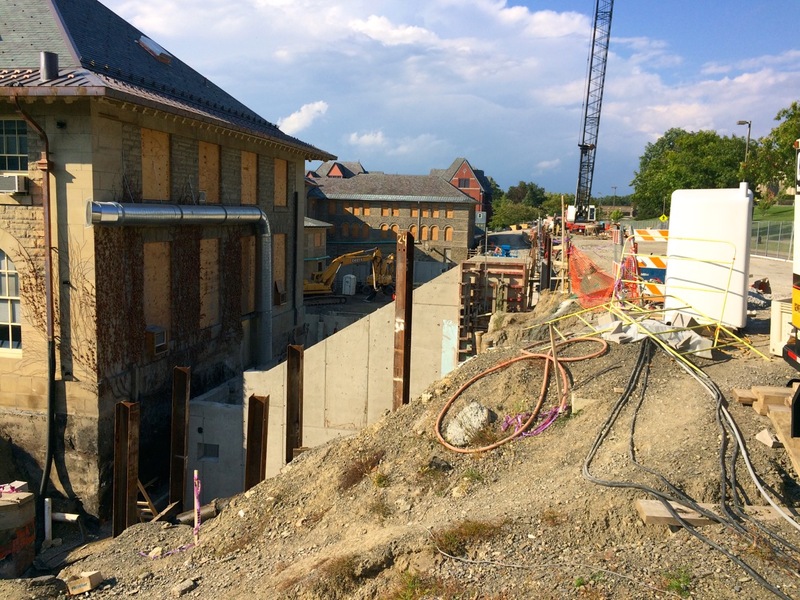 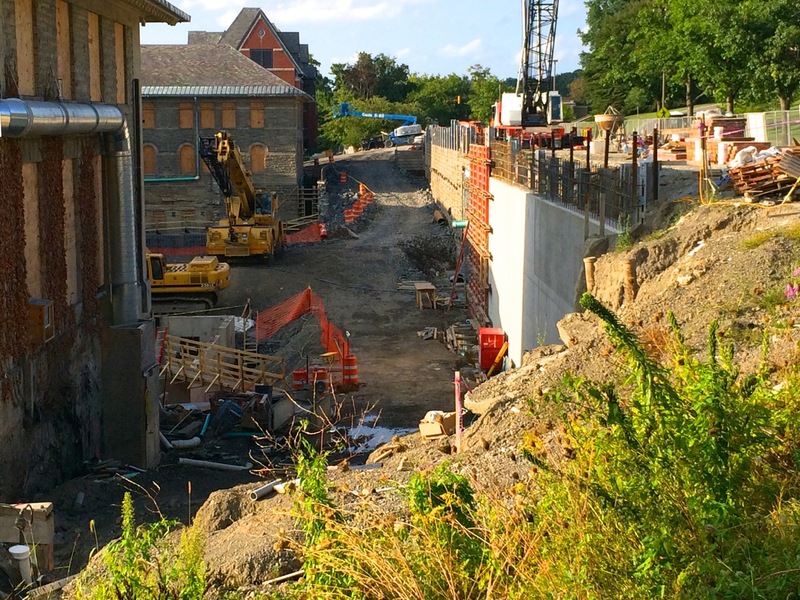 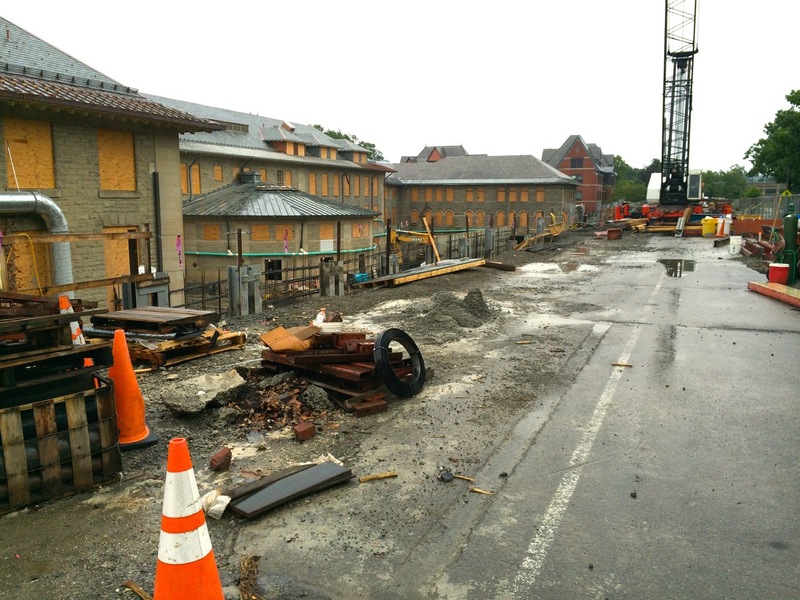 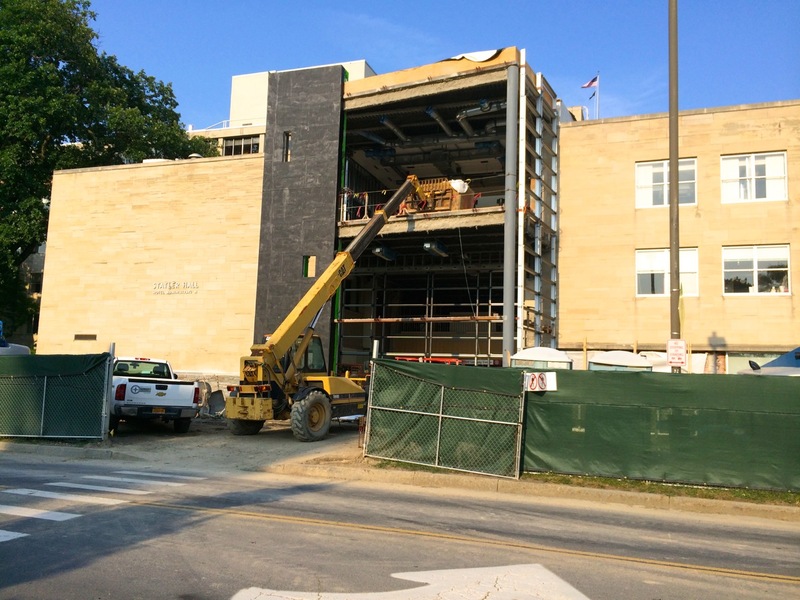 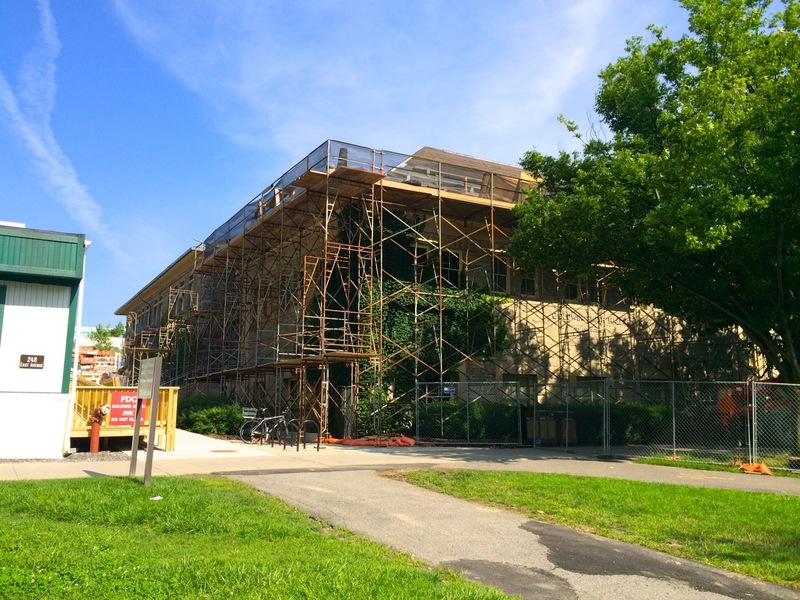 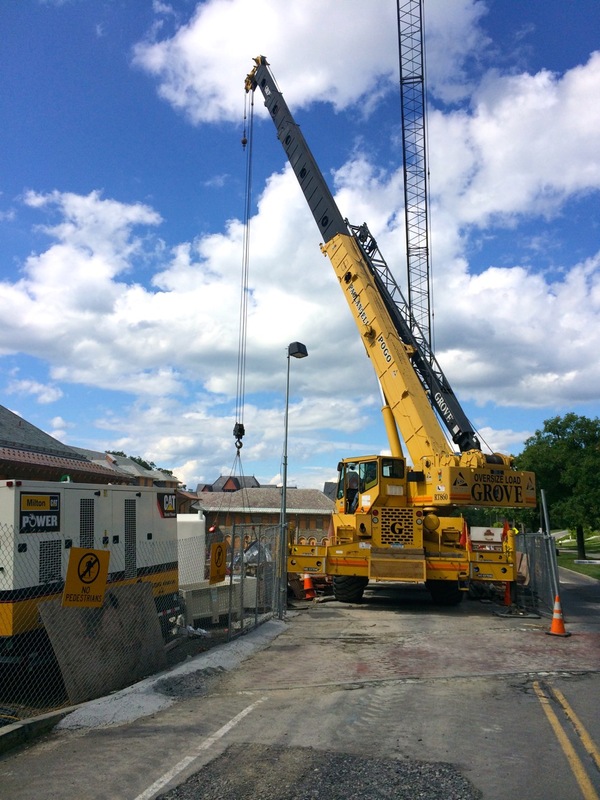 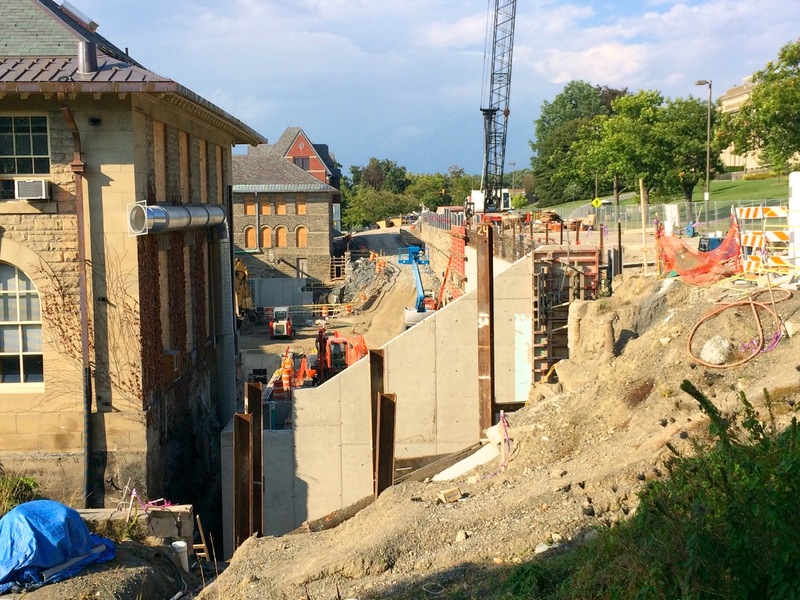 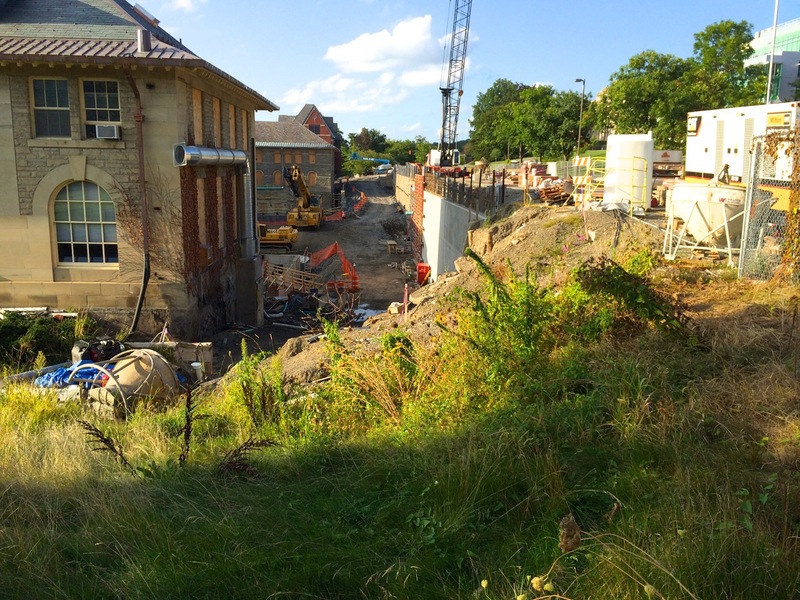 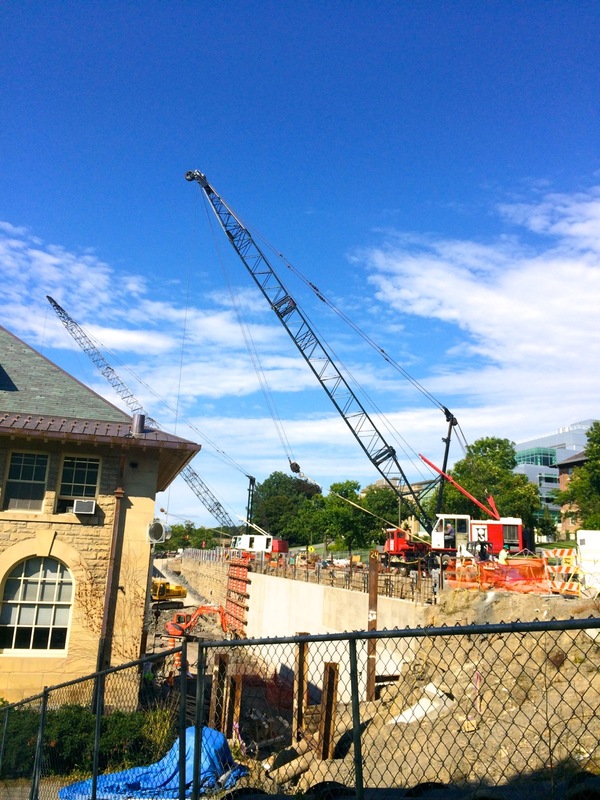 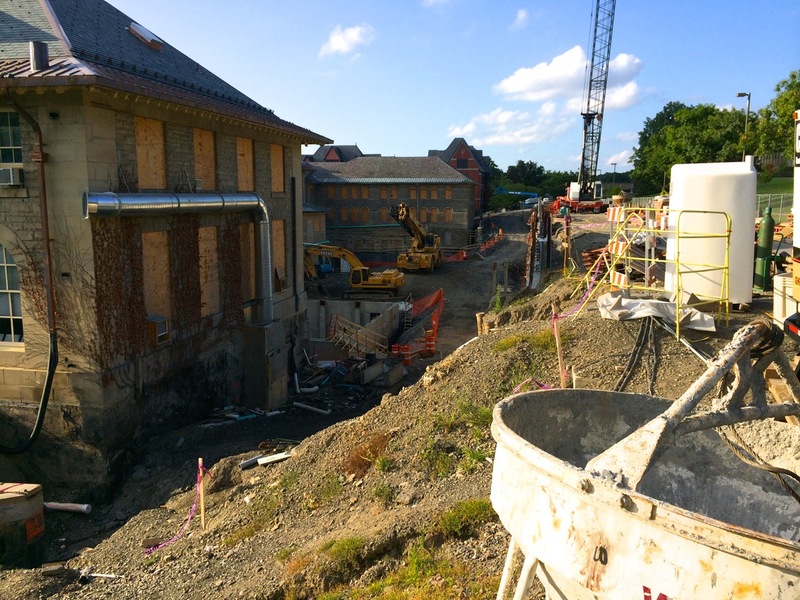 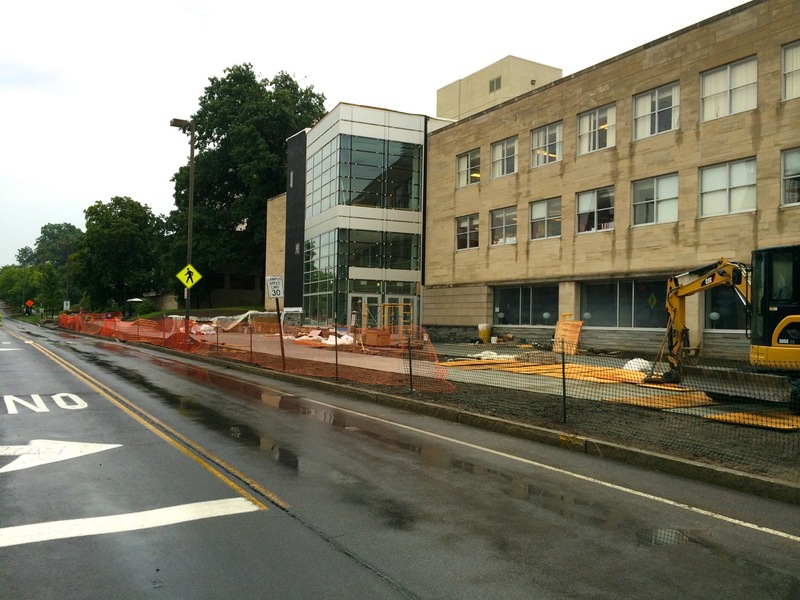 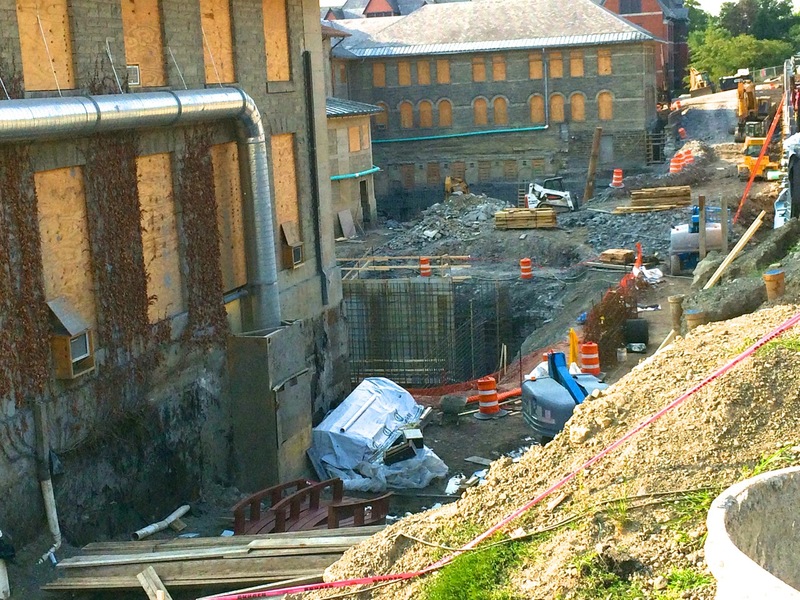 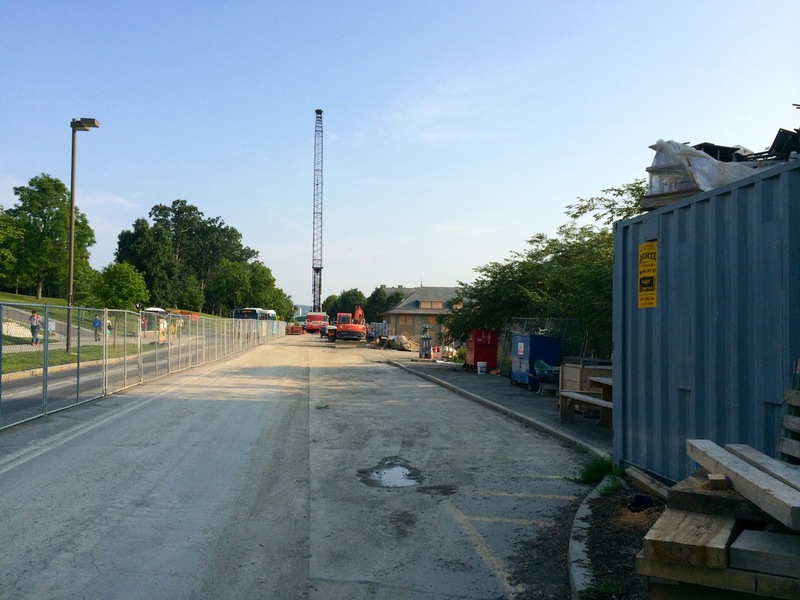 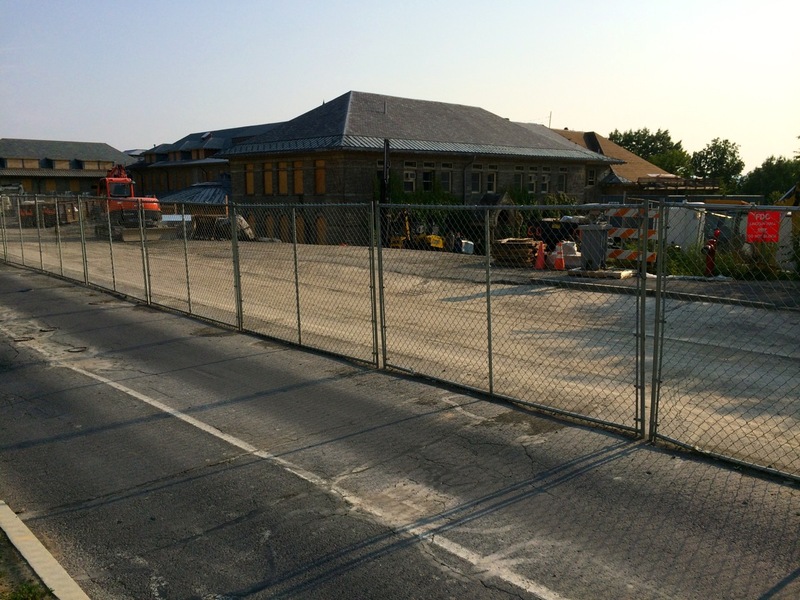 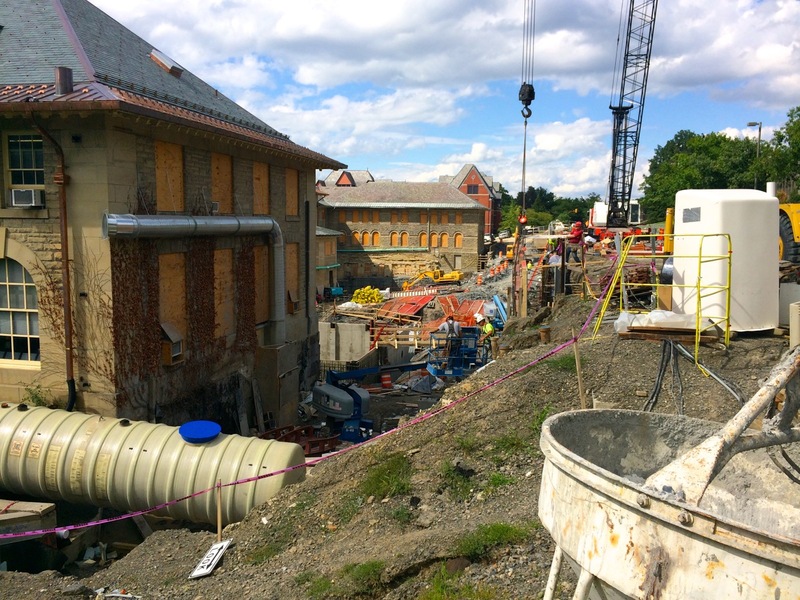 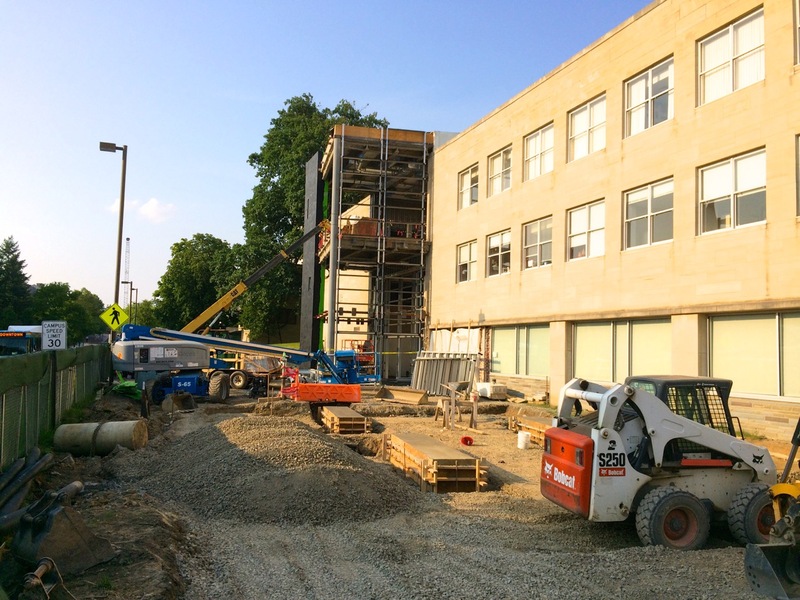 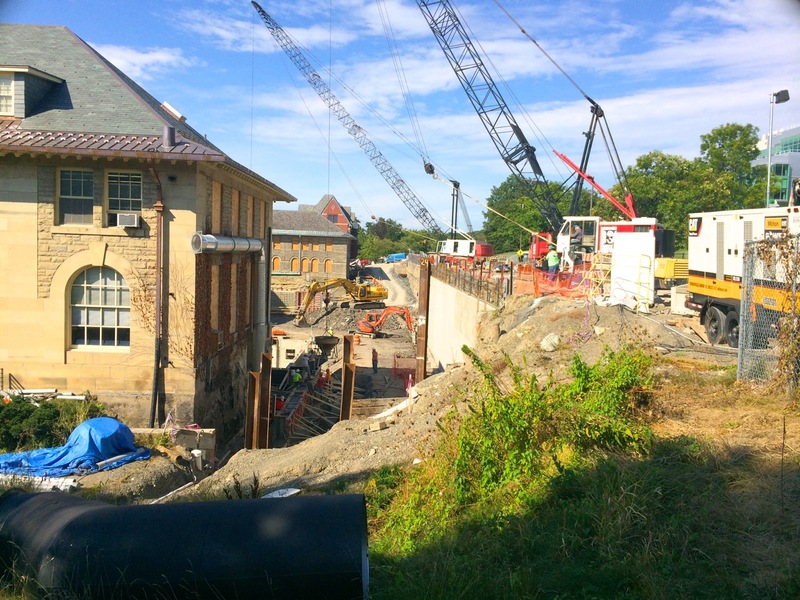 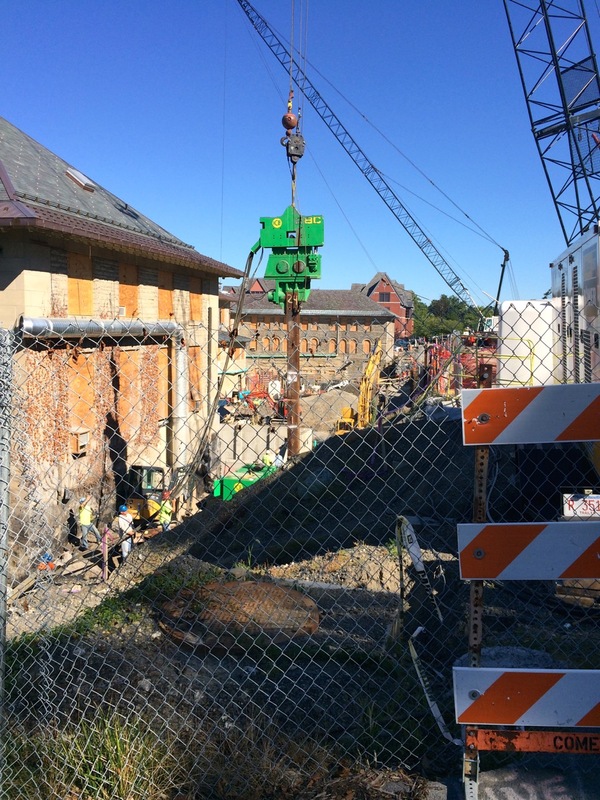 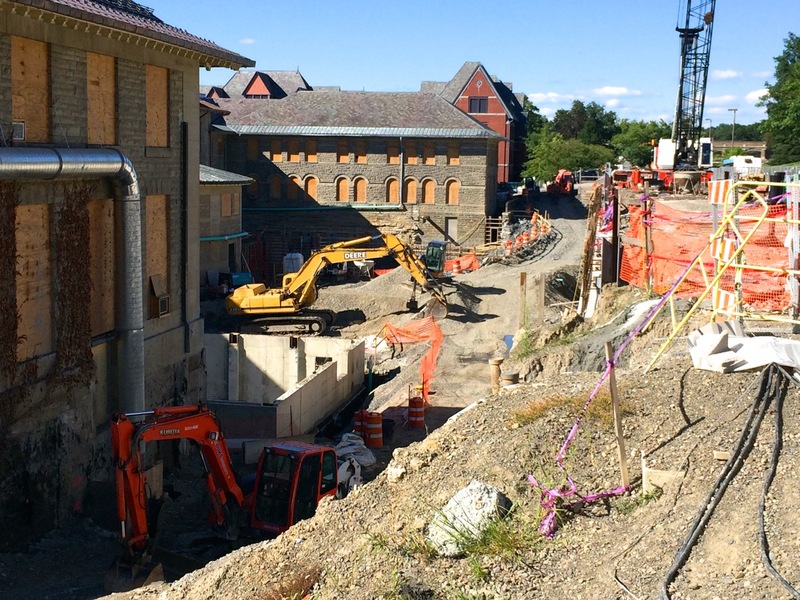 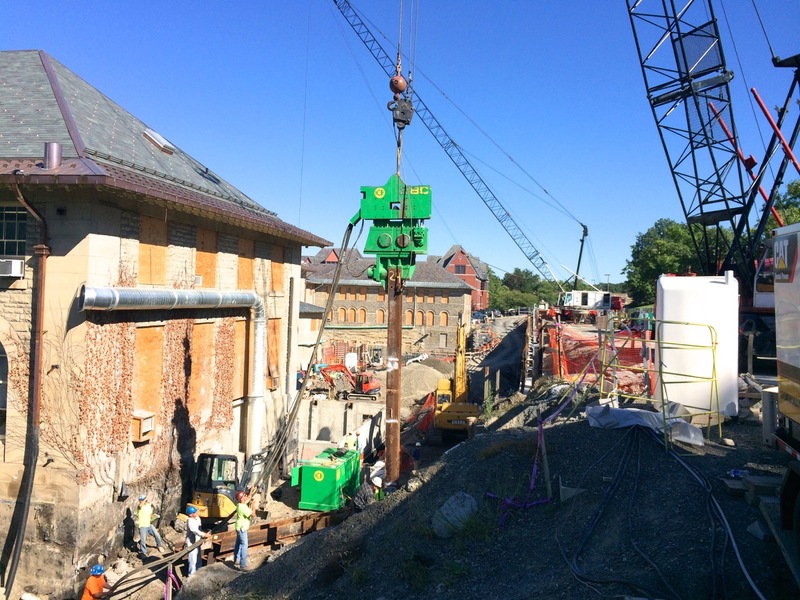 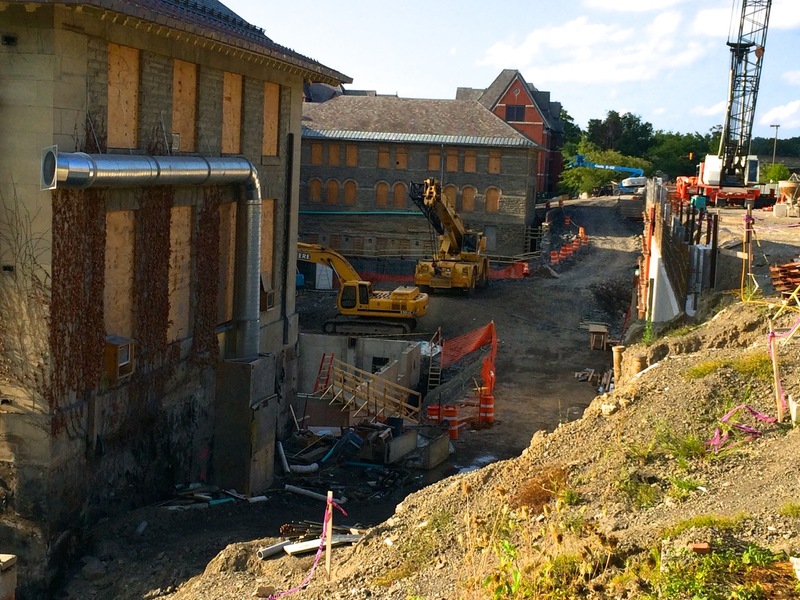 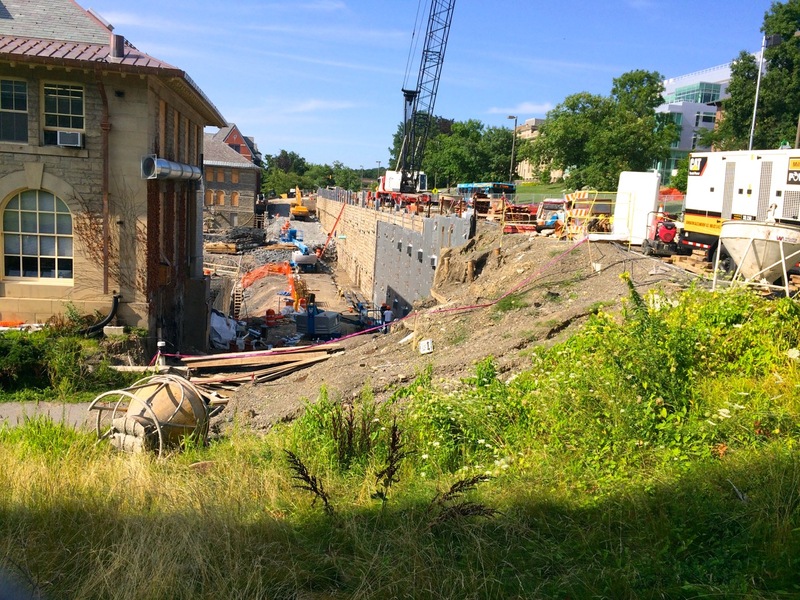 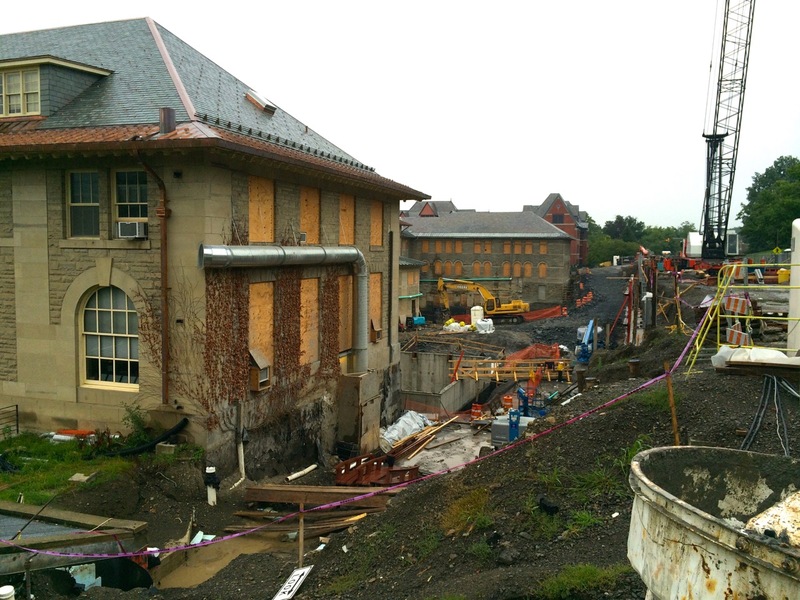 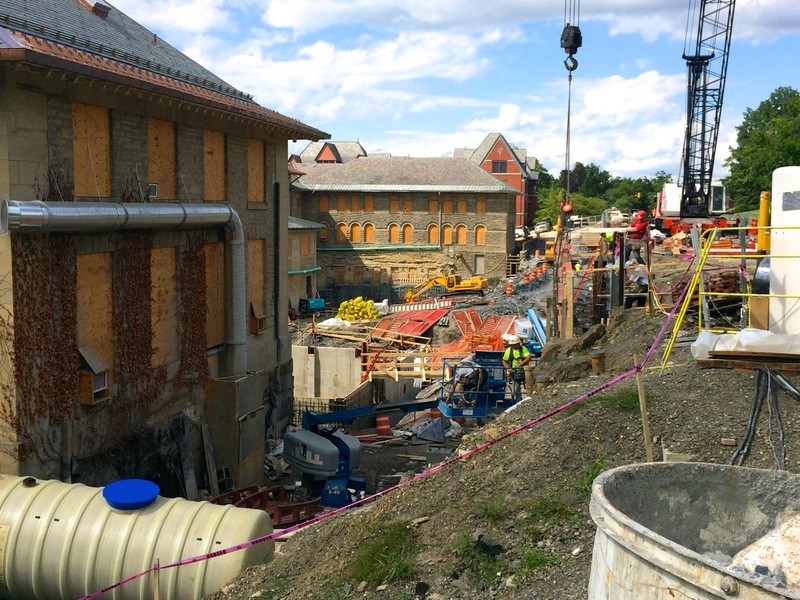 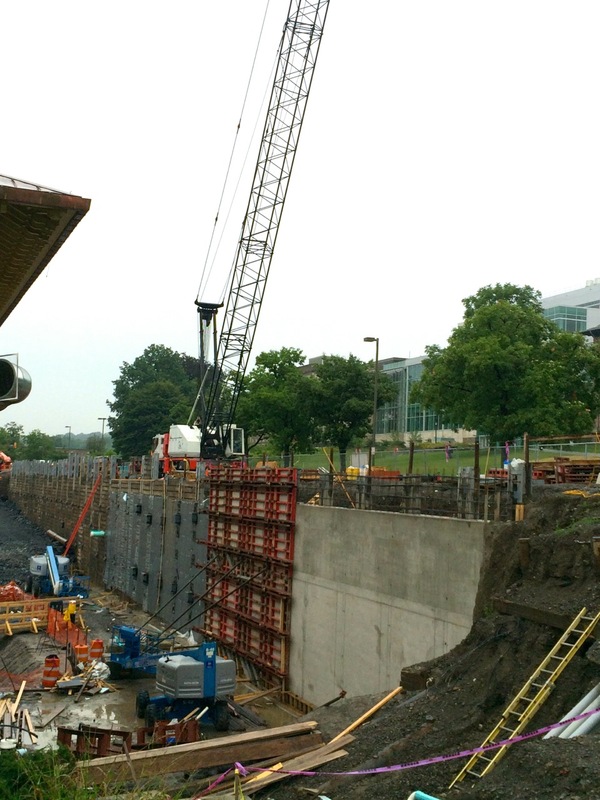 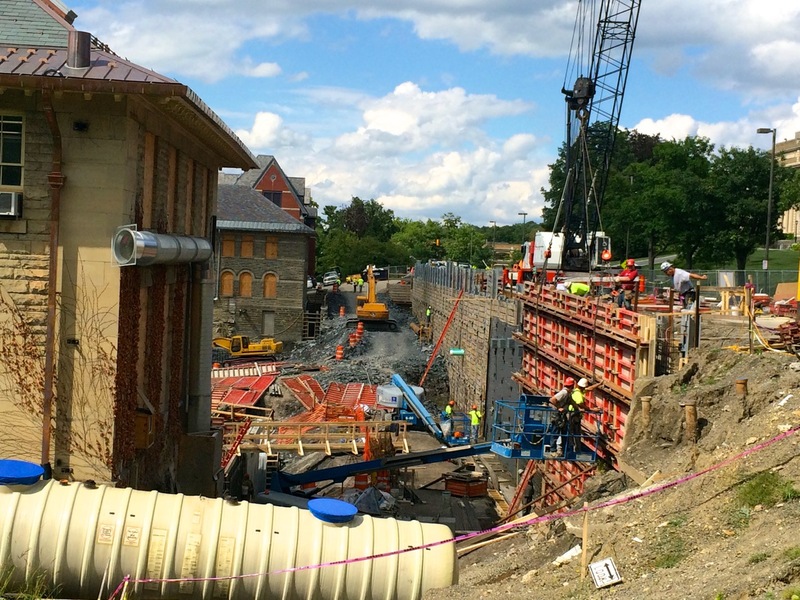 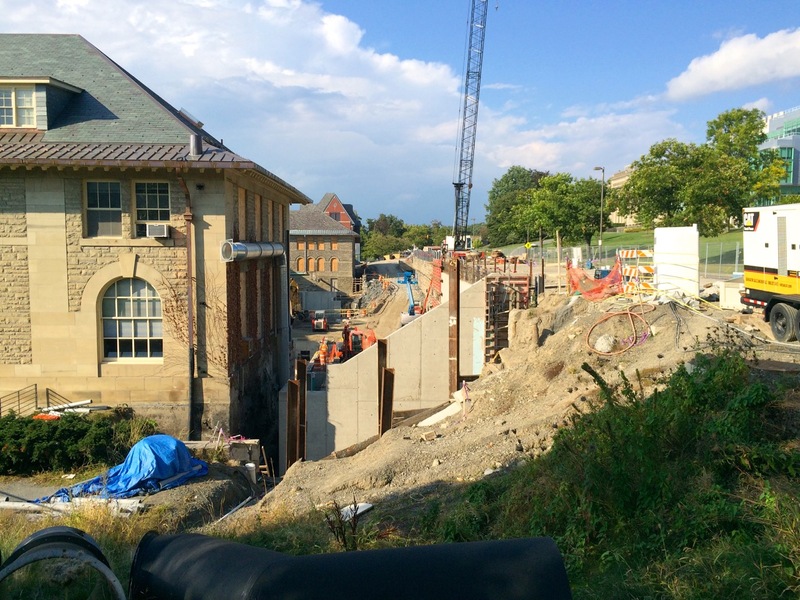 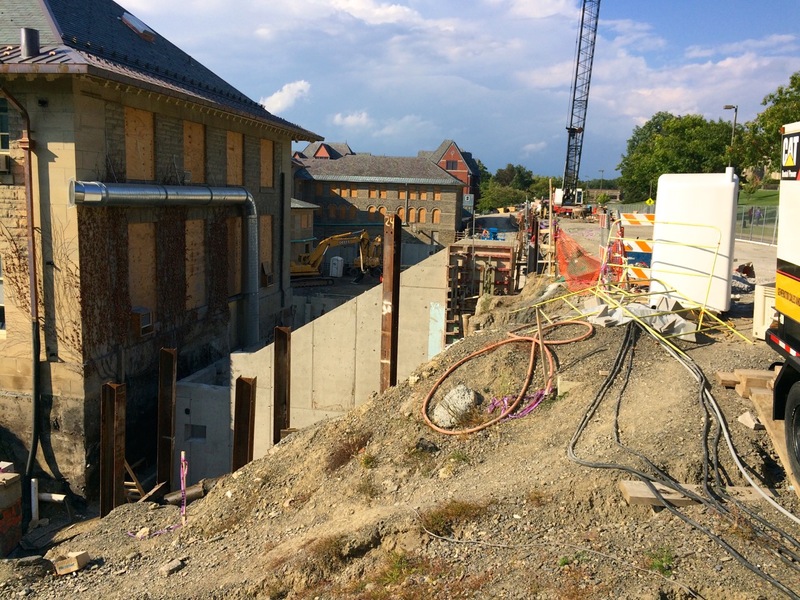 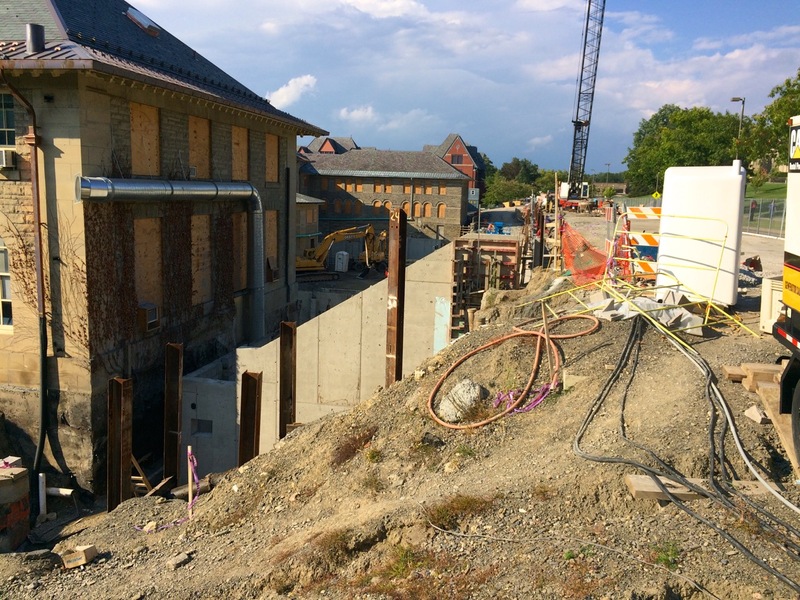 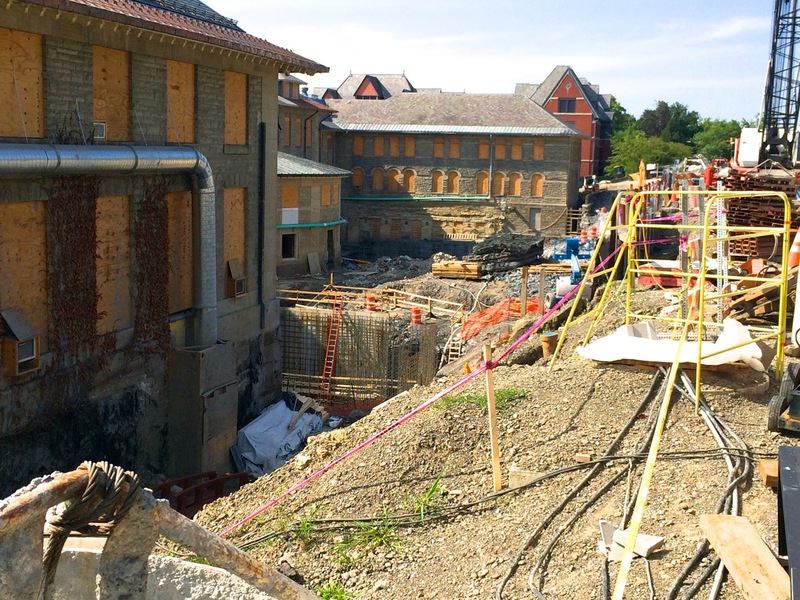 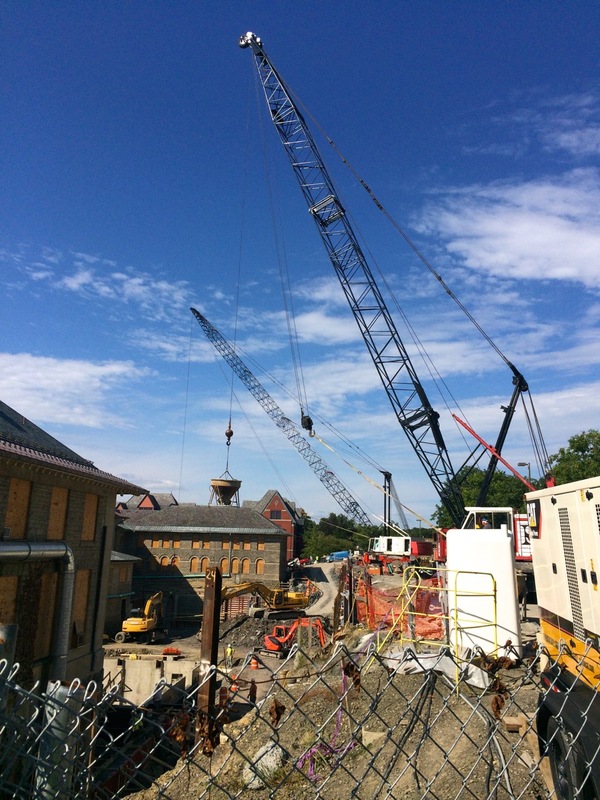 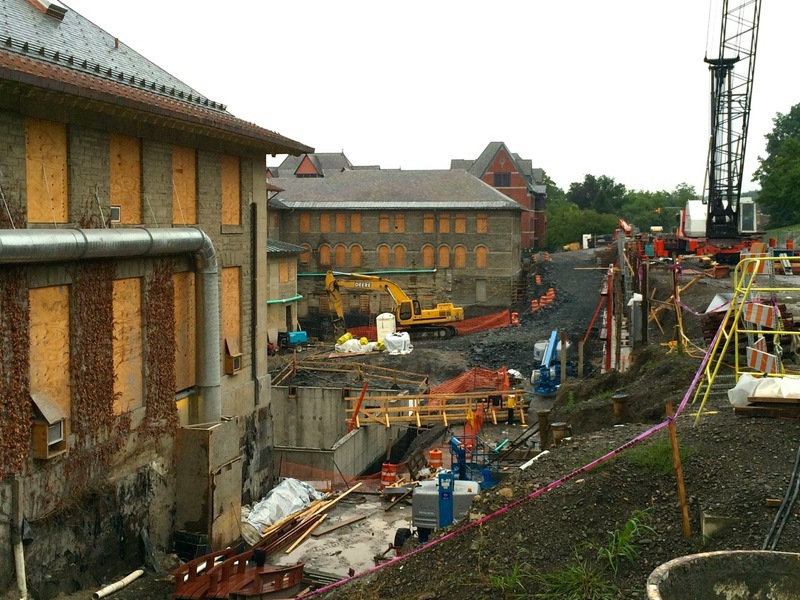 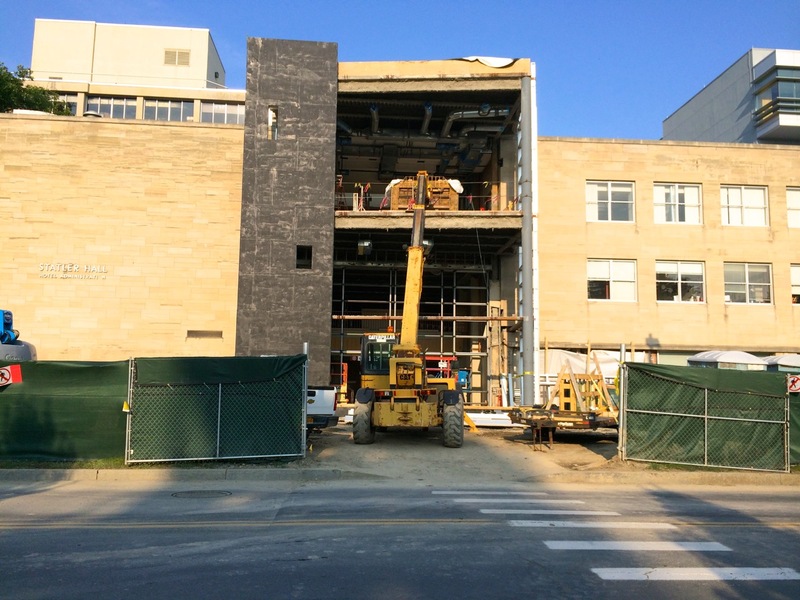 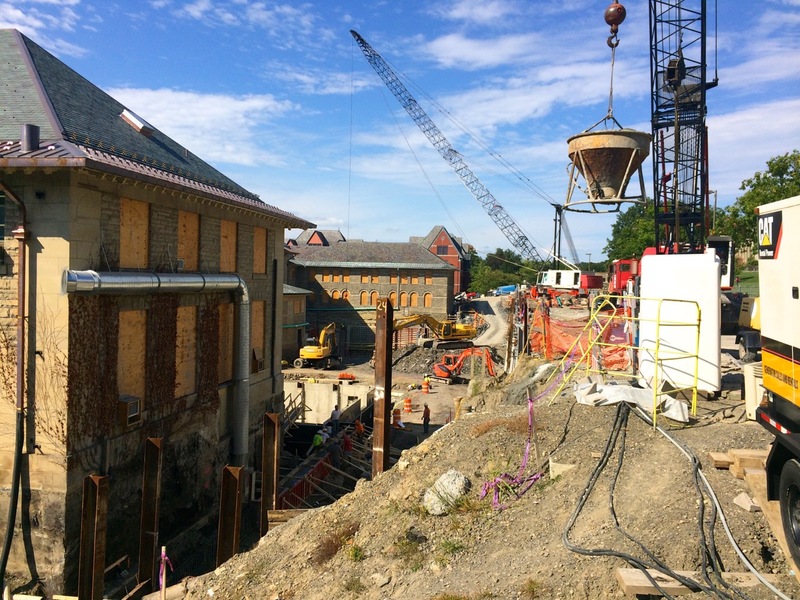 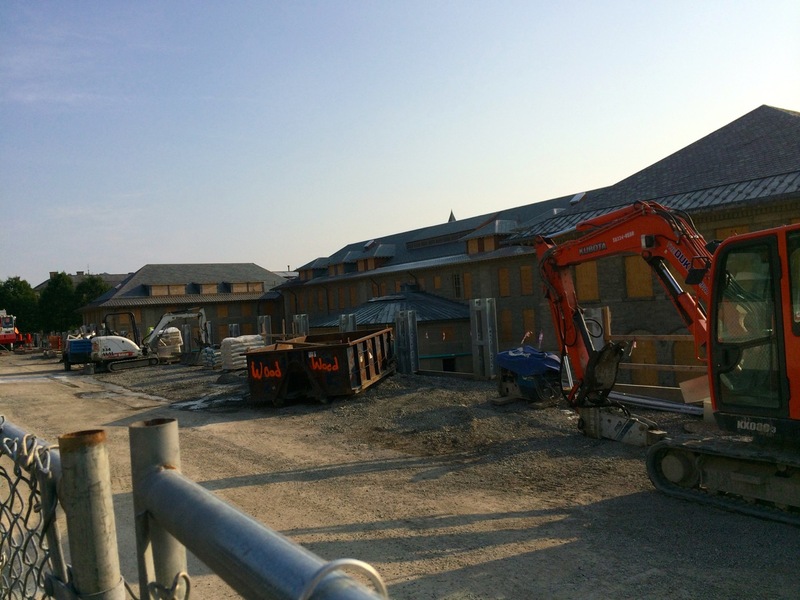 Updated photos here from August 3rd and August 6th for Cornell’s Statler Hall Entry Renovation project that has been going on this summer (infill project for a new 450 square foot vestibule and also second floor space above). 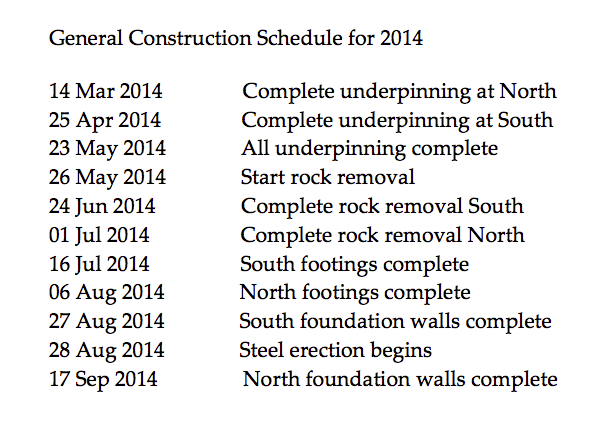 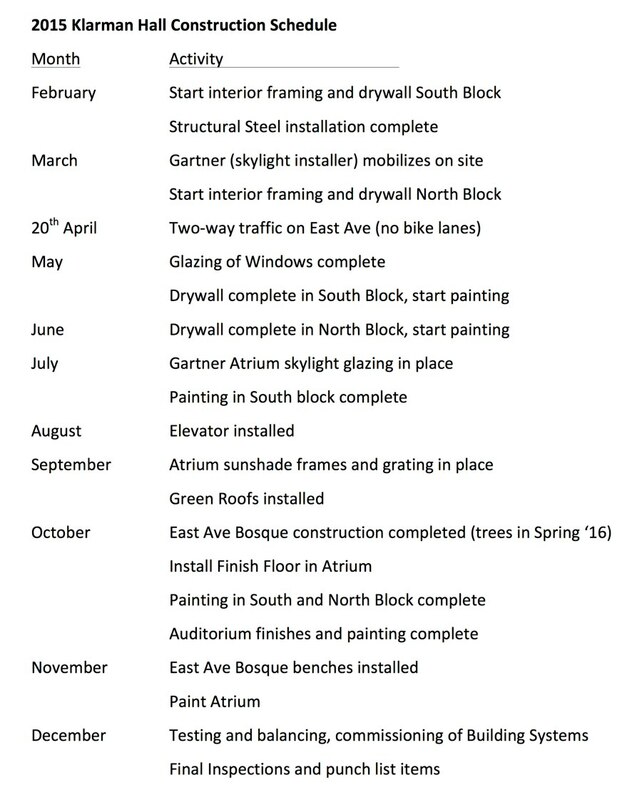 At this pace, I’m sure a lot more has been done since the time this is posted: the exterior wall framing looks to have been completed by the end of July, along with fiberglass sheathing around the support wall and side wall. 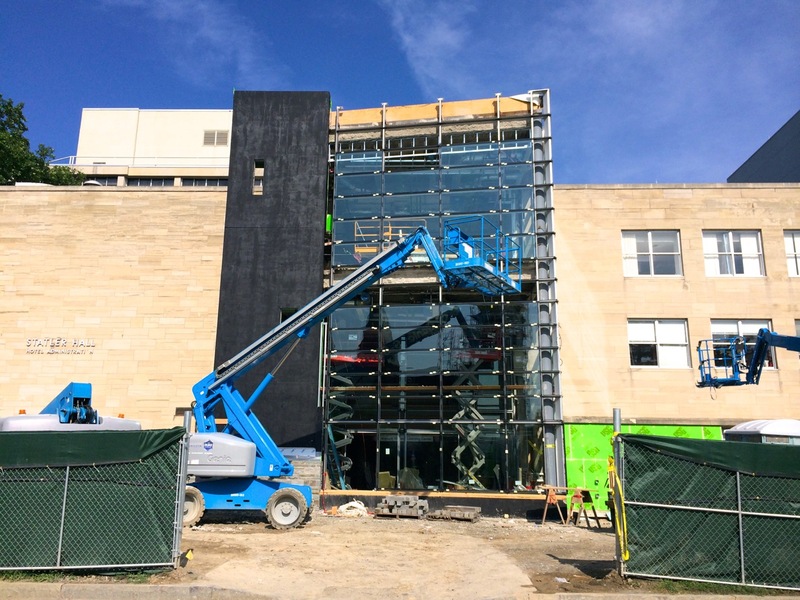 The interior shows rapid HVAC and electric installation, and the glass curtain wall has been assembled well beyond halfway in the span of about four days. 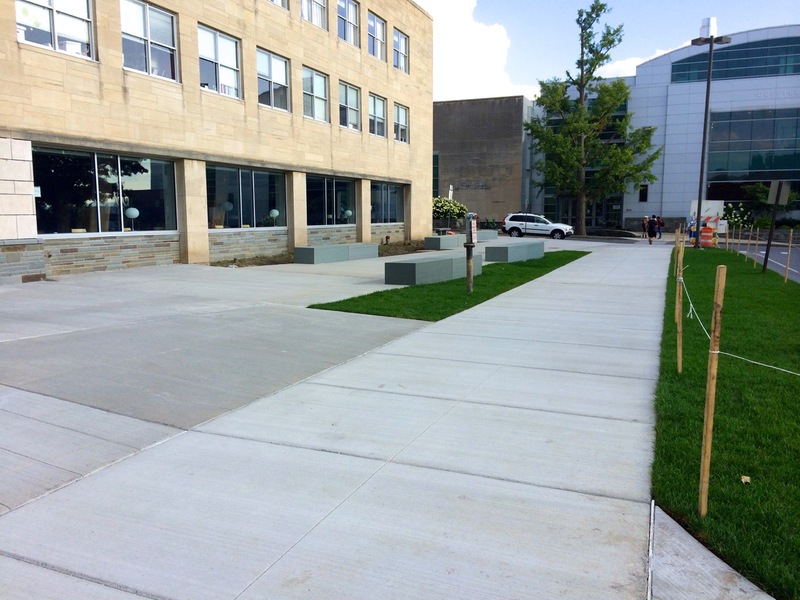 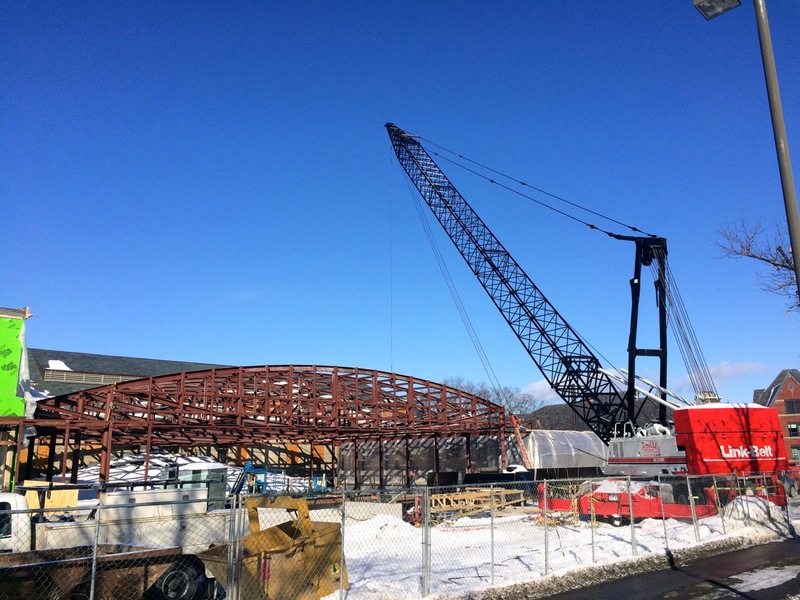 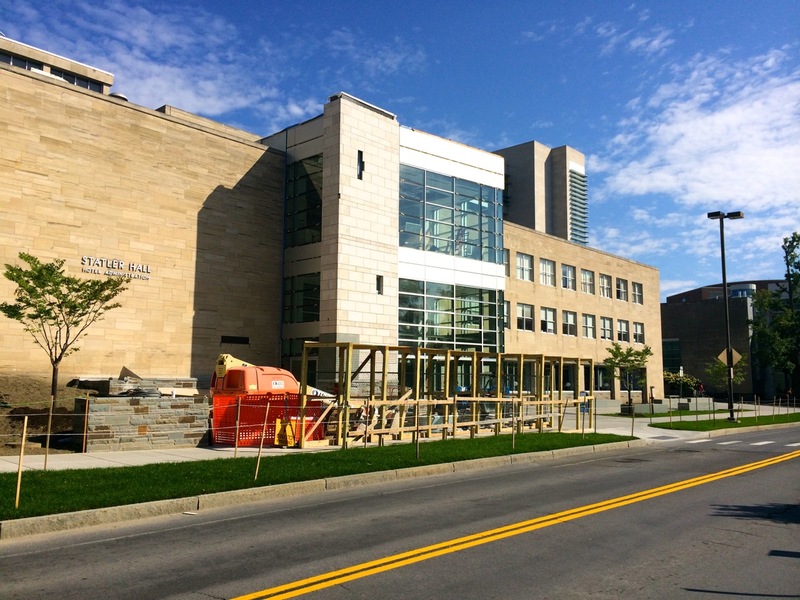 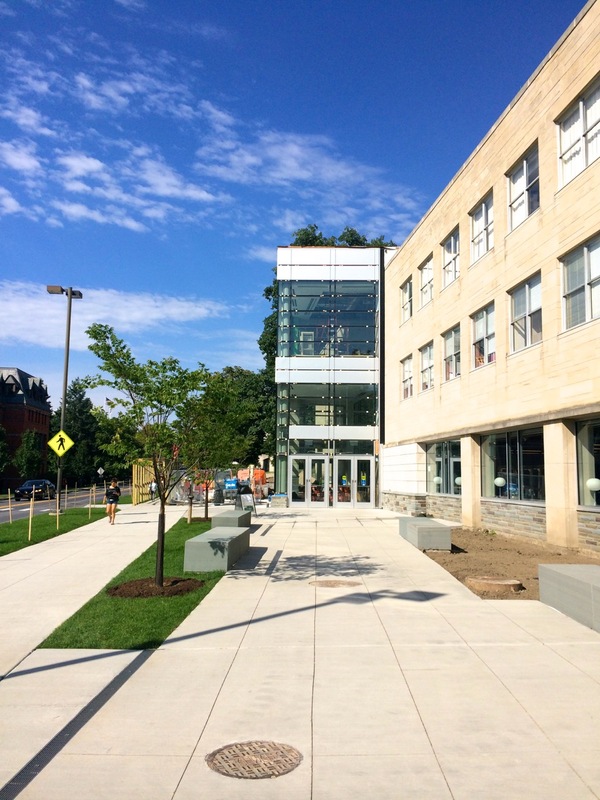 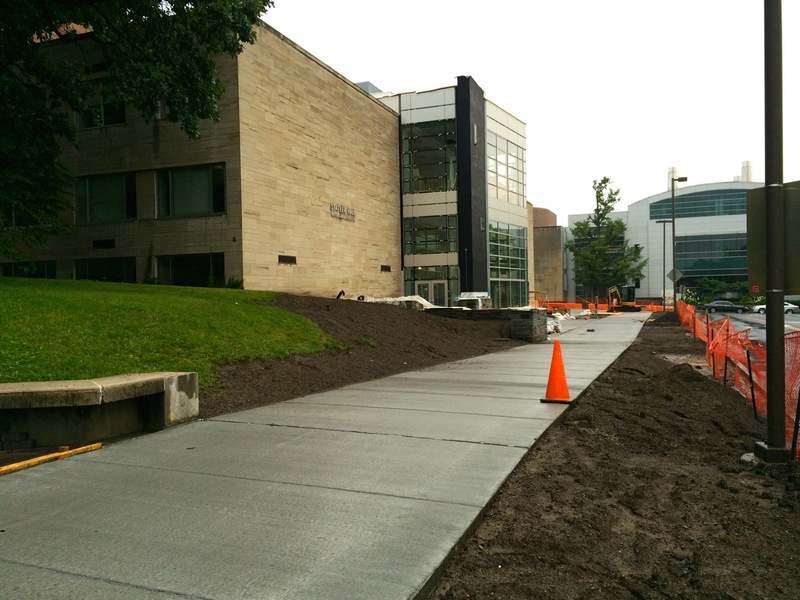 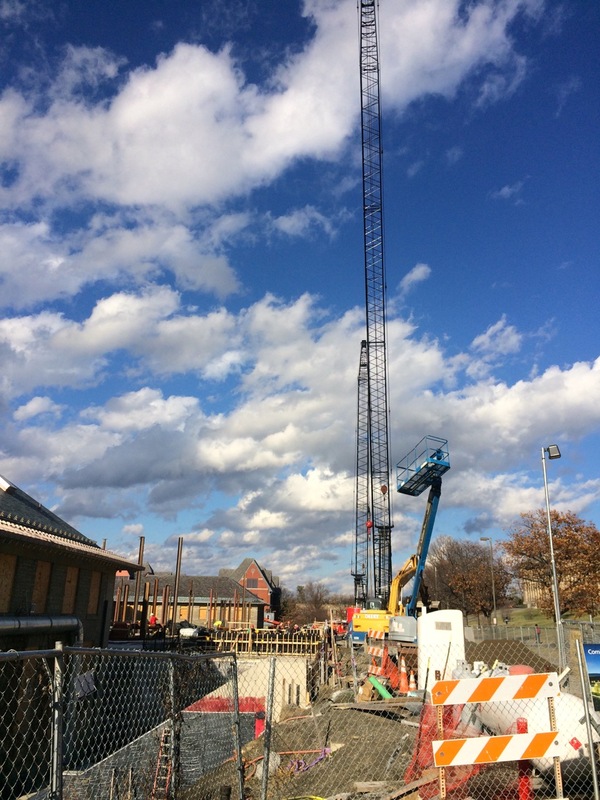 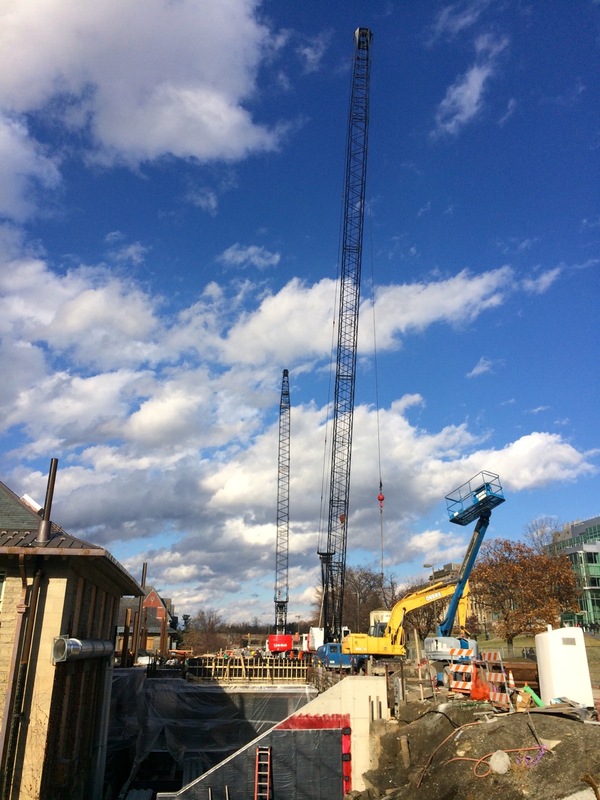 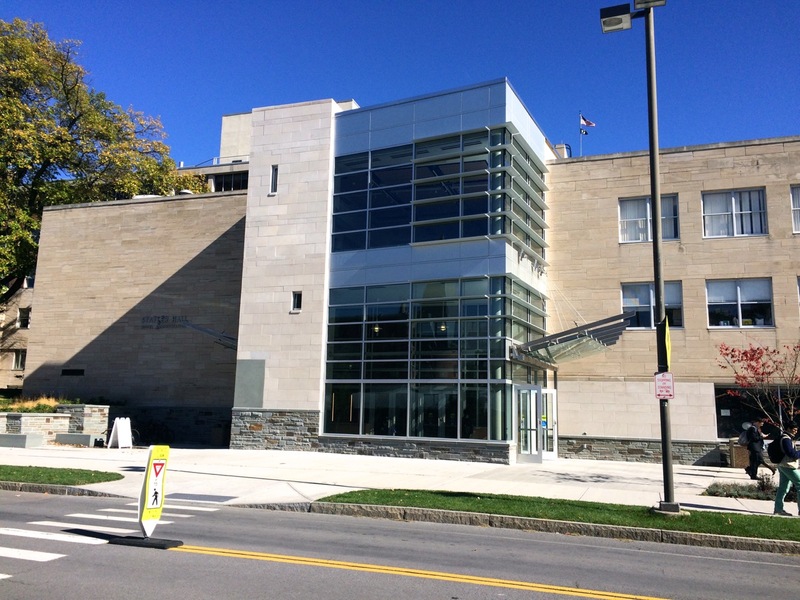 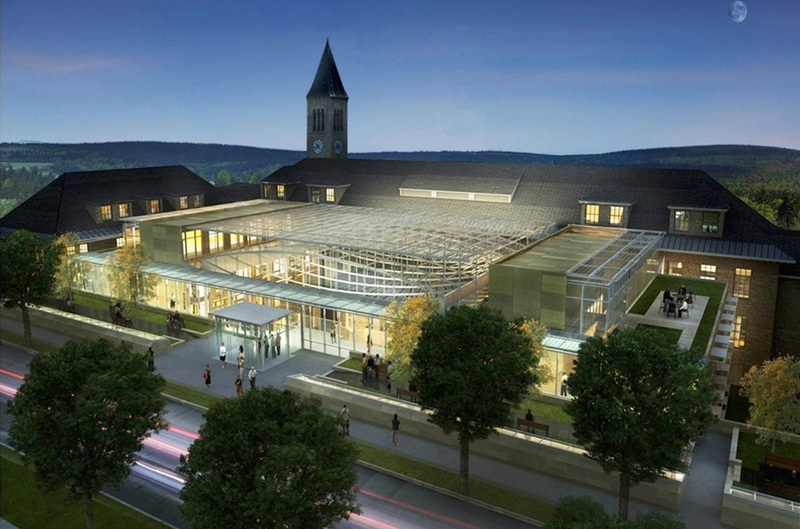 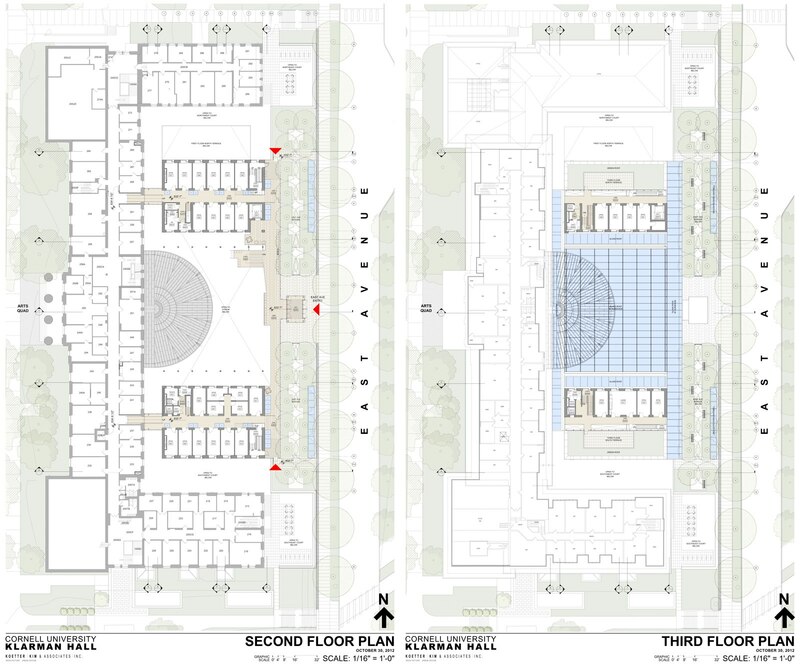 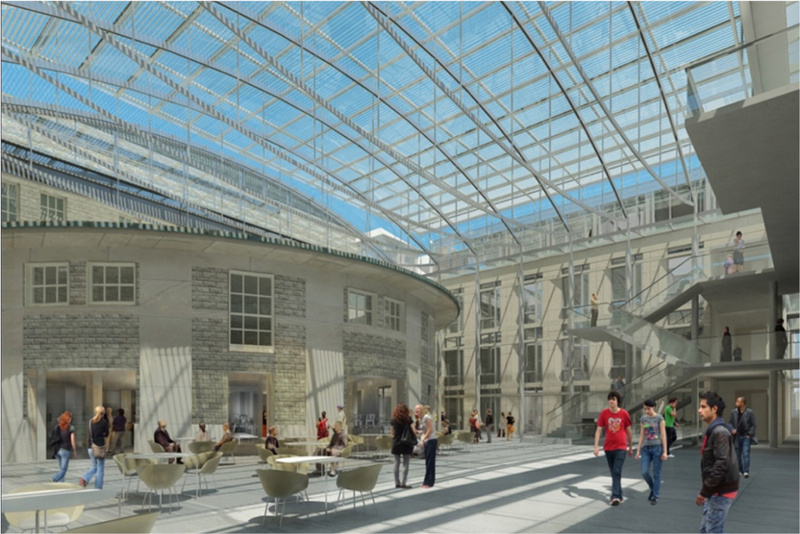 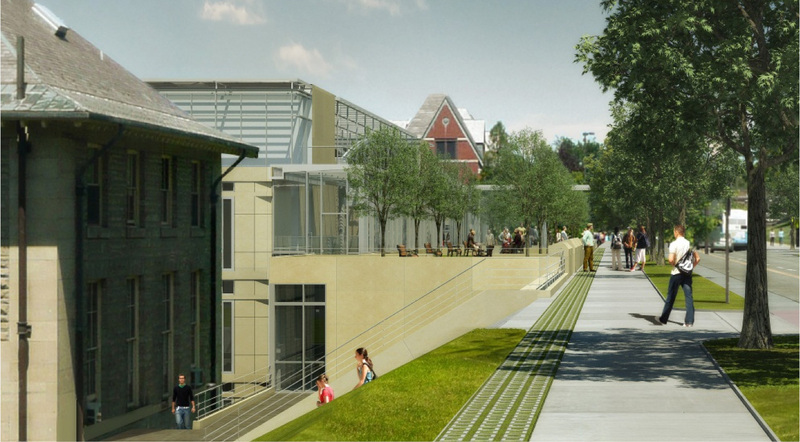 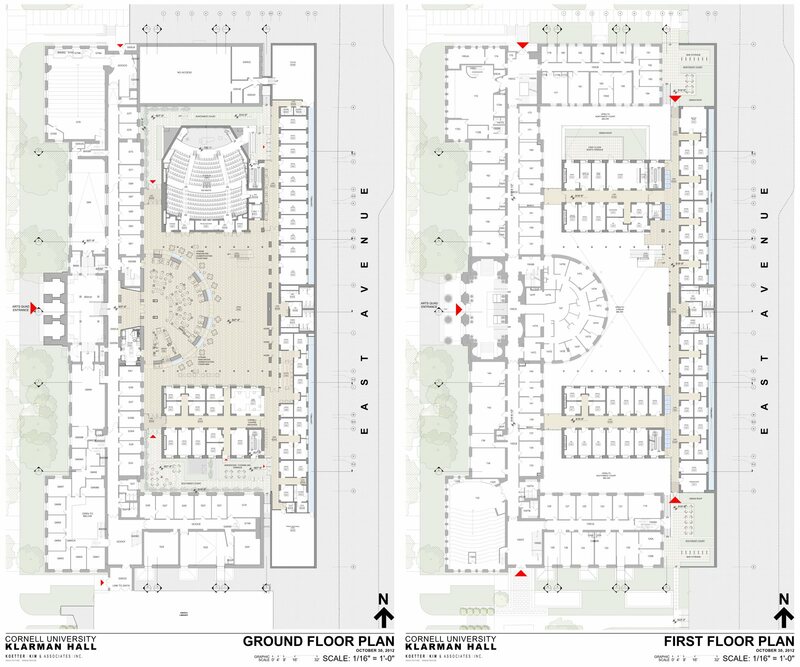 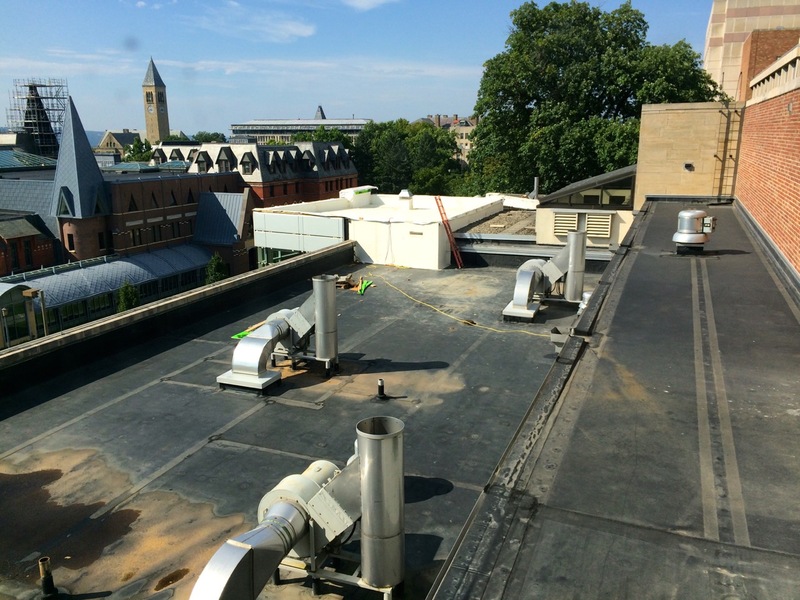 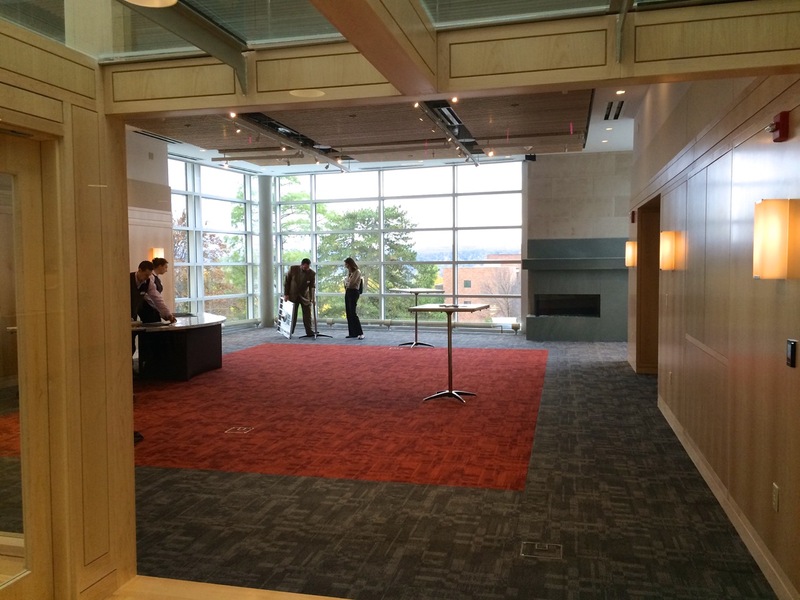 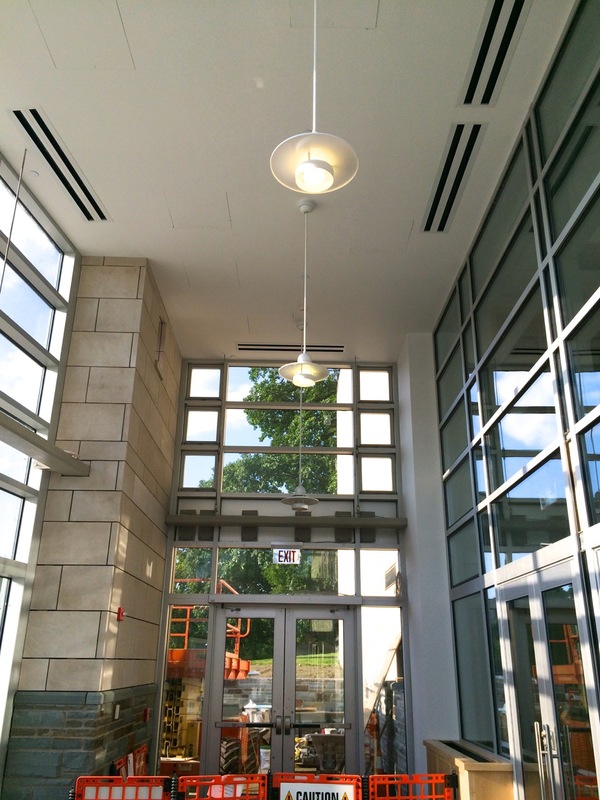 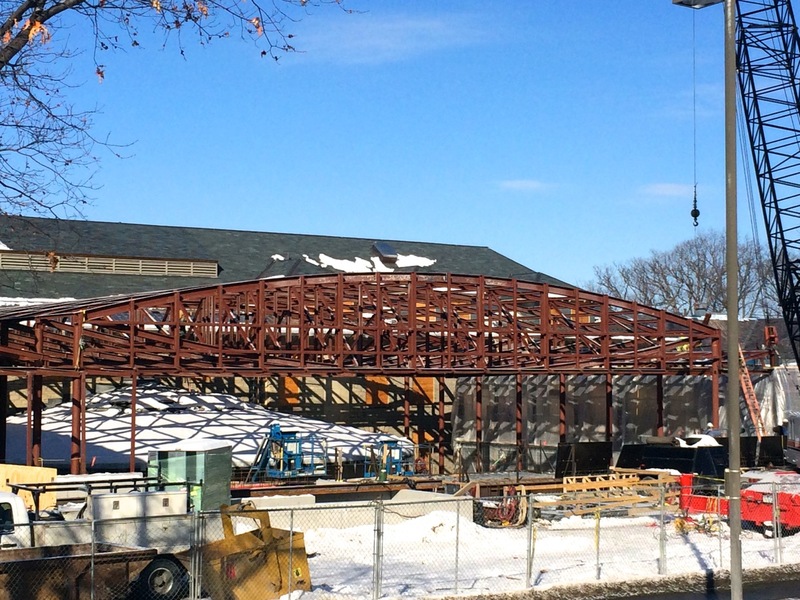 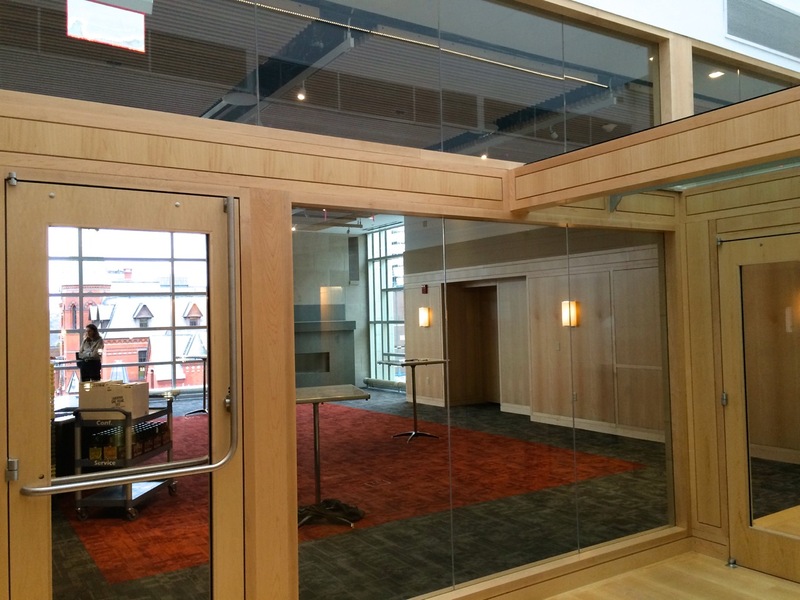 Design by KSS Architects, and project being managed in-house by Cornell Facilities Services.